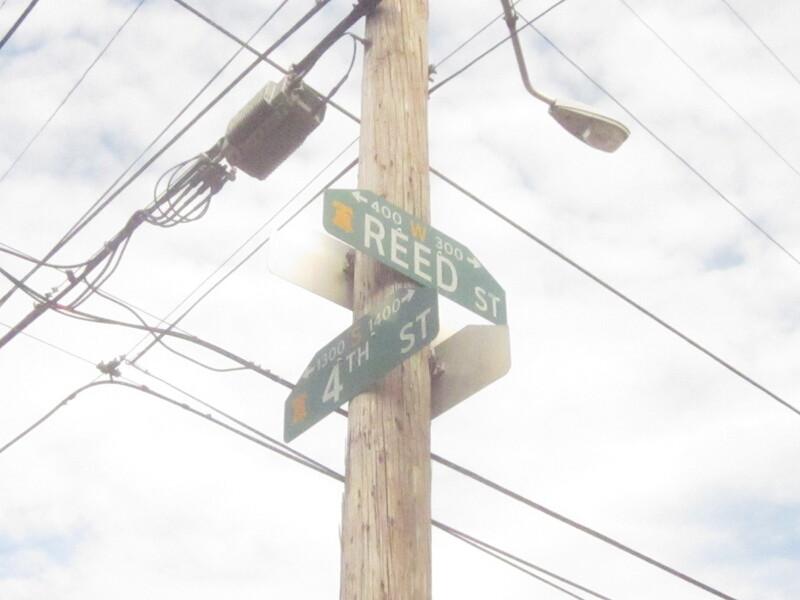 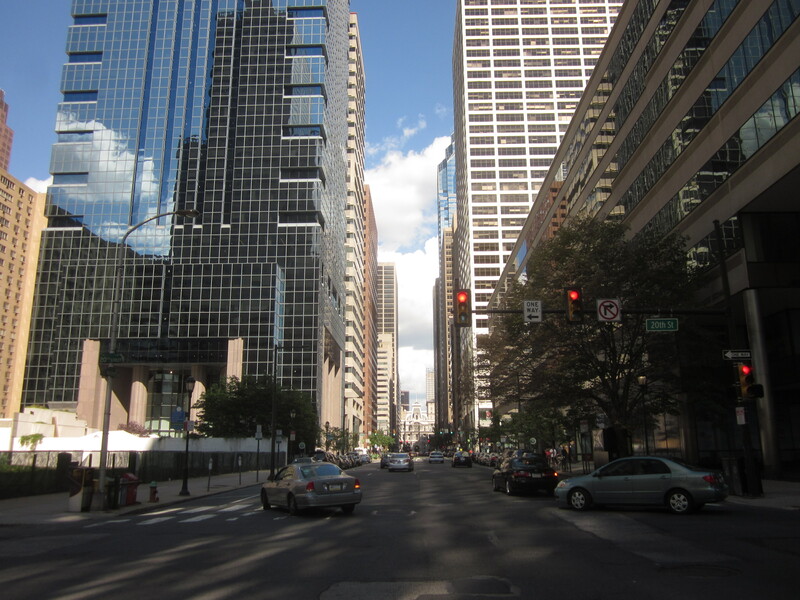 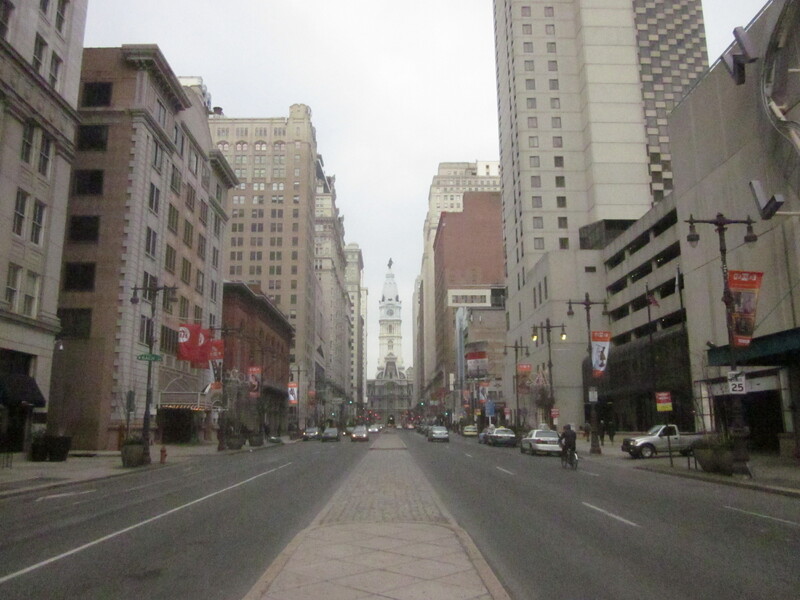 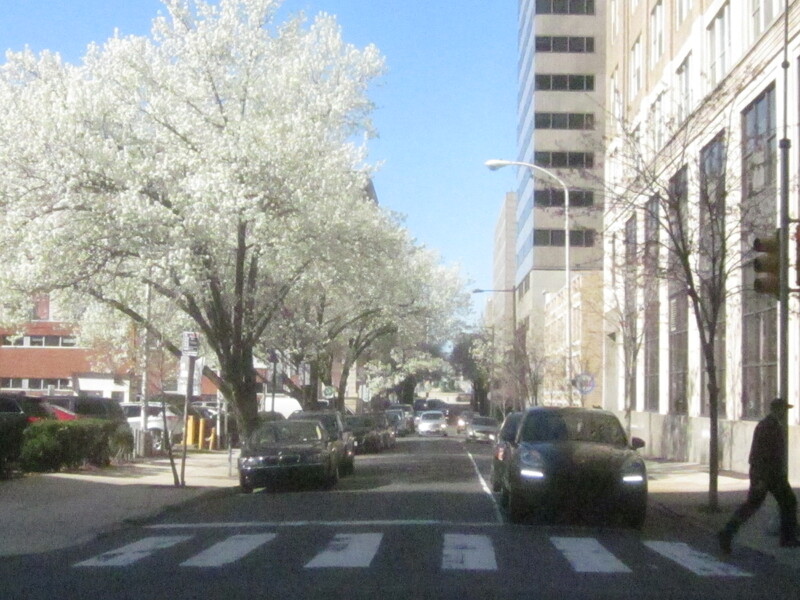 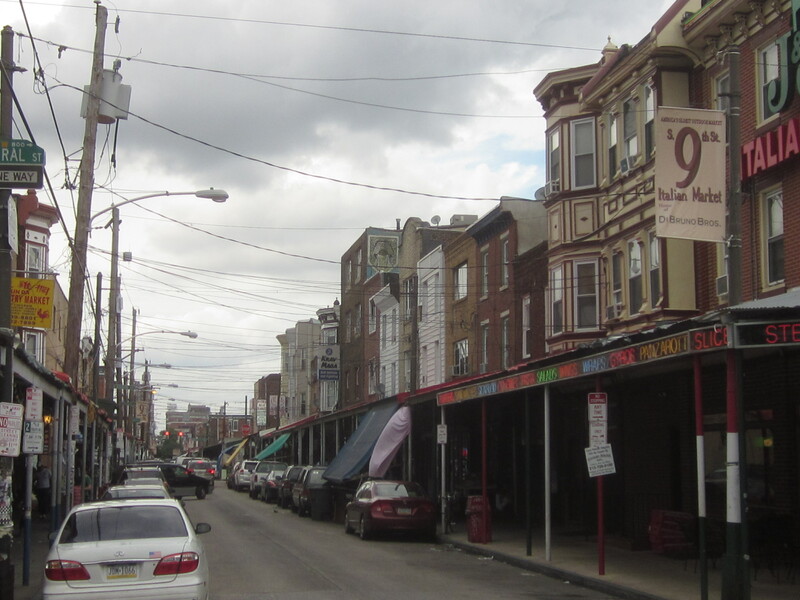 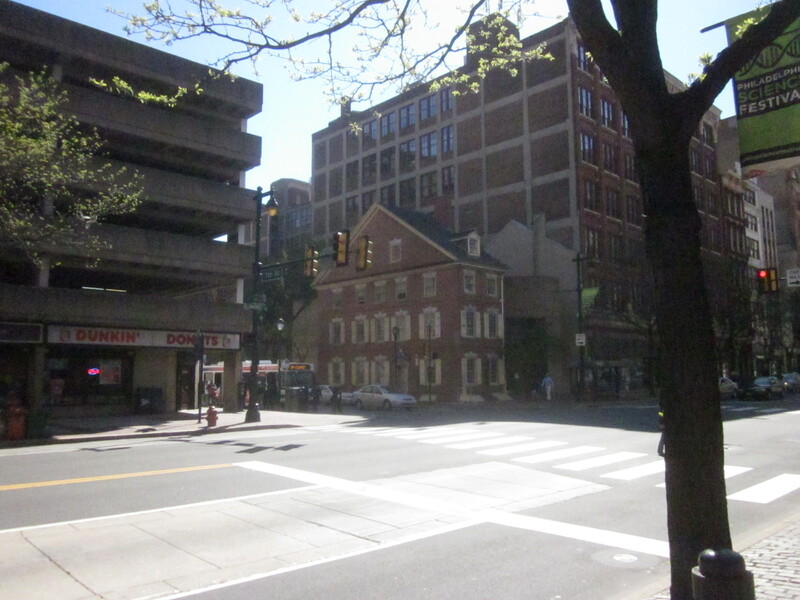 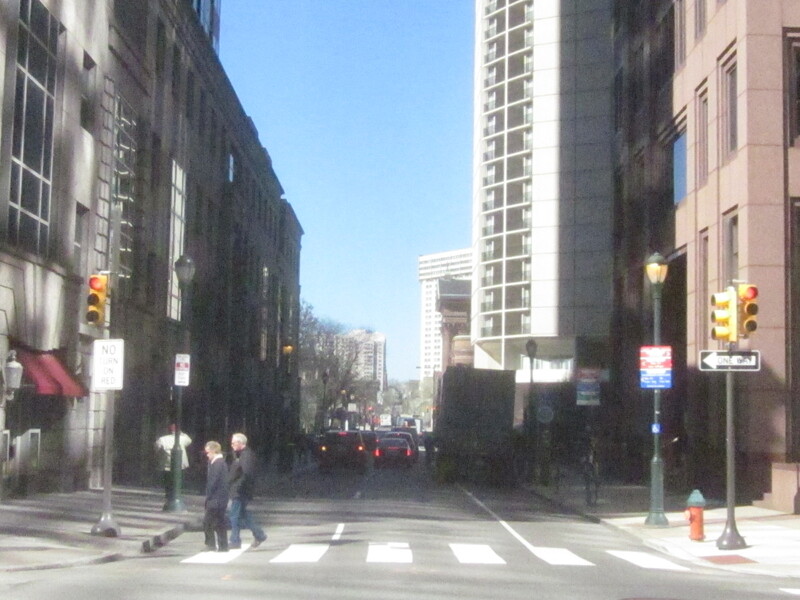 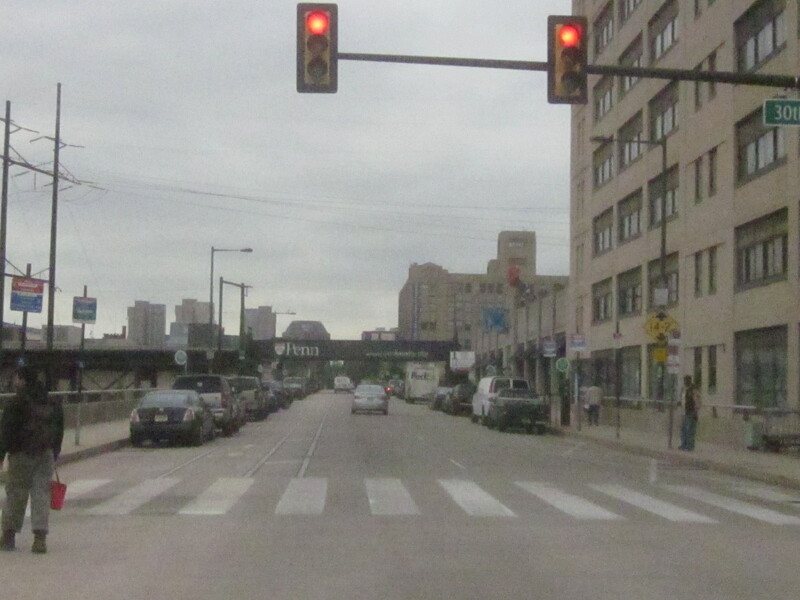 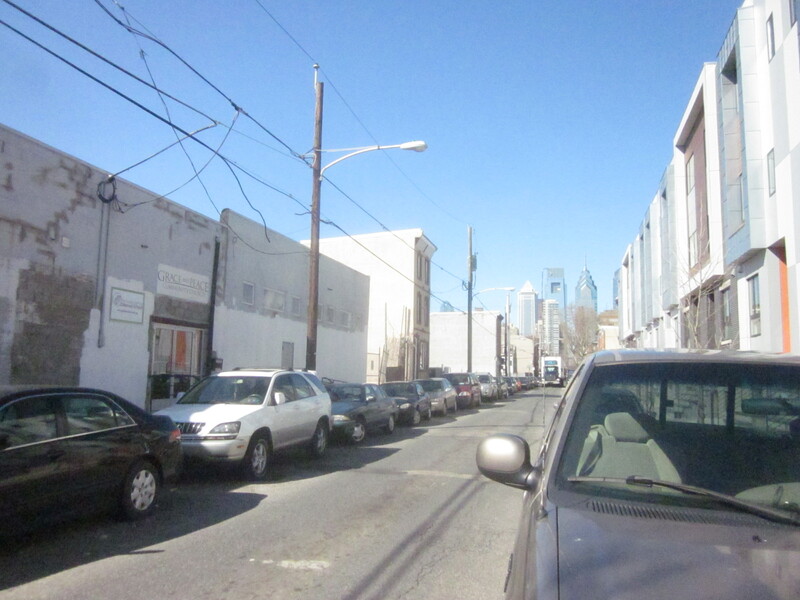 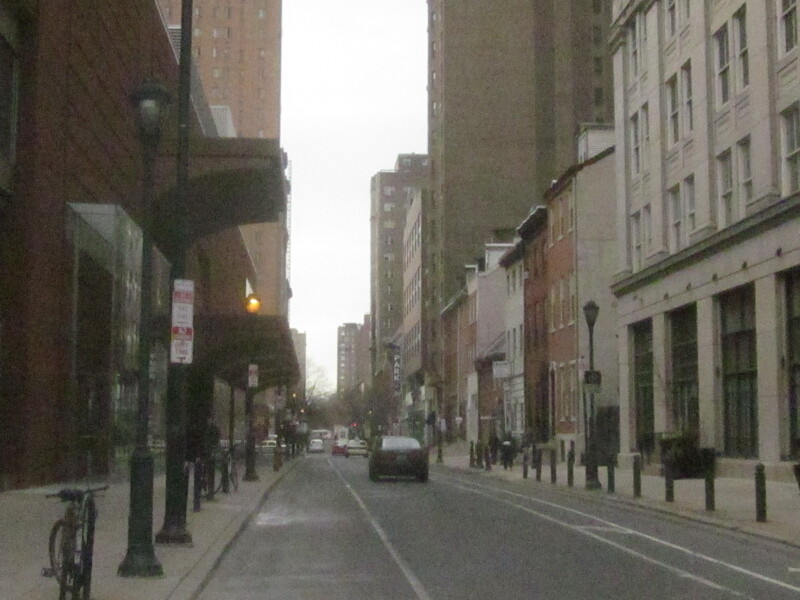 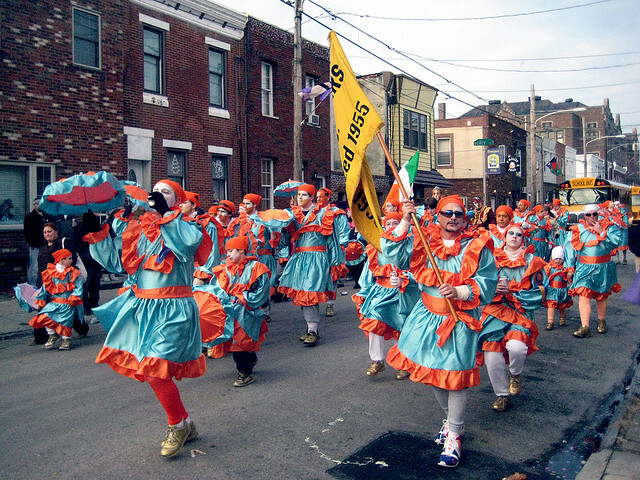 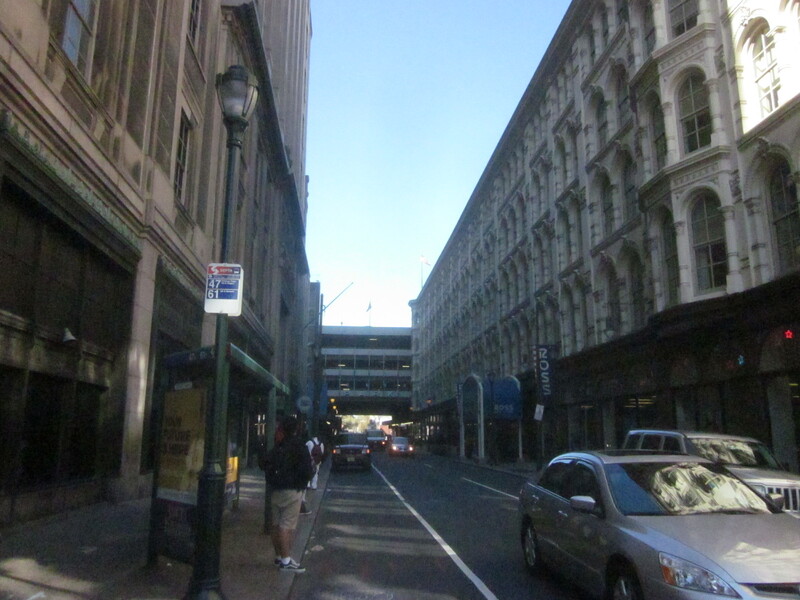 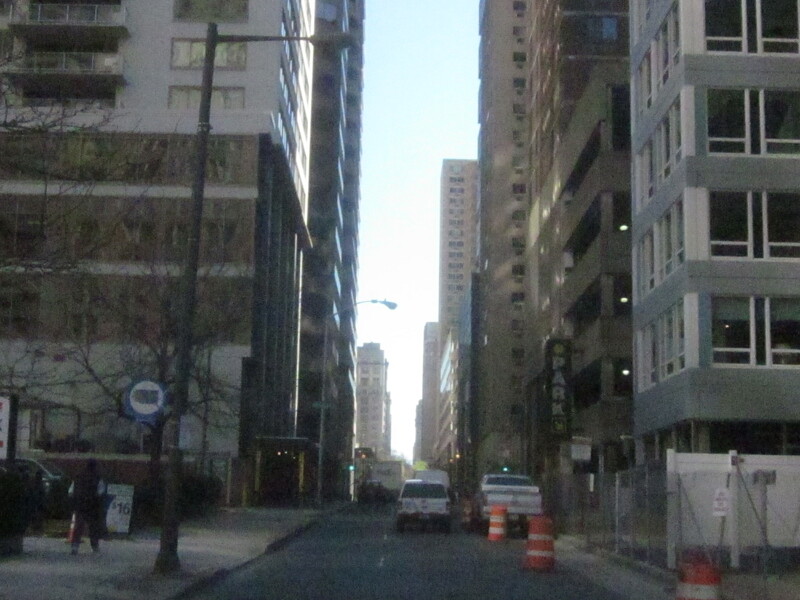 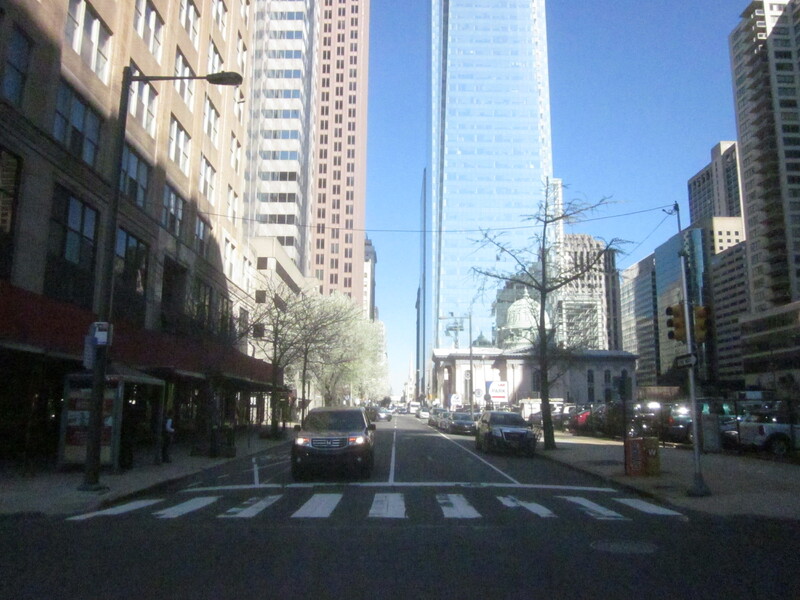 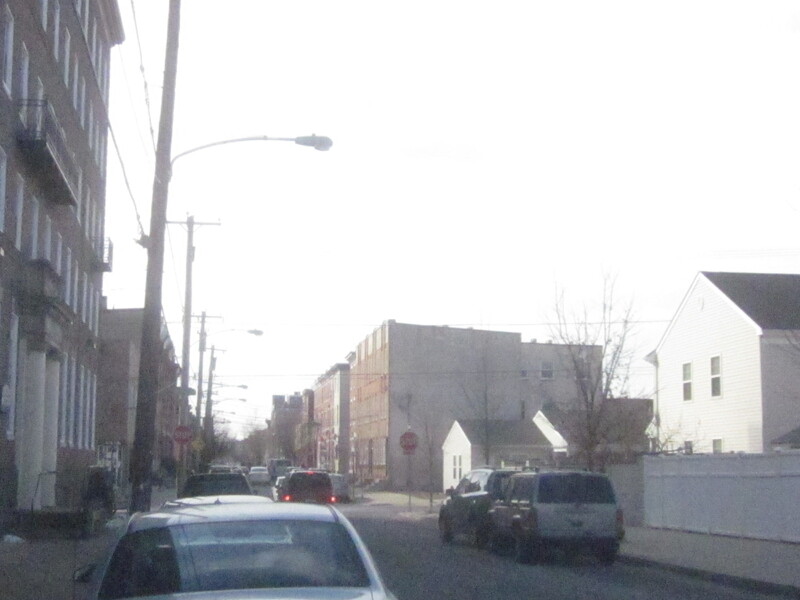 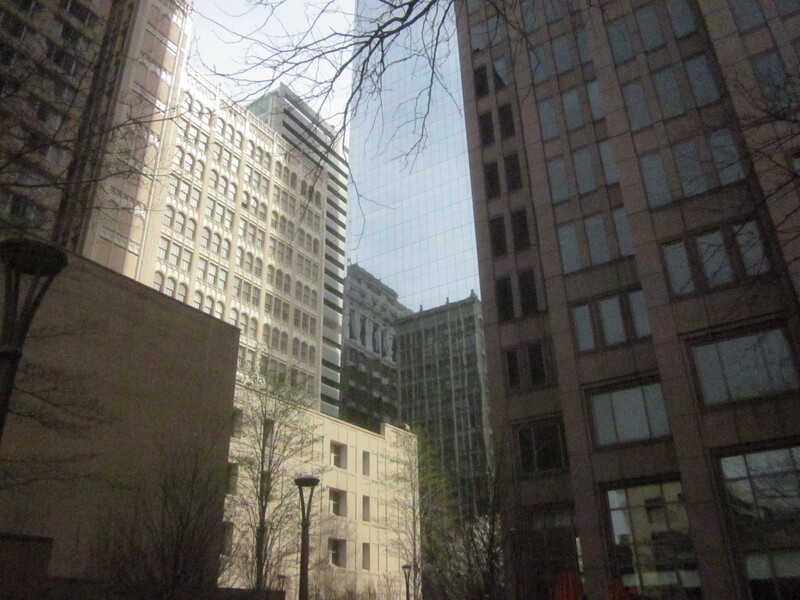 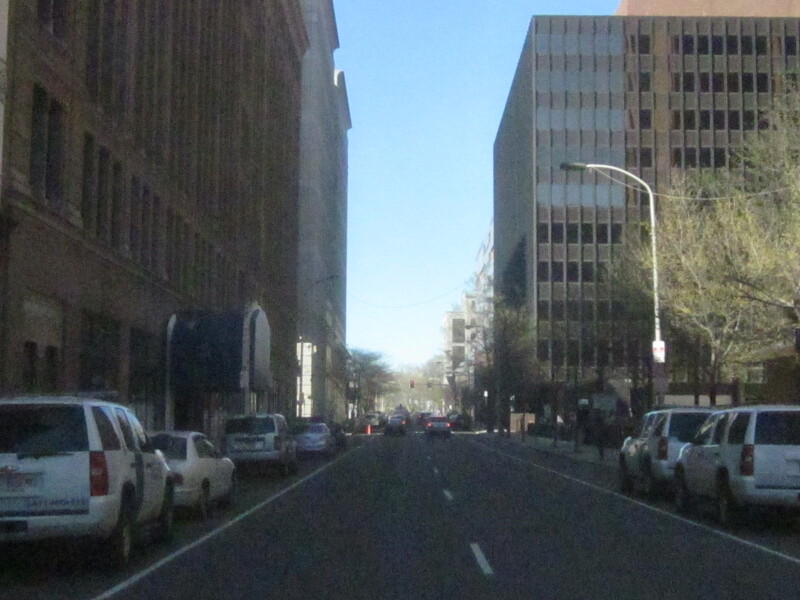 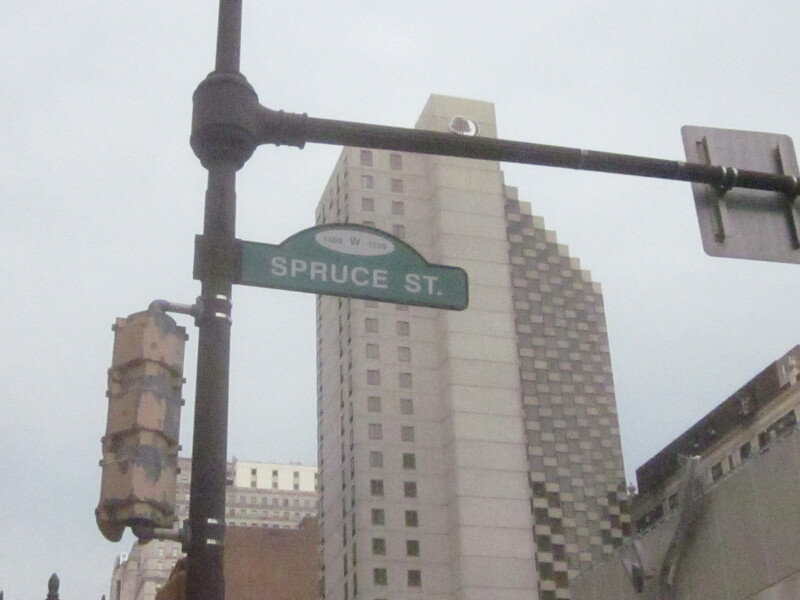 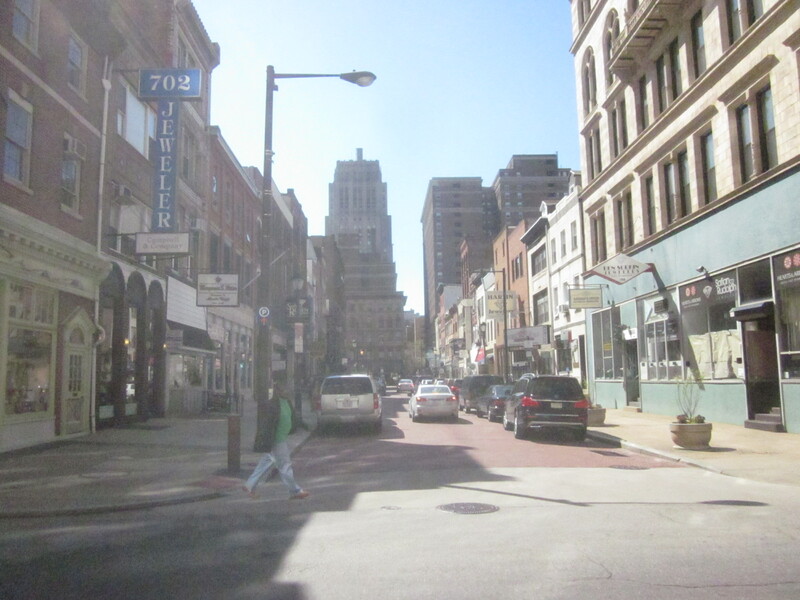 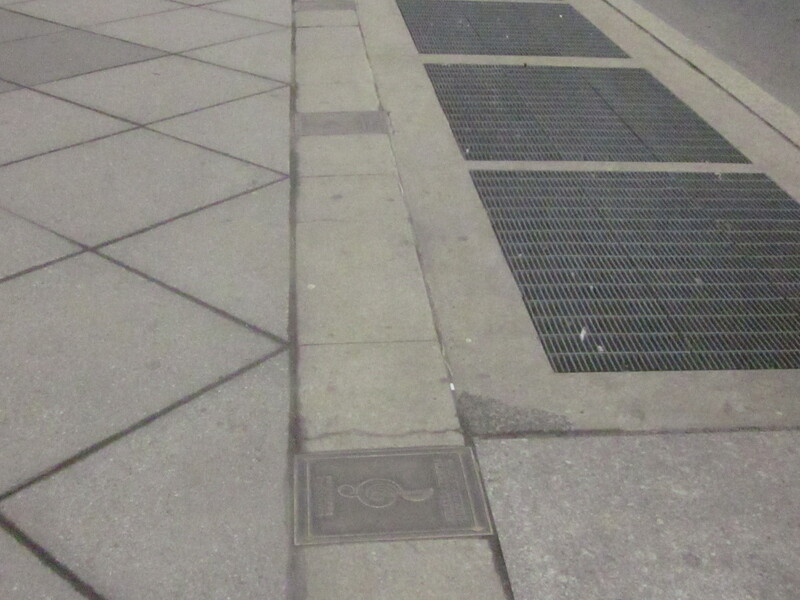 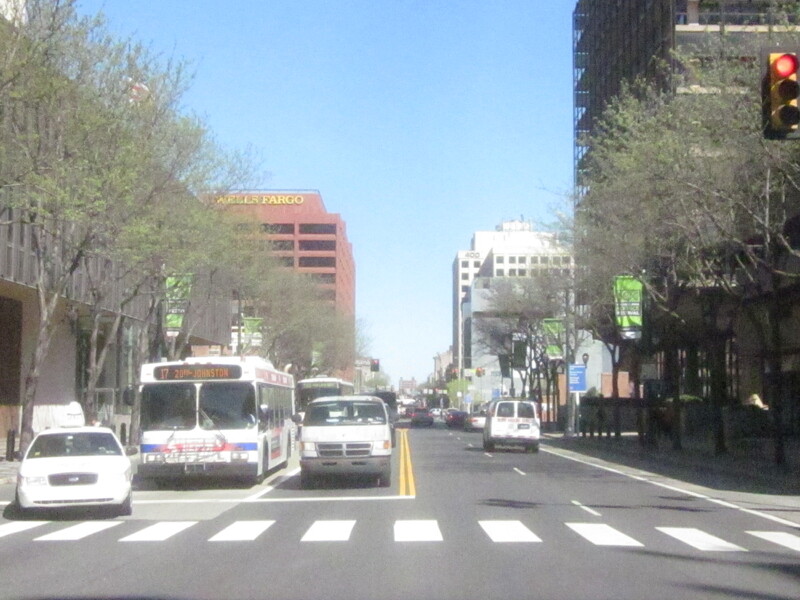 Washington Avenue, west of Broad Street, is a historically industrial street. 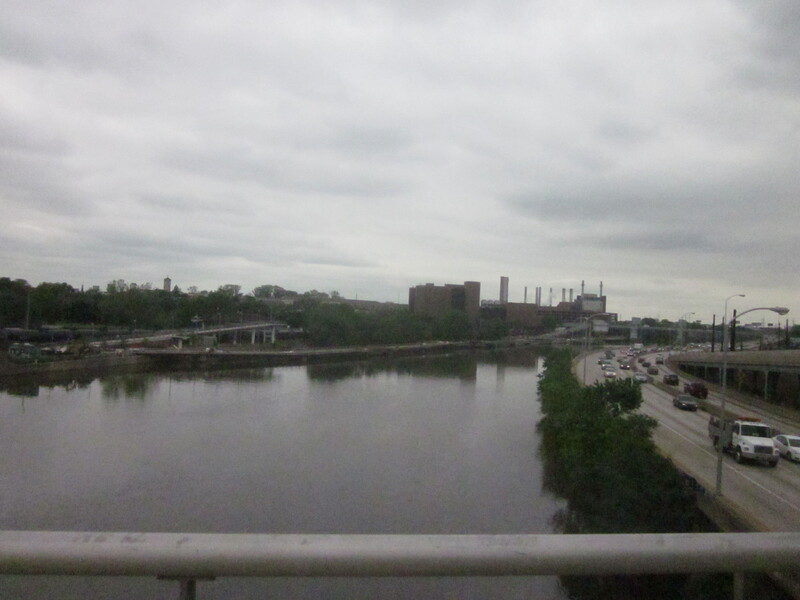 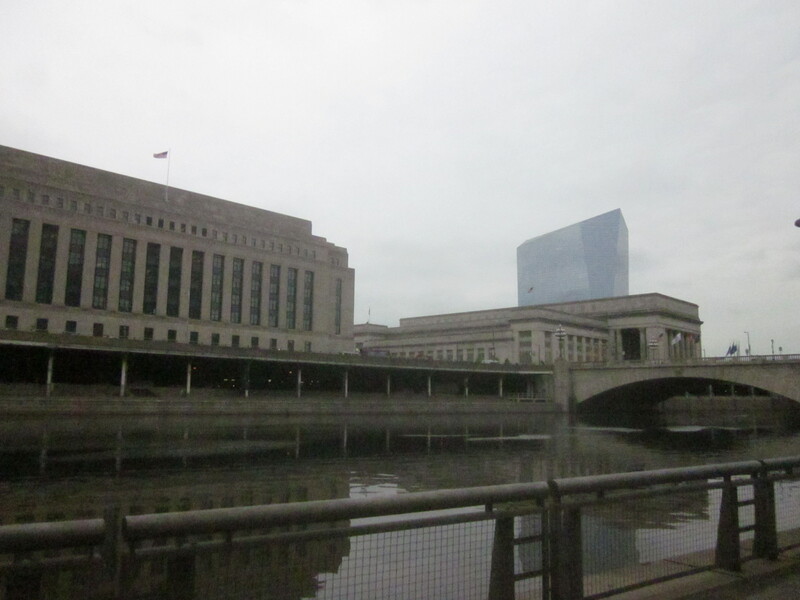 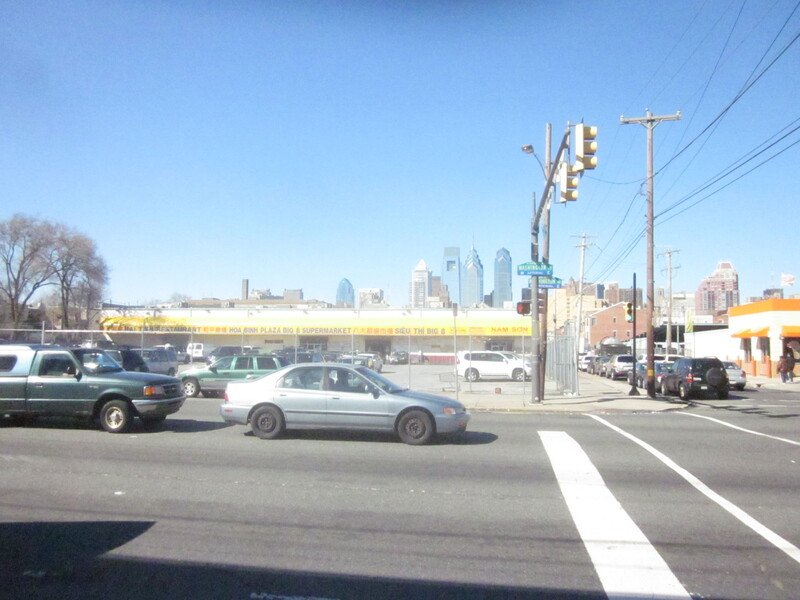 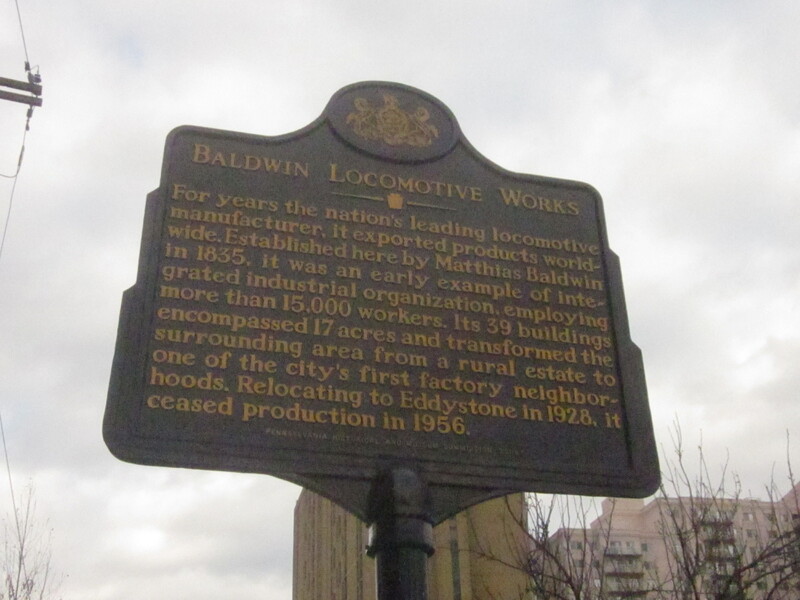 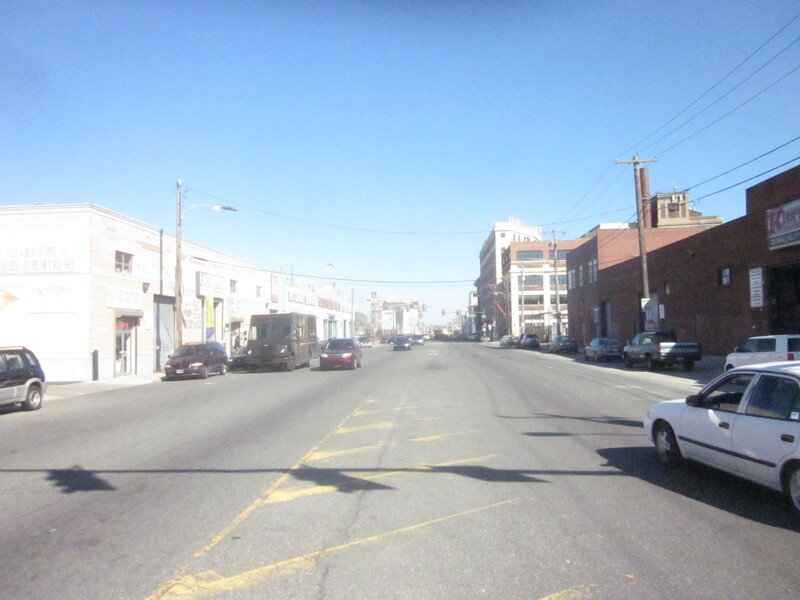 For decades it was lined with active factories and warehouses, the largest industrial corridor in South Philadelphia not adjacent to the waterfront. 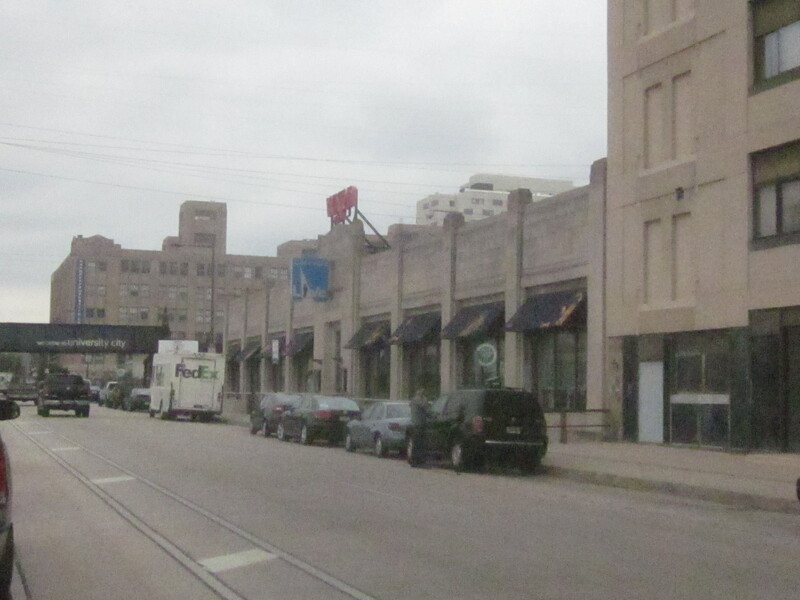 As time went by, most of the factories closed down and the industrial buildings were converted almost entirely into home building and decorating supply warehouses, some with pedestrian-accessible showrooms. 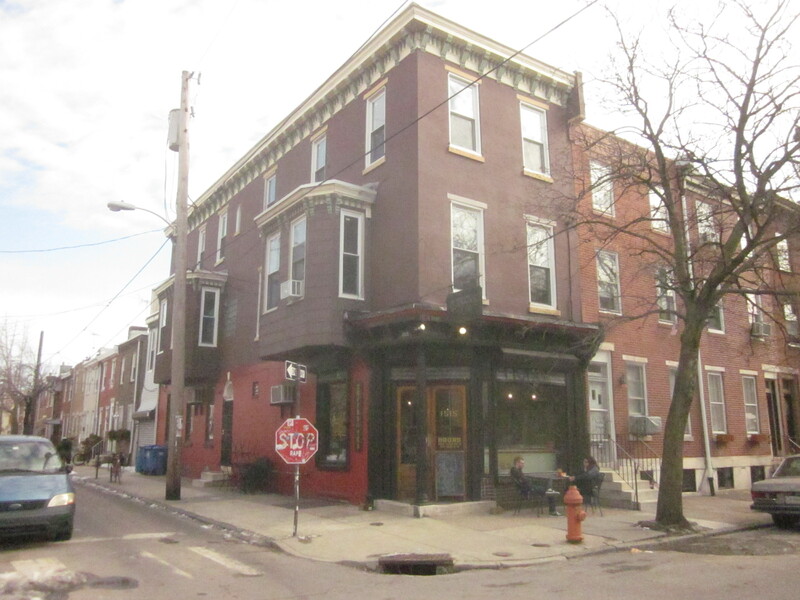 As the city’s housing market has boomed, these businesses have grown and sometimes have been renovated. 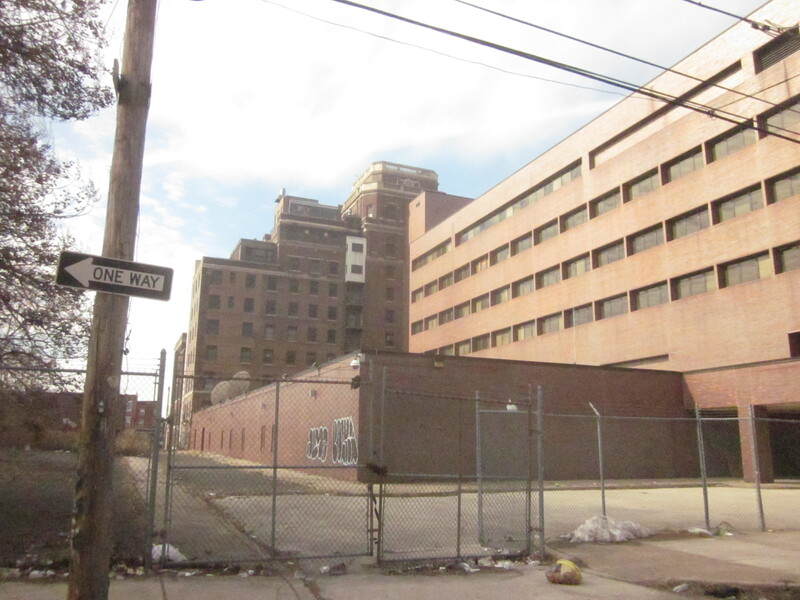 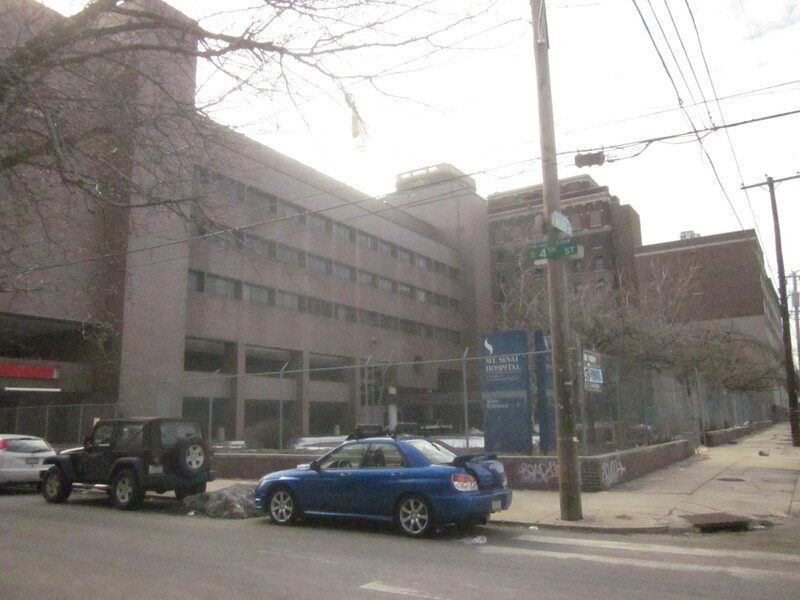 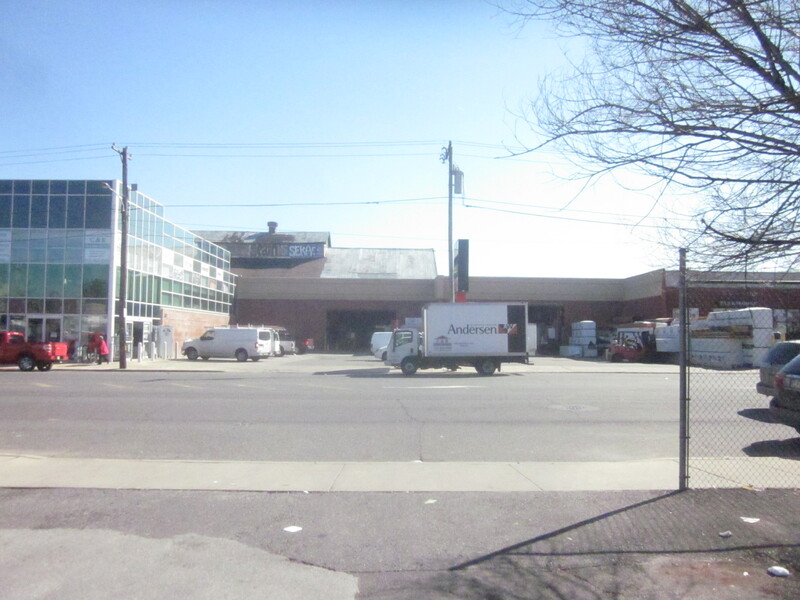 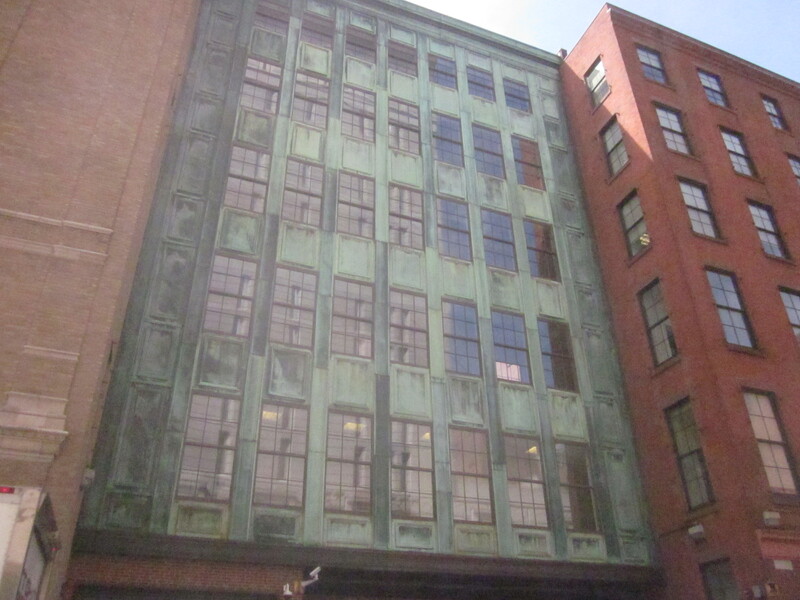 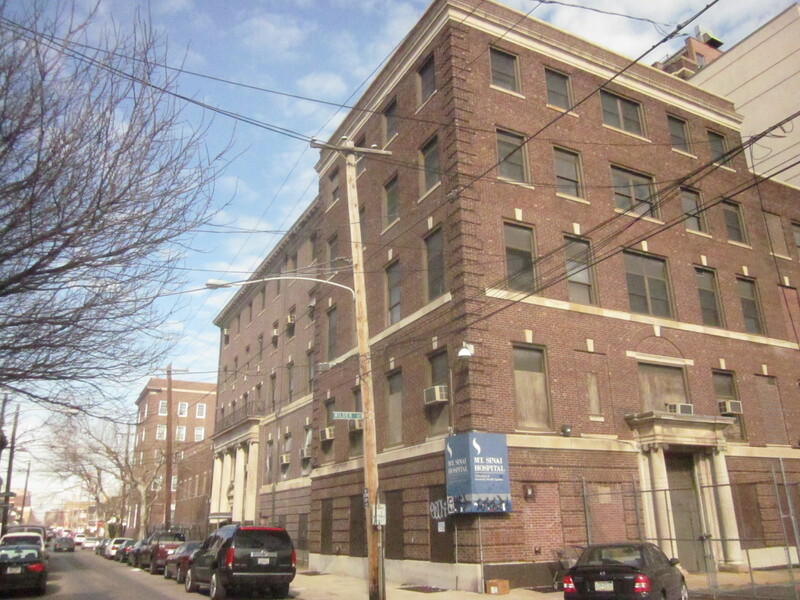 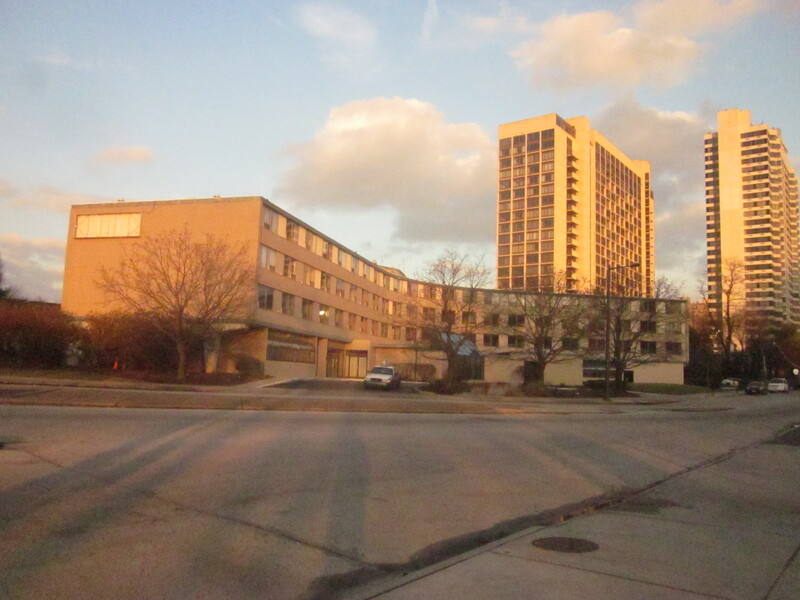 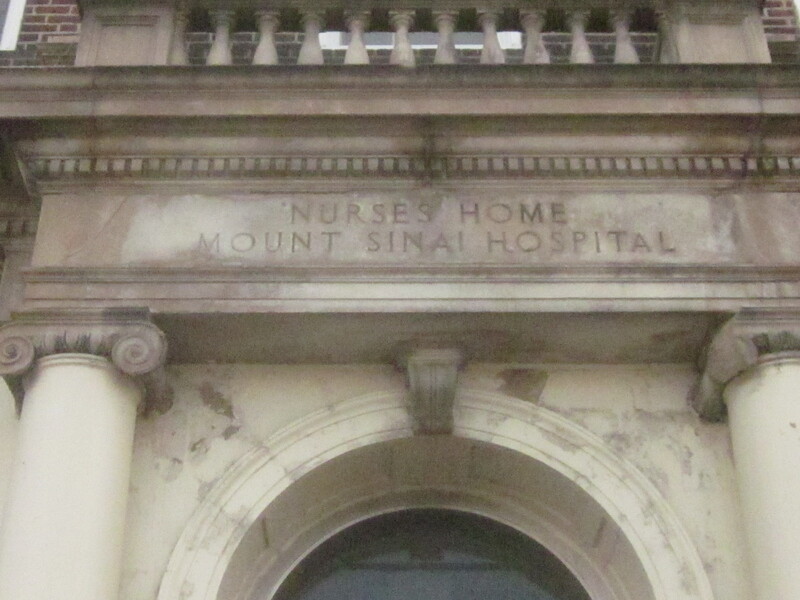 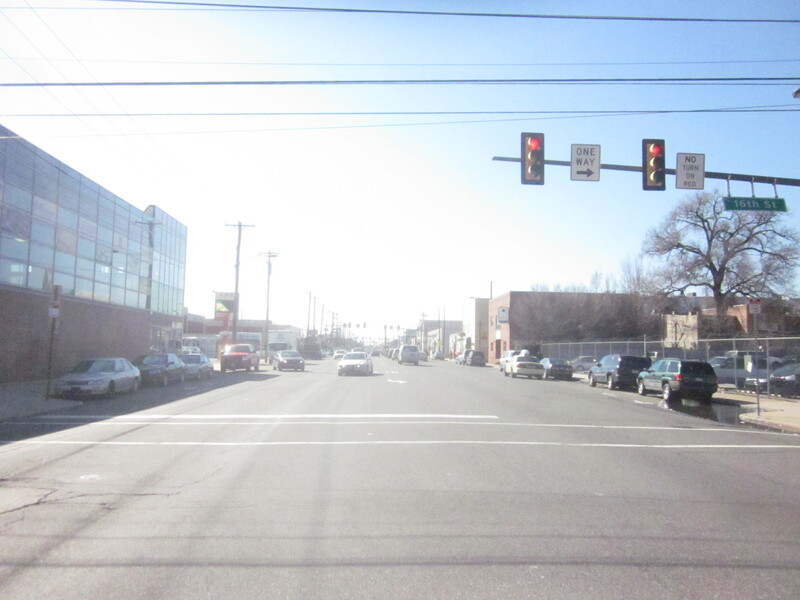 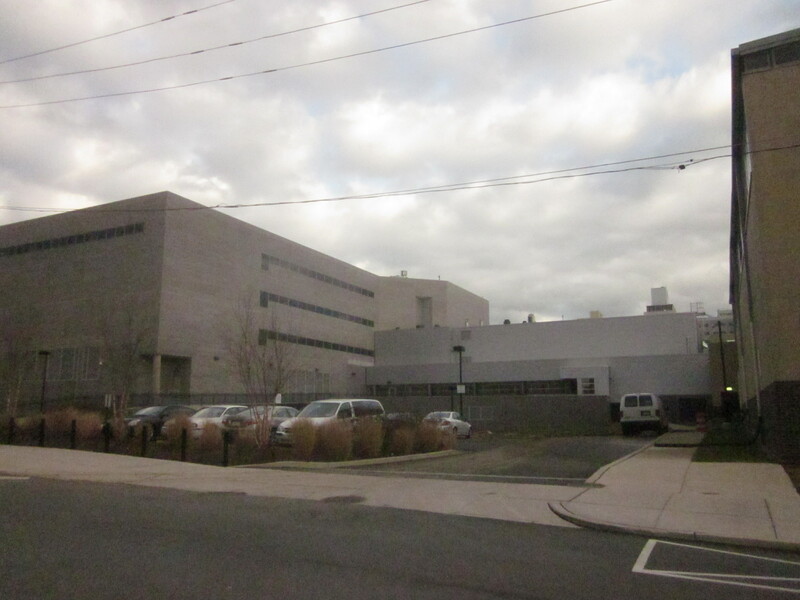 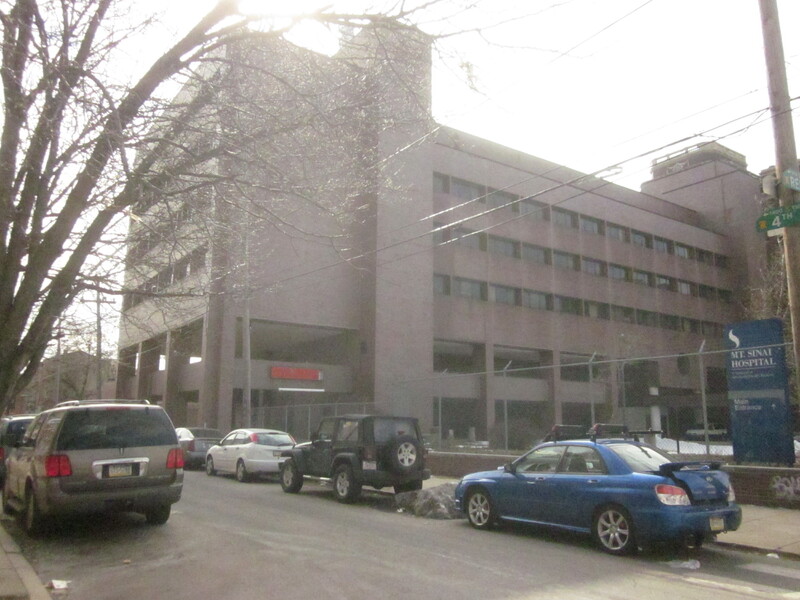 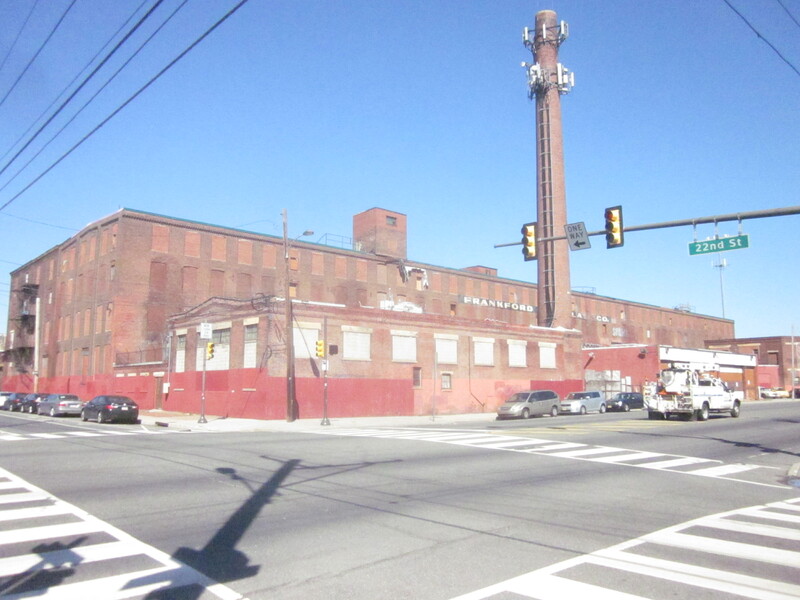 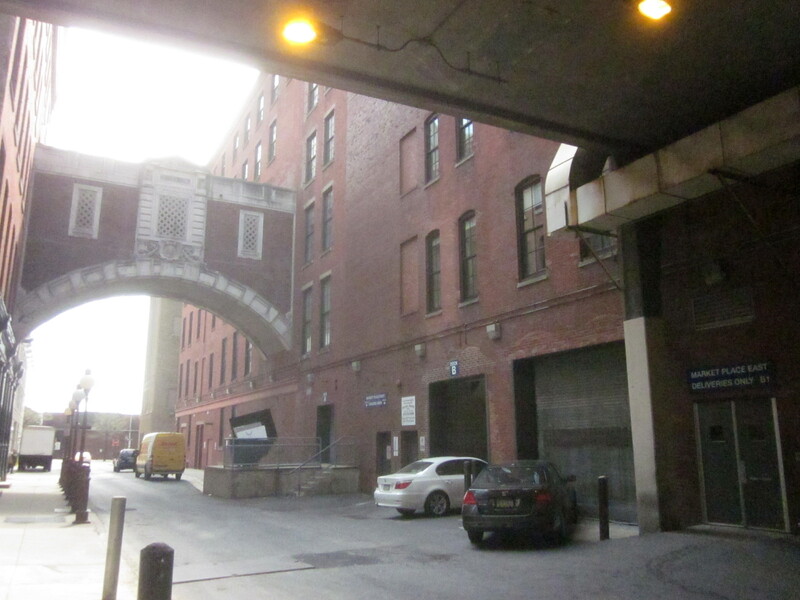 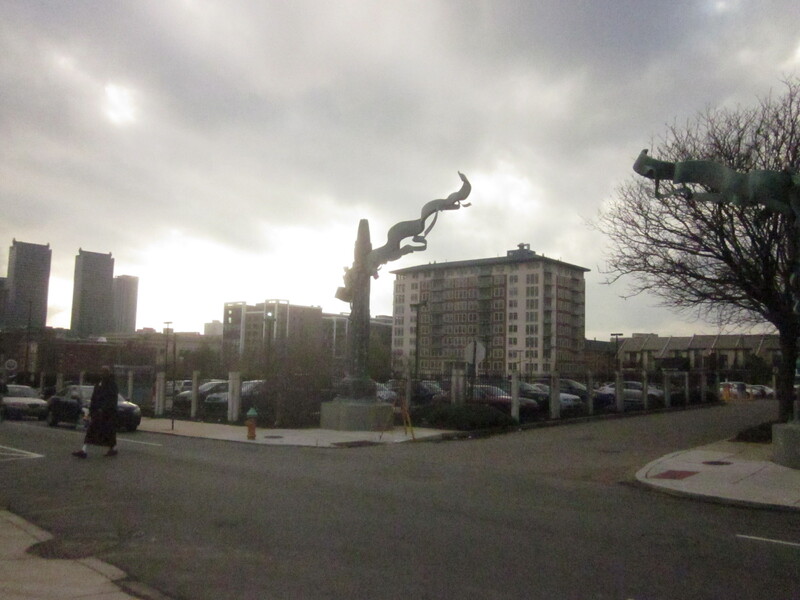 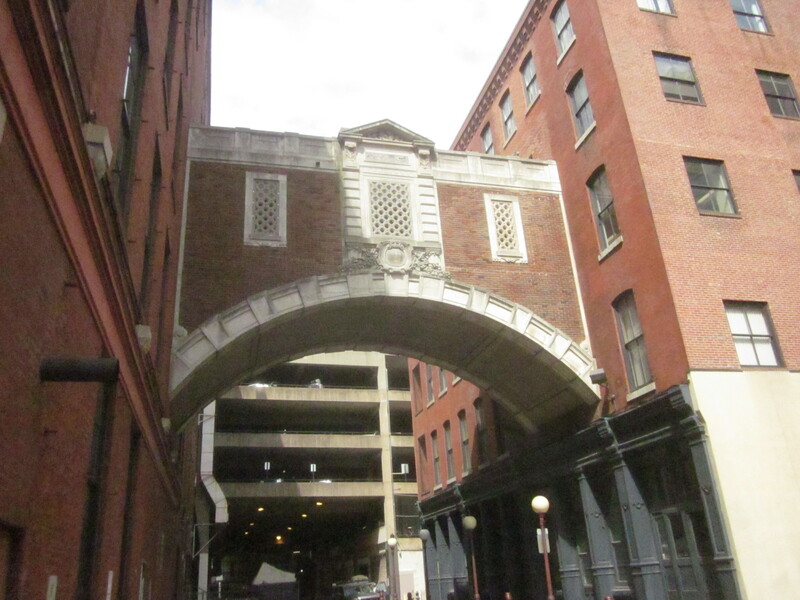 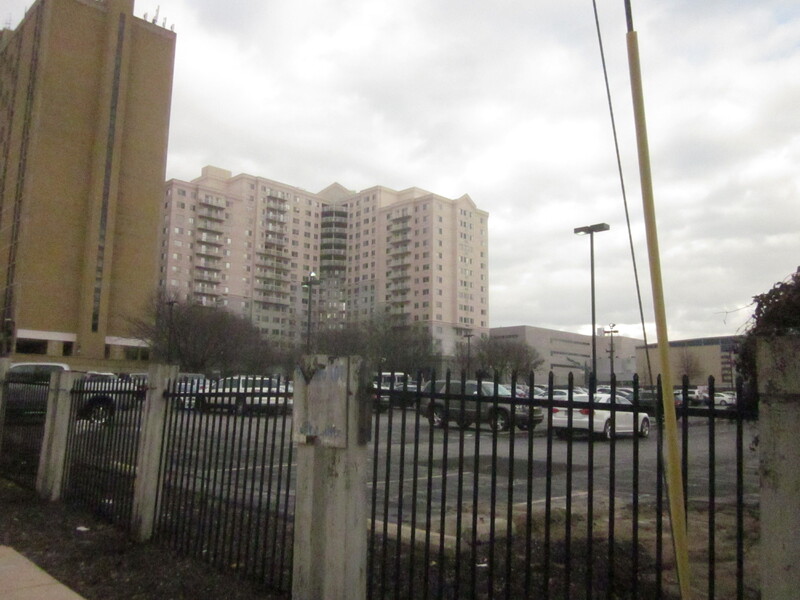 However, many people believe that with housing development in the Graduate Hospital neighborhood reaching a limit of available space and the outdated layout of these warehouse buildings, that Washington Avenue should see redevelopment. 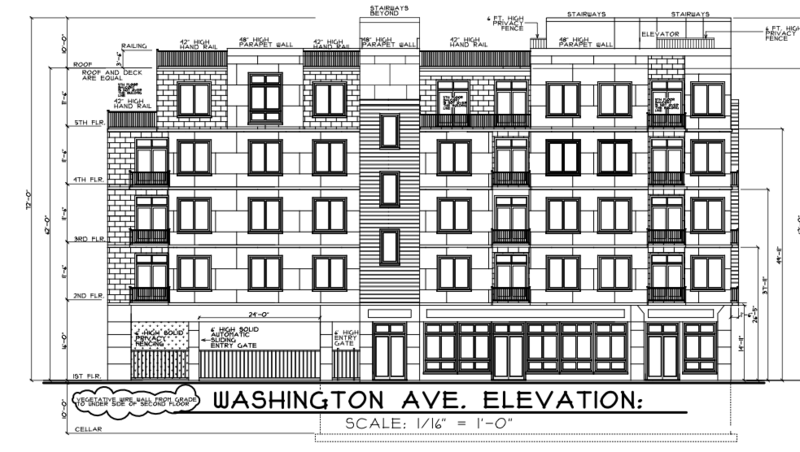 Several small apartment developments are planned for Washington Avenue, one at 20th Street and Washington, another at 18th Street and Washington, and the largest at 16th Street and Washington Avenue. 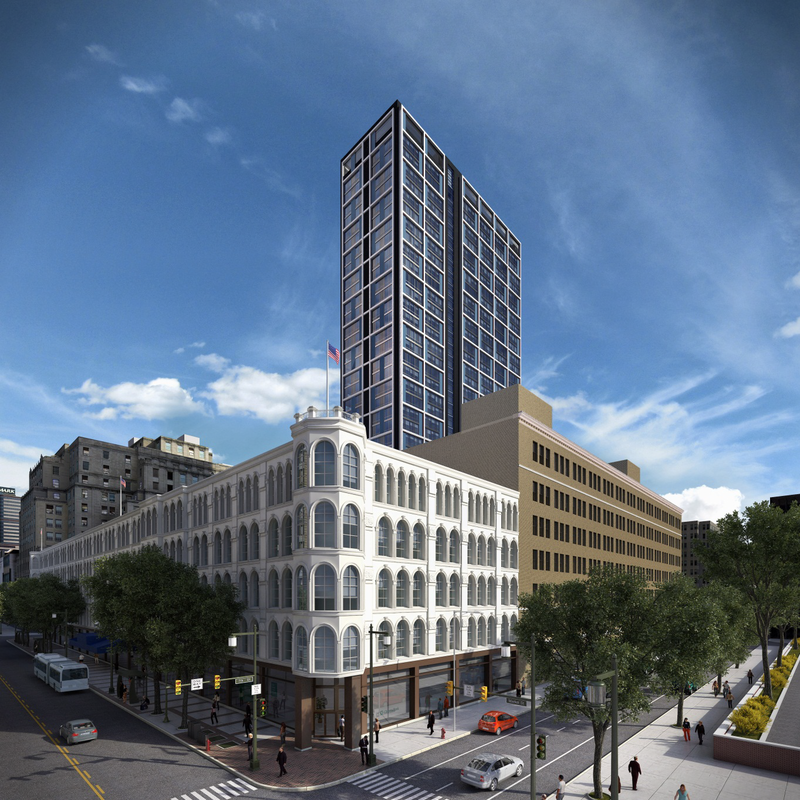 The development at 1601 Washington Avenue, designed by RHC Design LLC, will be five storeys tall and have 35 apartment units. 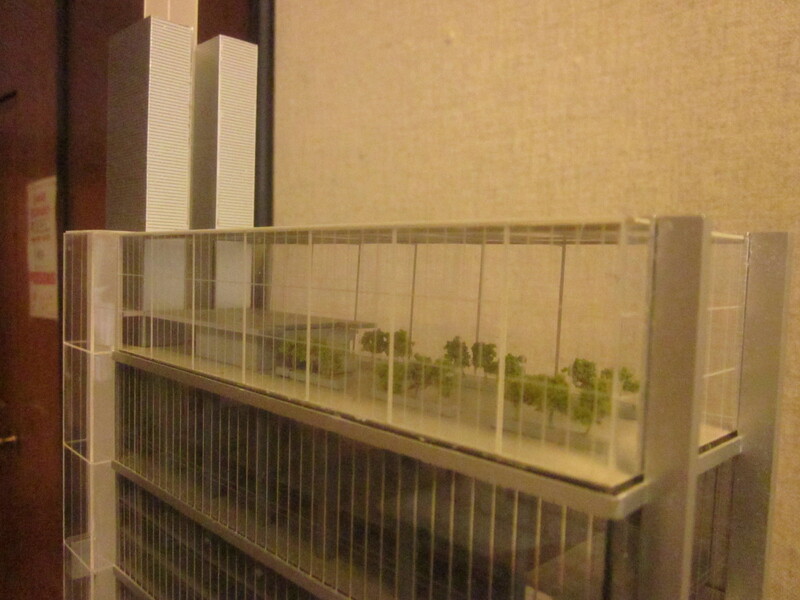 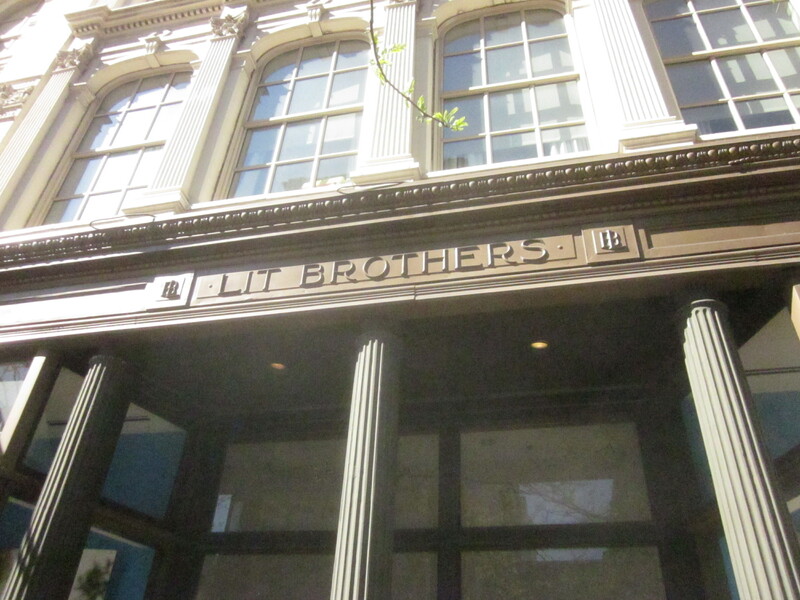 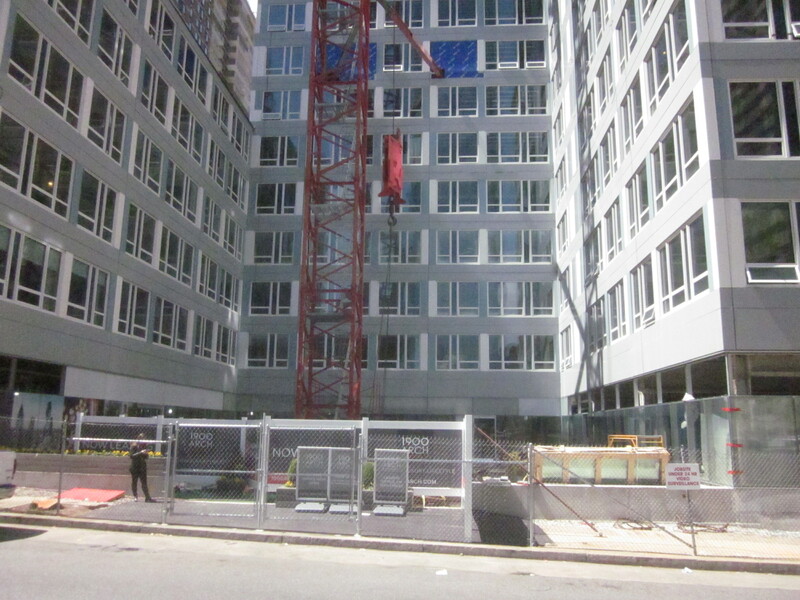 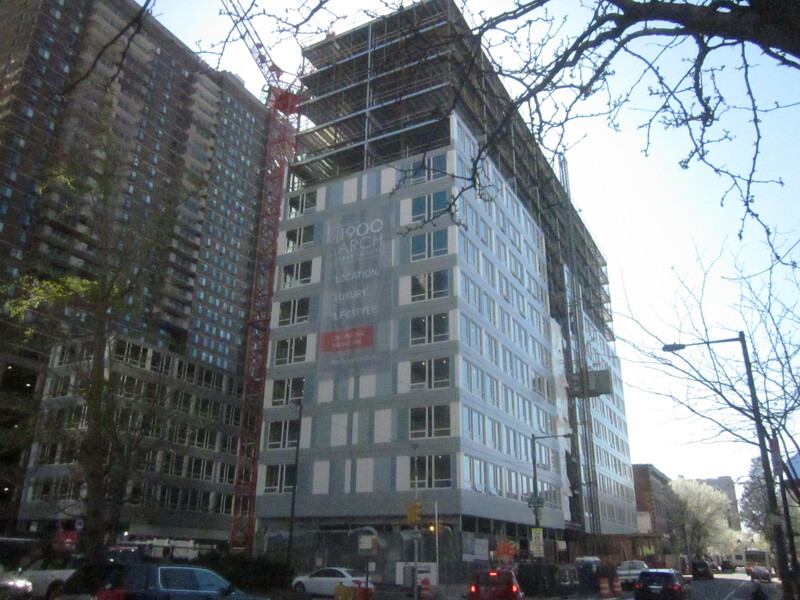 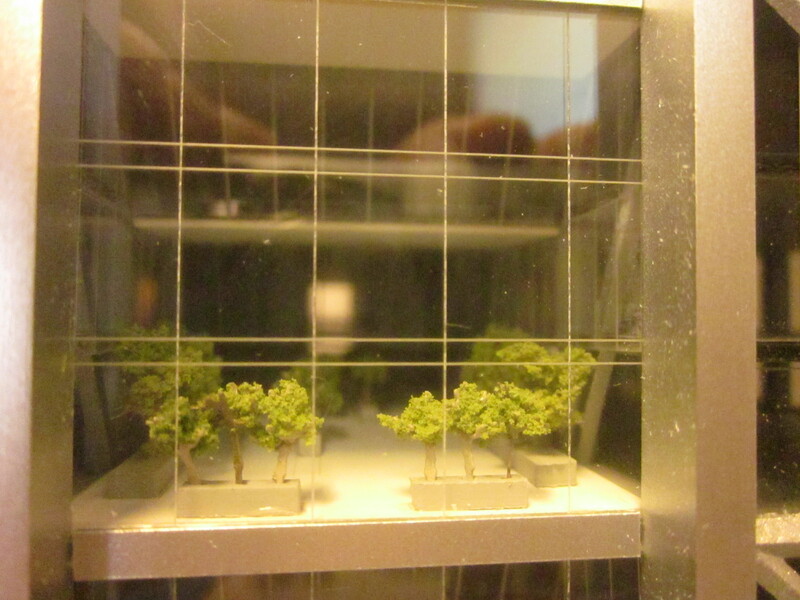 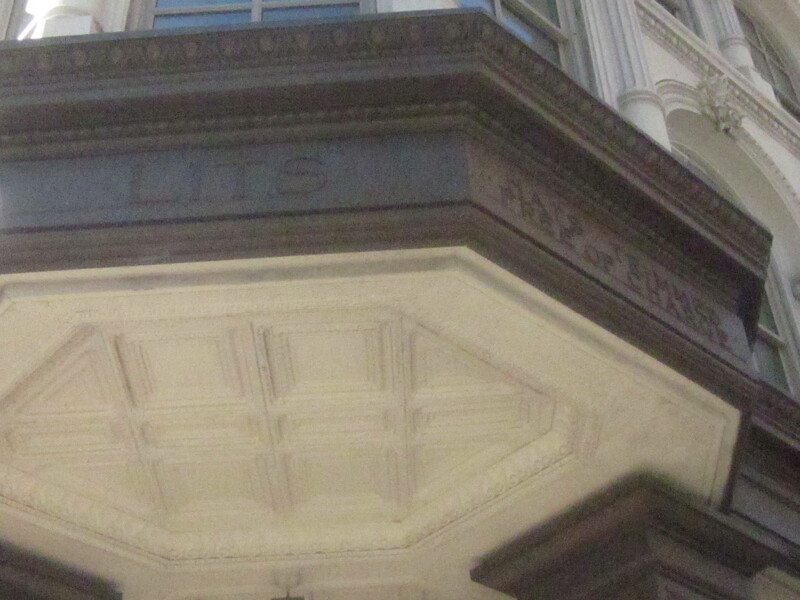 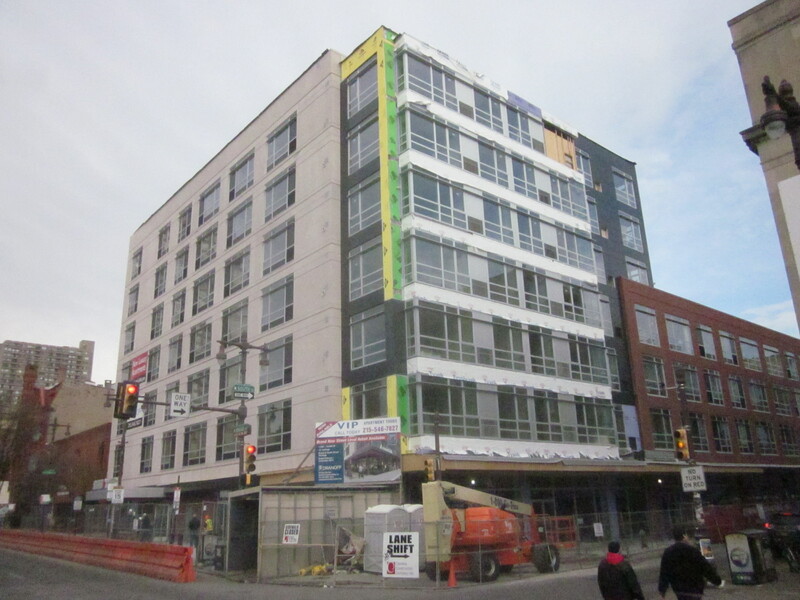 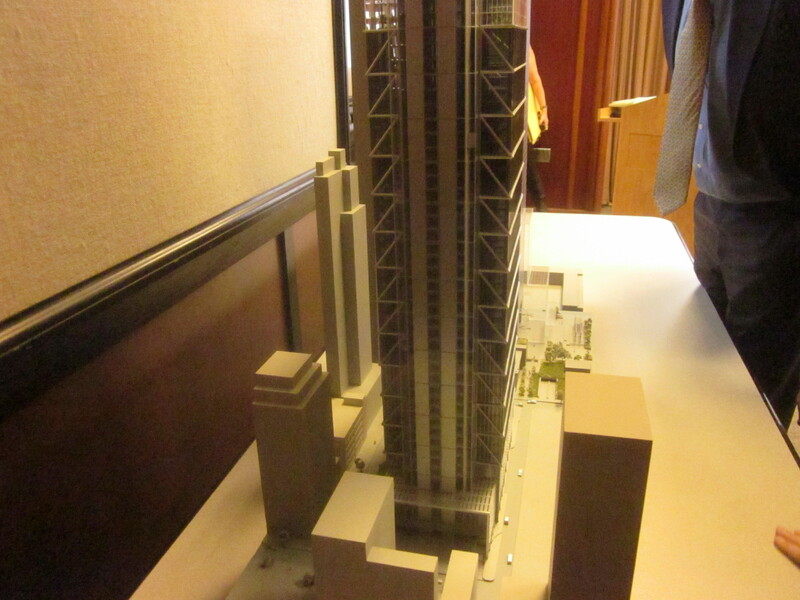 The exterior will have modern panels and traditional looking windows, with Juliet balconies and a rooftop deck. 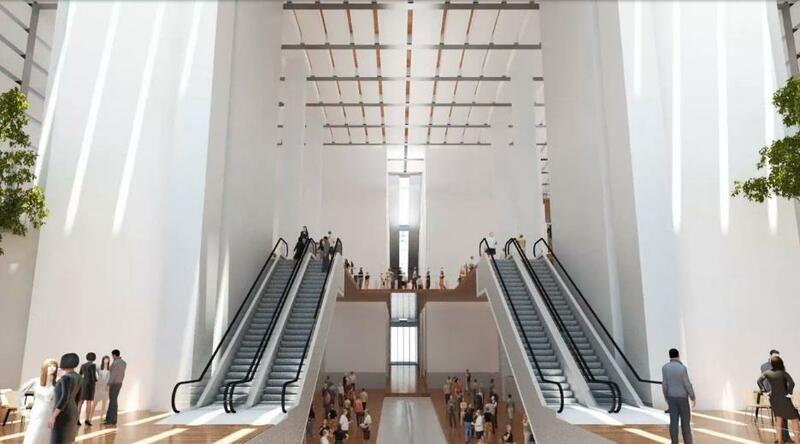 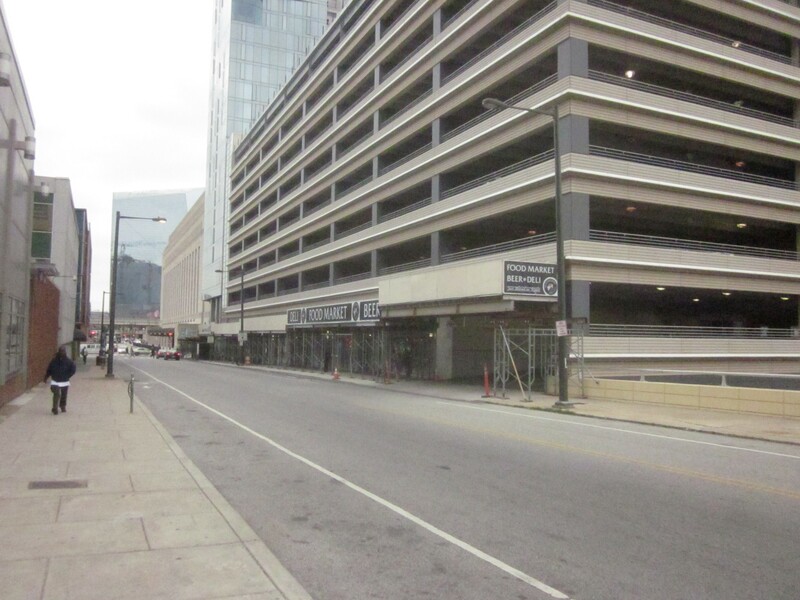 There will be retail on both Washington Avenue and 16th Street, and a parking entrance on Washington Avenue leading to 20 ground level parking spaces behind the building. 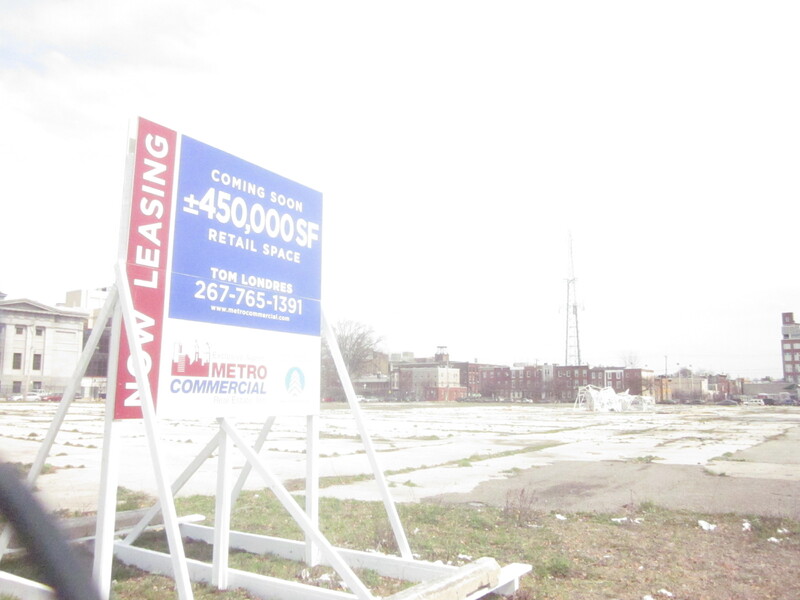 The property is currently part of a parking lot for a grocery store set back from Washington Avenue. 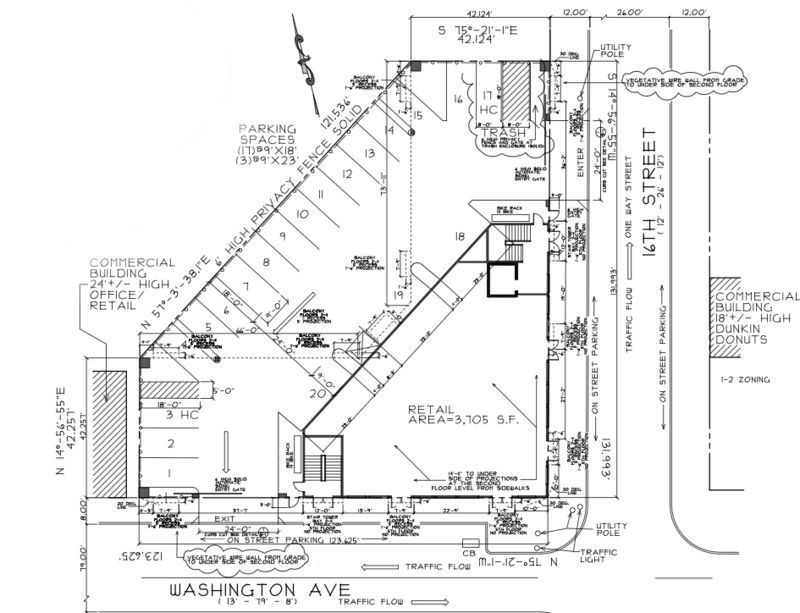 1601 Washington Avenue will be built on a diamond-shaped parcel of land that is separate from the grocery store and the rest of its parking lot. 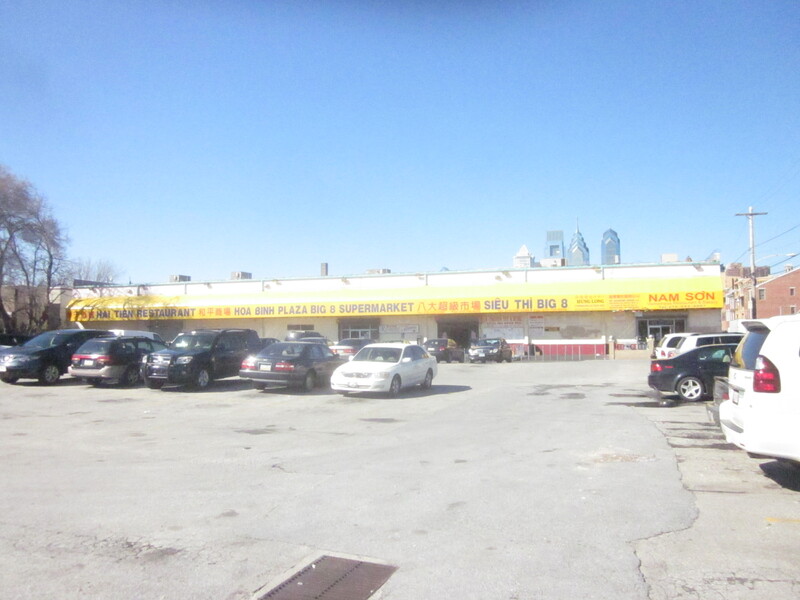 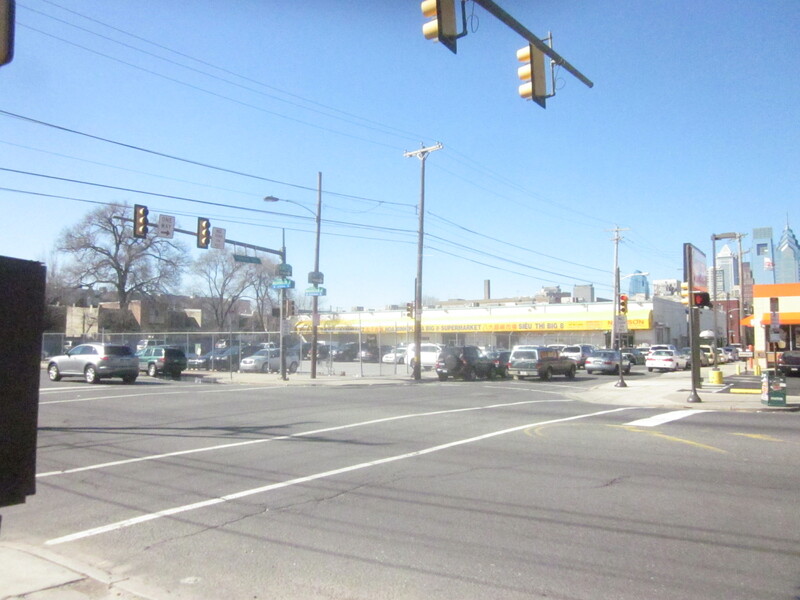 This juxtaposition to the existing grocery store caused concern in the neighborhood, but after much testimony at Planning Commission and Zoning Board hearings, both the Planning Commission and Zoning Board voted to approve the project, agreeing with some neighbors who believe that industrial and warehouse uses, as well as, suburban-style strip malls, were not the best use for Washington Avenue properties nowadays. 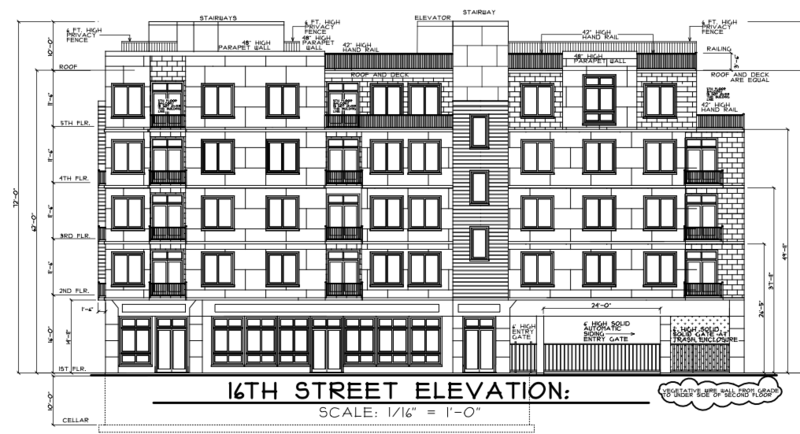 This new development, like I said, could start a new trend of new residential and commercial development on this stretch of Washington Avenue. 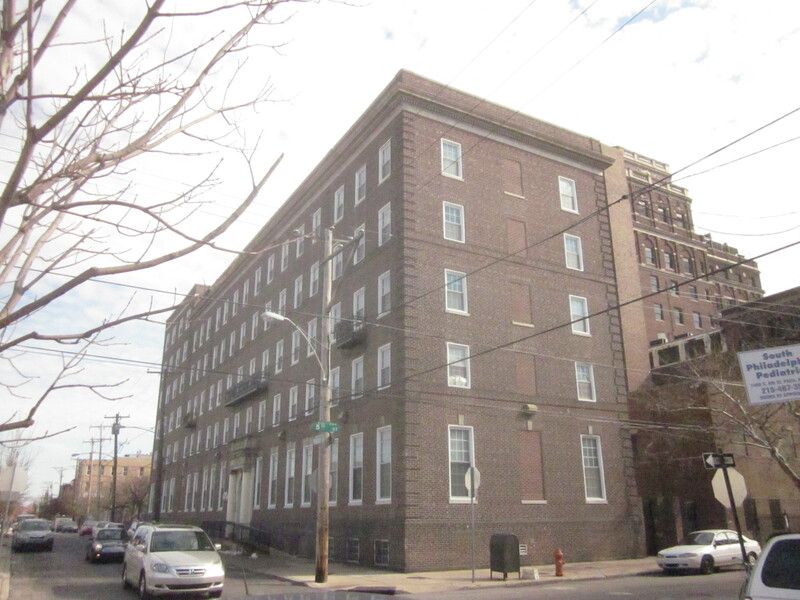 When I was in the neighborhood the other day, I found out that one of the buildings near 19th Street was for sale, then I found out that the building directly across the street was also for sale. 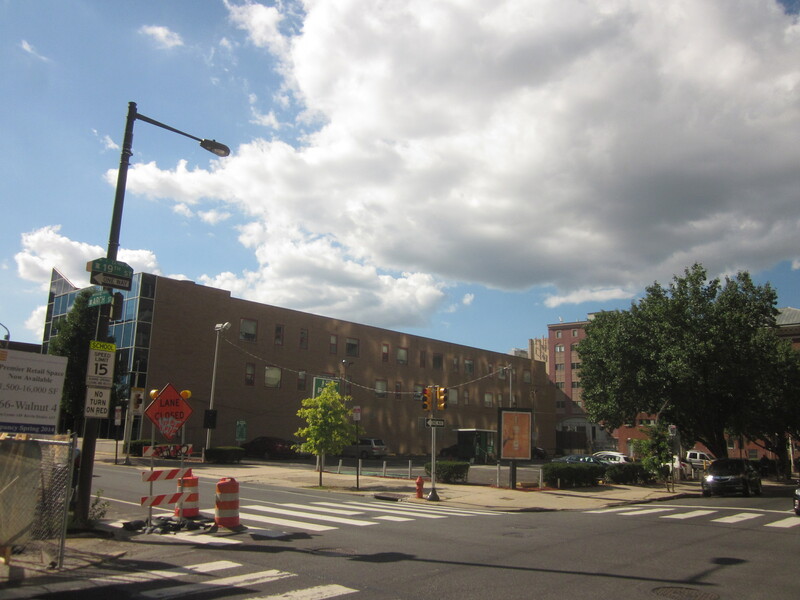 Besides the developments planned at 18th and 20th Streets, there are plans to convert the large former Frankford Chocolate Factory, at 22nd Street and Washington Avenue, into apartments and there is a large new townhouse and condo project being built at 17th & Carpenter Streets, called Carpenter Square, and a site across the street that will be redeveloped by a developer that was chosen last week by the Redevelopment Authority. 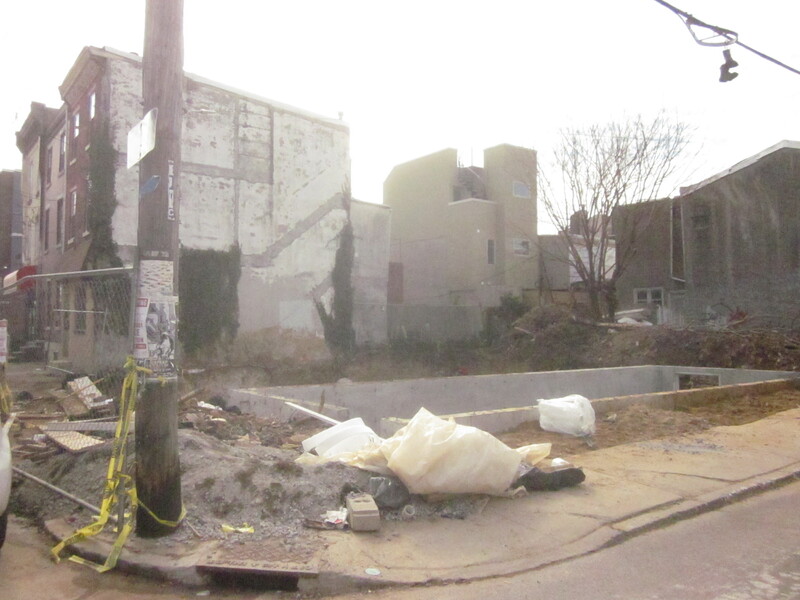 On the northwestern corner of 17th & Carpenter, an empty lot is about to be converted into a neighborhood park called Carpenter Green, which is probably one reason why this apartment building at 1601 Washington Avenue is being built at this time. 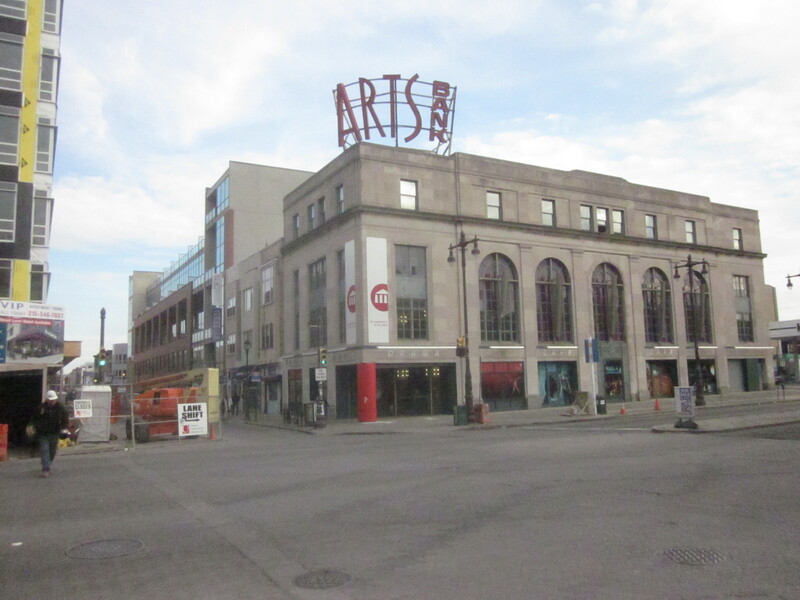 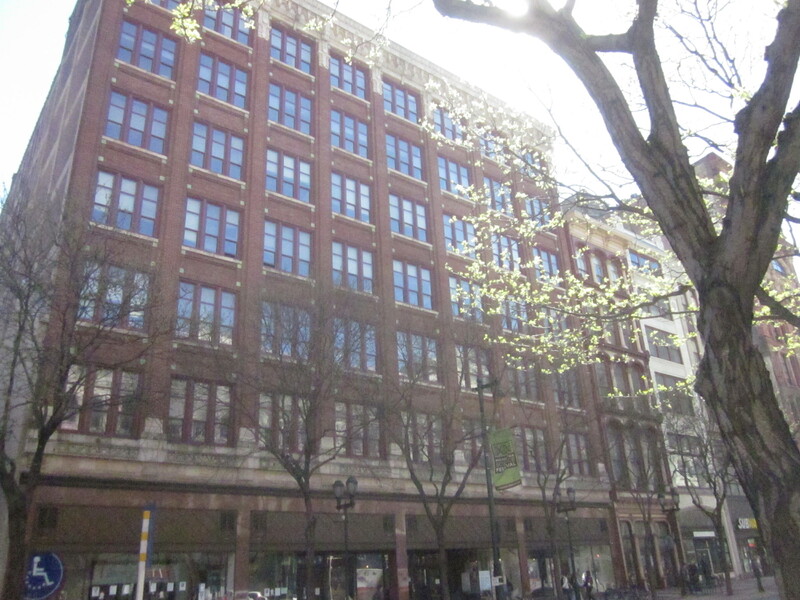 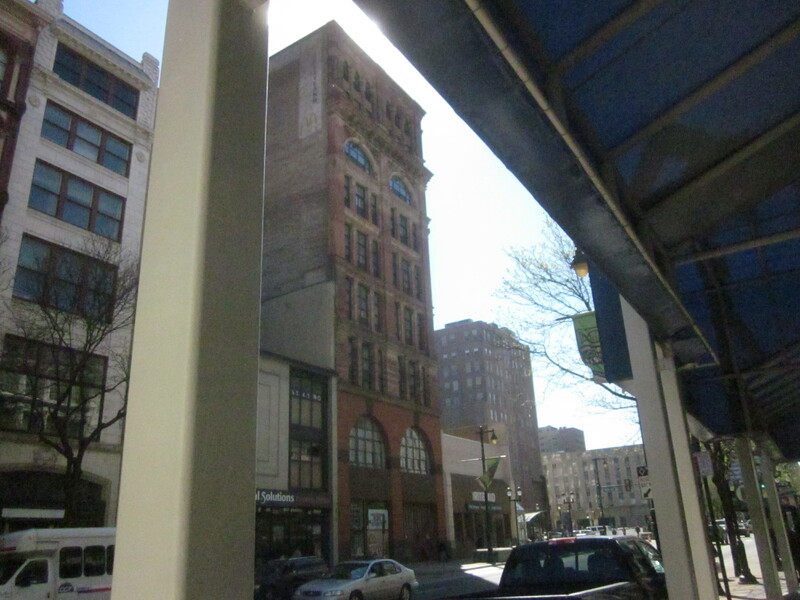 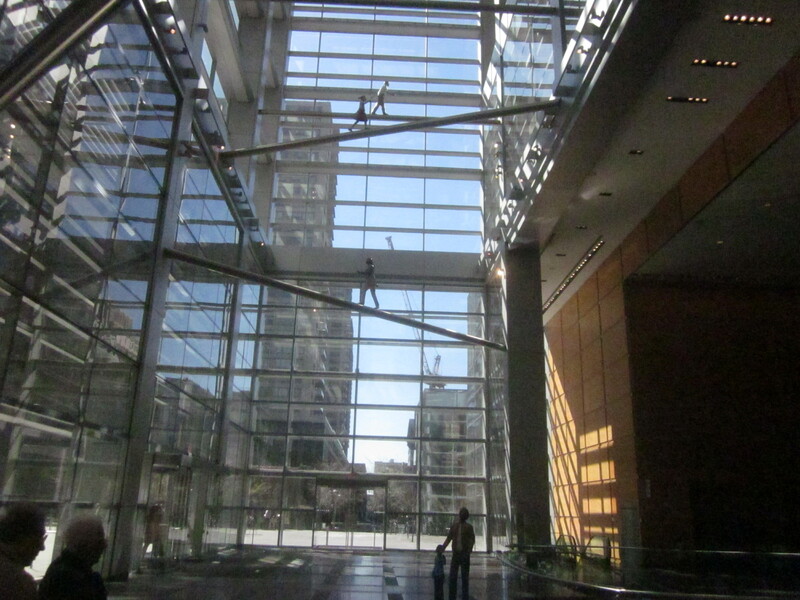 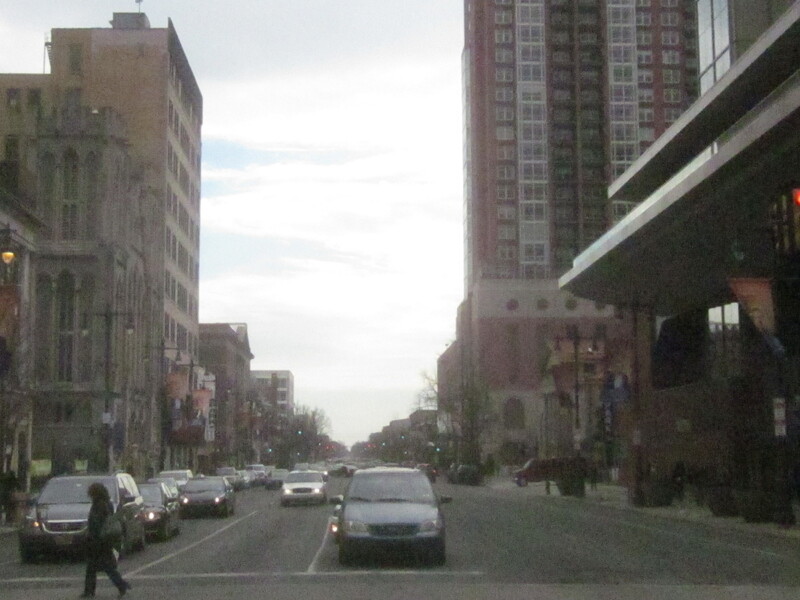 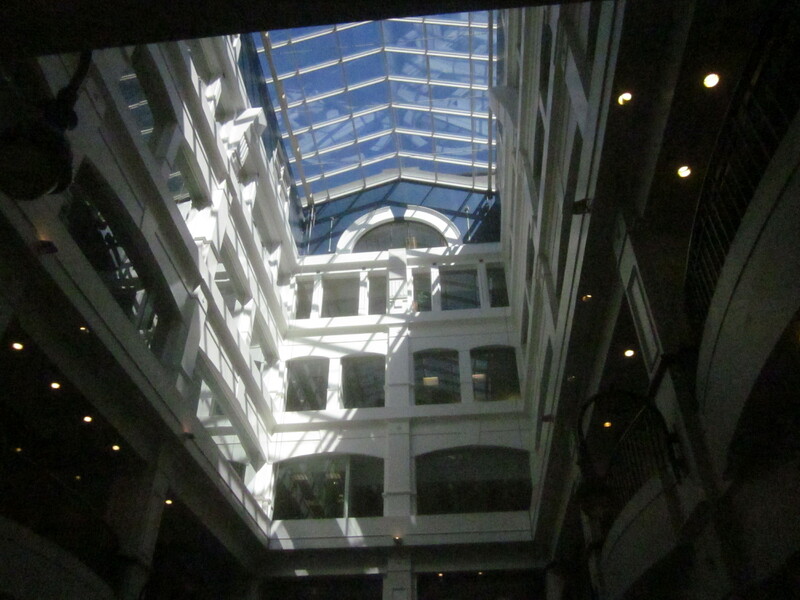 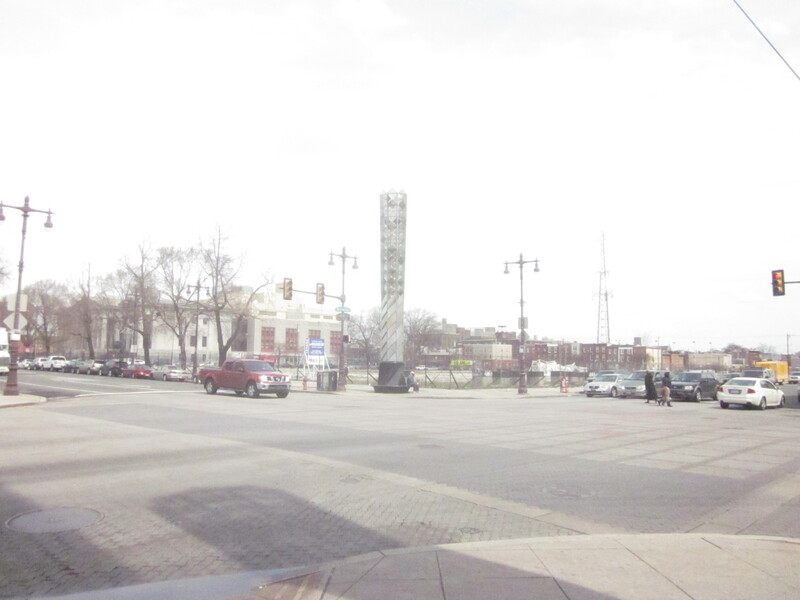 Washington Avenue could, also, attract artists and creative companies in existing and newly constructed buildings. 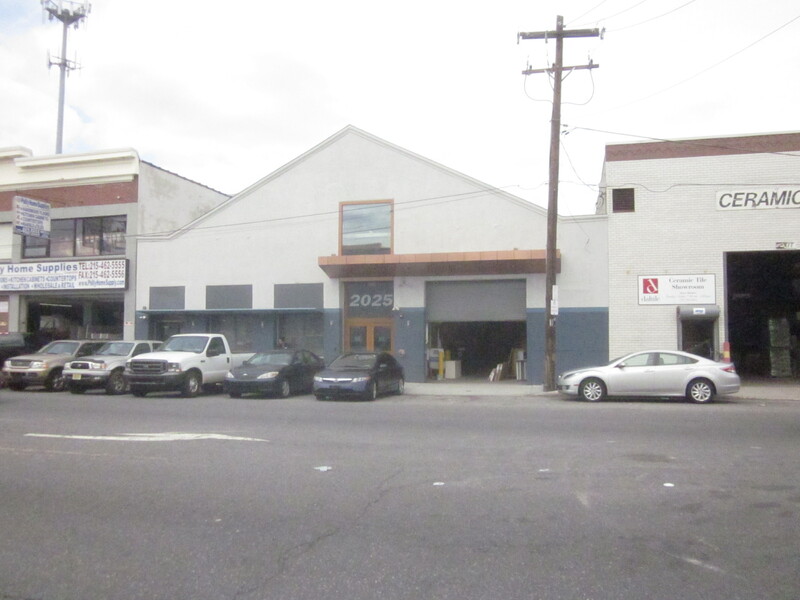 NextFab Studios, which provides work spaces, machinery, and tools for artists and creative companies has recently opened up a few blocks west of 1601 Washington. 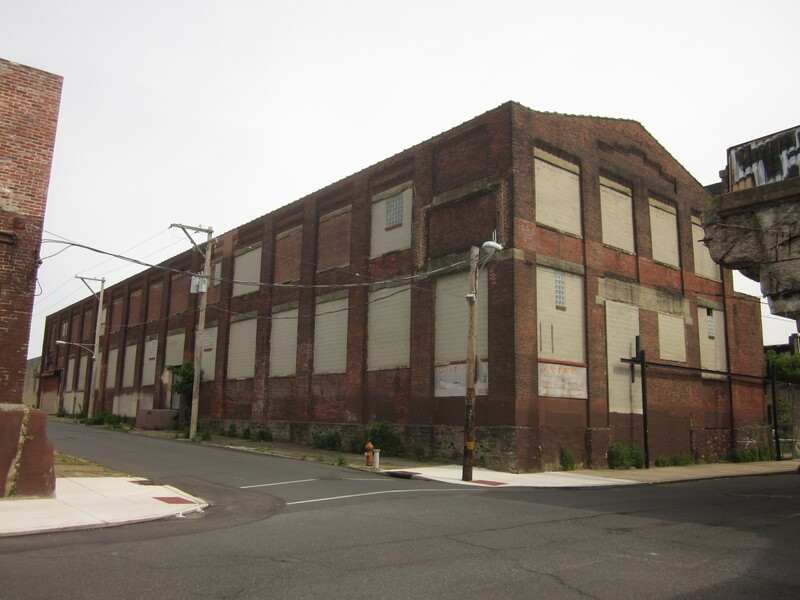 Also, an old warehouse just south of Washington Avenue, at 25 & Ellsworth Streets, is being renovated into loft-style apartments. 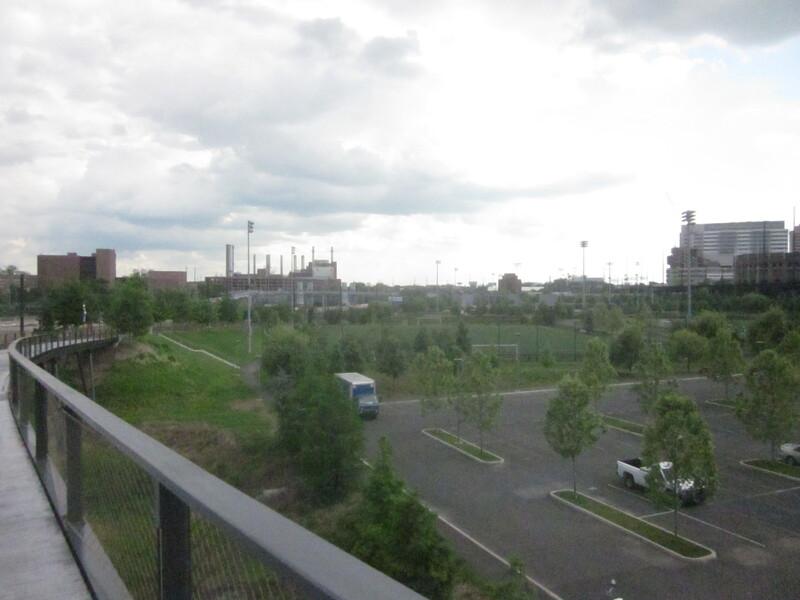 As if all this isn’t enough, the University of Pennsylvania is starting to redevelop the former Dupont Labs site on the Schuylkill River, just off of Gray’s Ferry Avenue near the western end of Washington Avenue, with a mix of research facilities and office and lab space for private high-tech companies. 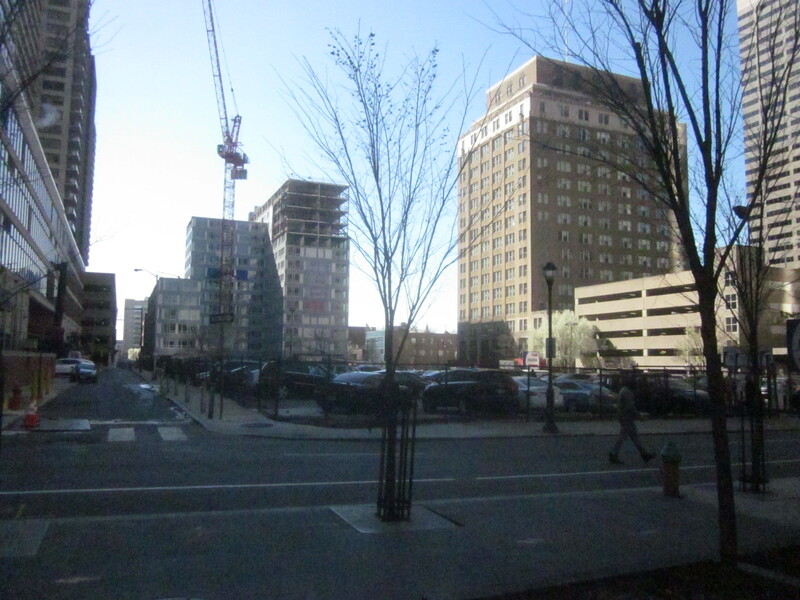 At Broad and Washington, developer Bart Blatstein is planning a huge shopping center development, which hopefully will include some residential towers as well, and South Broad Street is experiencing several new developments, such as the Southstar Lofts apartment building, at Broad and South Streets, and the SLS International Hotel and Condominiums, at Broad and Spruce Streets. 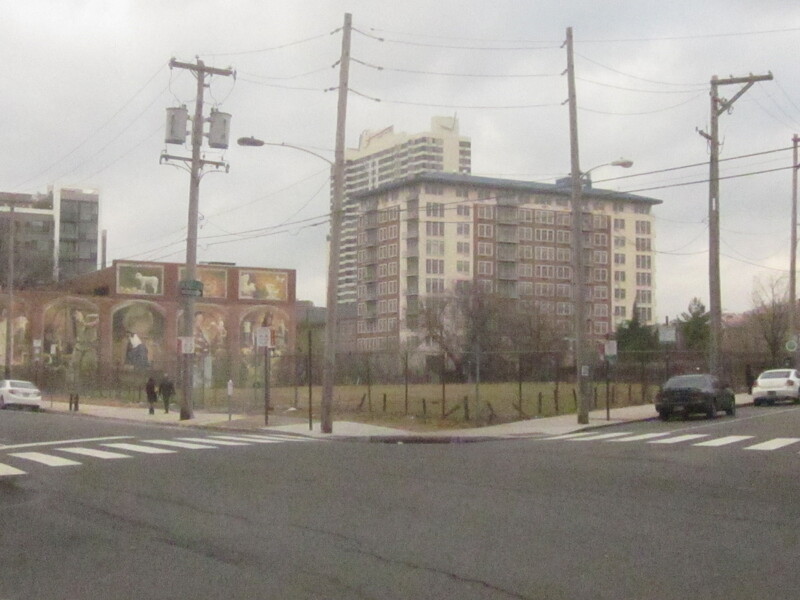 The redevelopment of Washington Avenue seems almost inevitable with this huge amount of housing development happening nearby. 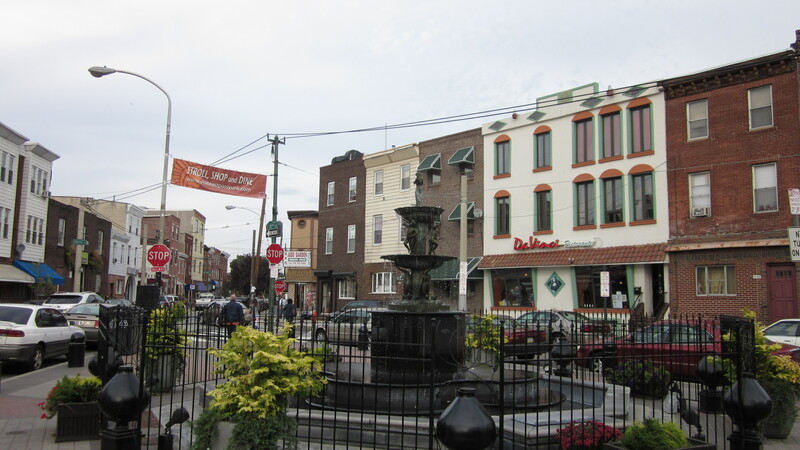 If you are looking to buy or sell a home or investment property in the Graduate Hospital or Point Breeze neighborhoods, or any other neighborhood in the city, please contact me at gabriel.gottlieb@lnf.com or check out my Long & Foster agent portal, here, or learn more about our Long & Foster Center City office, here. 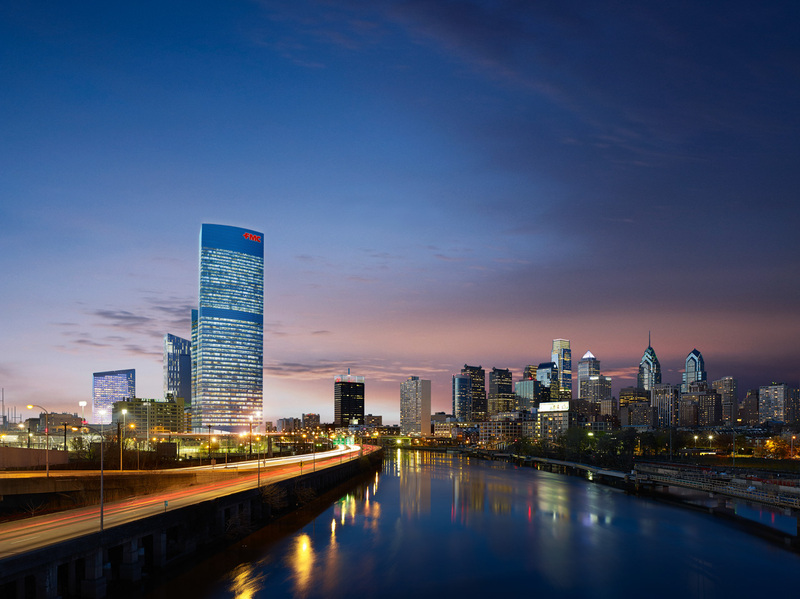 You can, also, check out my Facebook realtor page, Gabriel G. Philly Realtor, or follow my twitter page, @GabrielGPhilaRE. 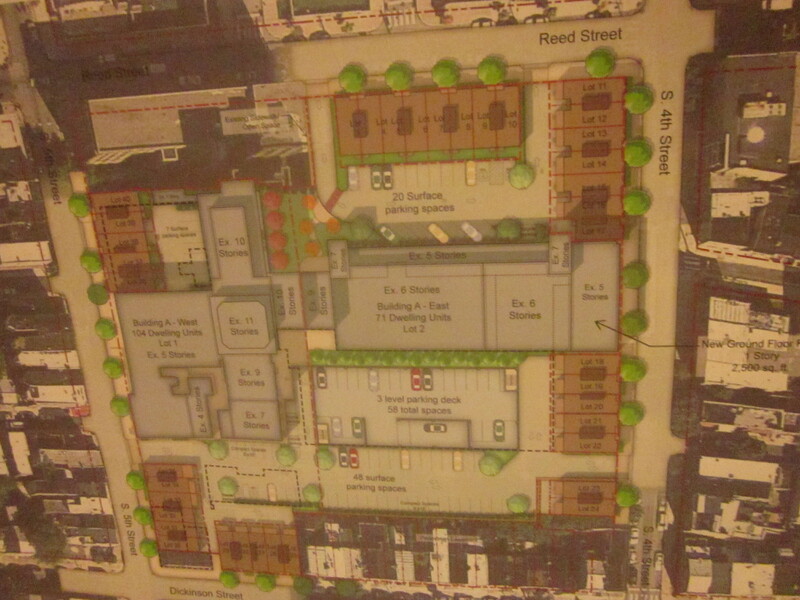 And, you can look at the ZBA approval, here, and view renderings and my pictures of the site and neighborhood, below. 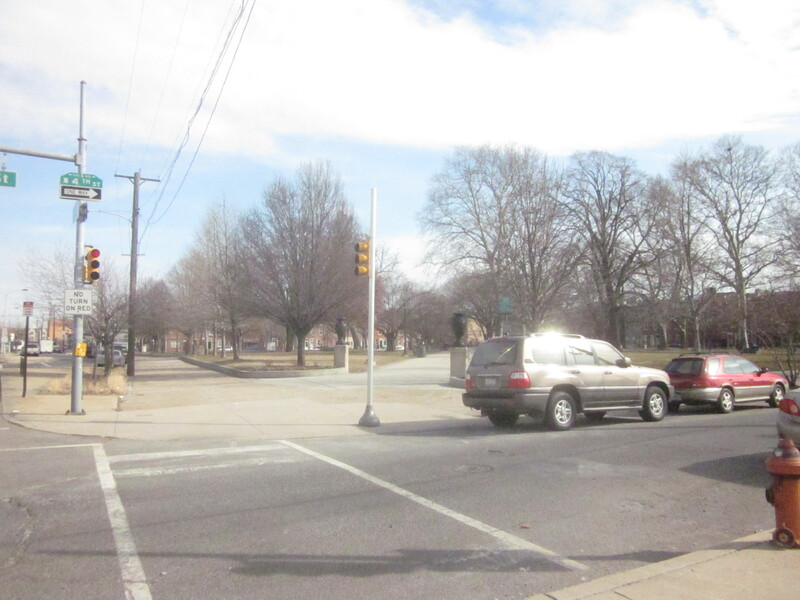 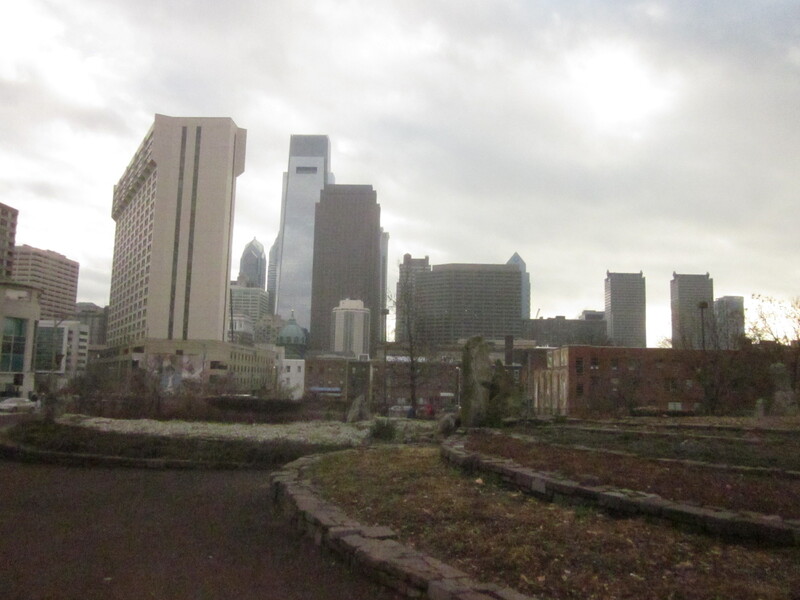 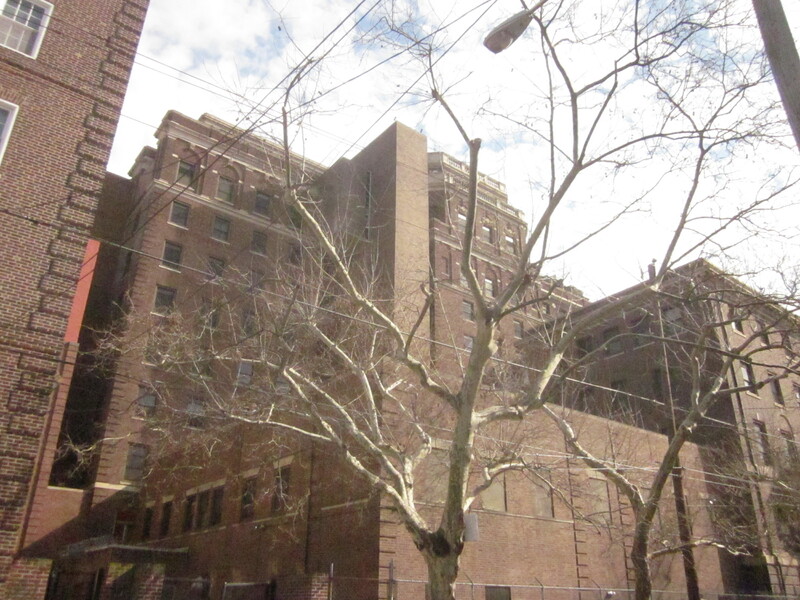 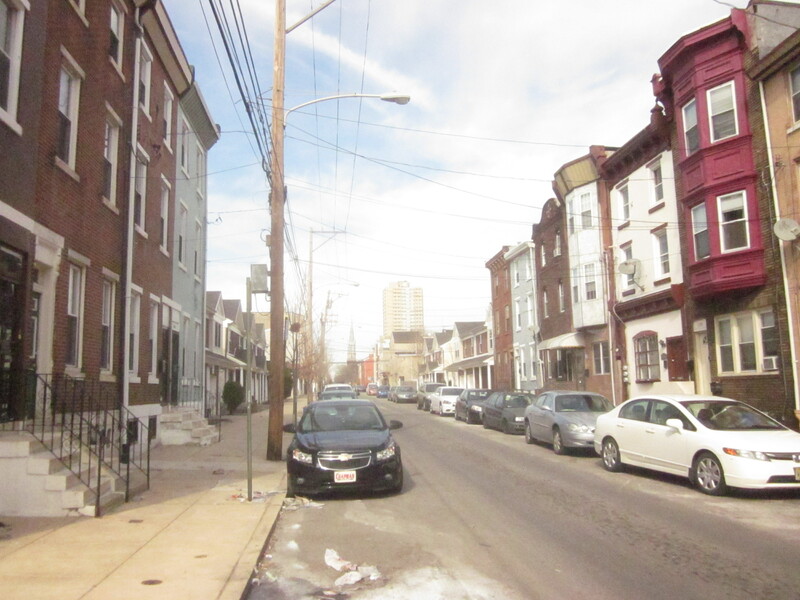 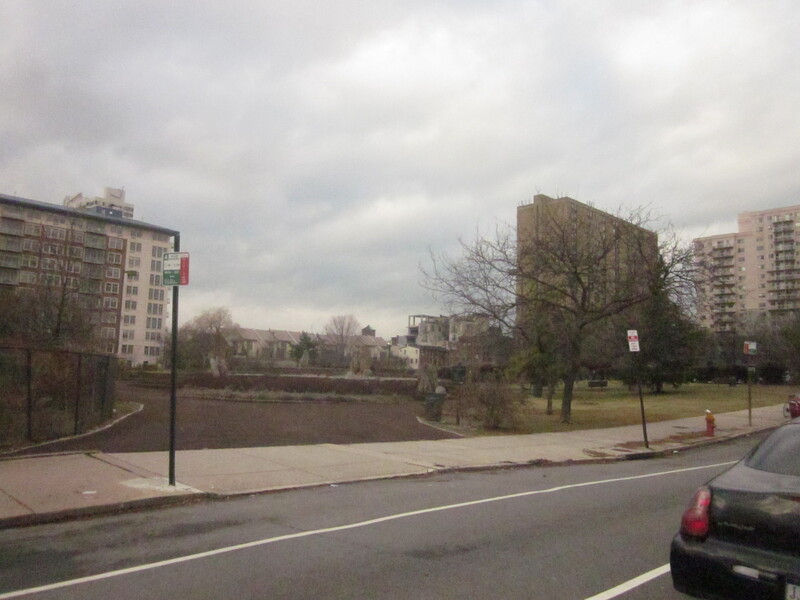 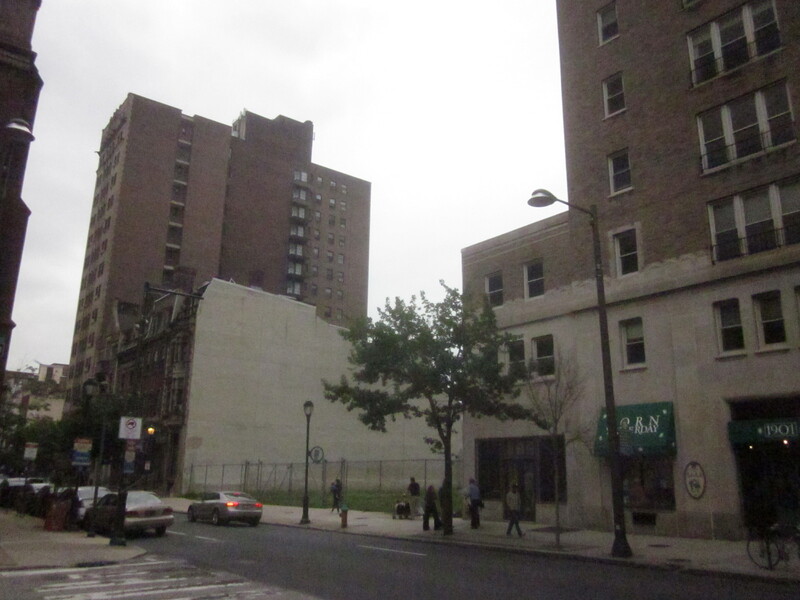 Another major rental housing development is about to be built in the Fairmount (Franklintown) neighborhood, just north of the Ben Franklin Parkway. 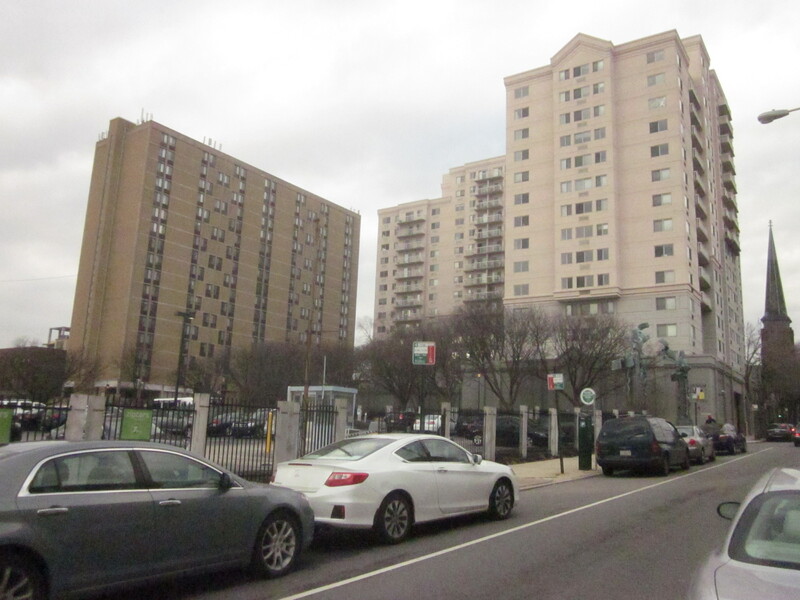 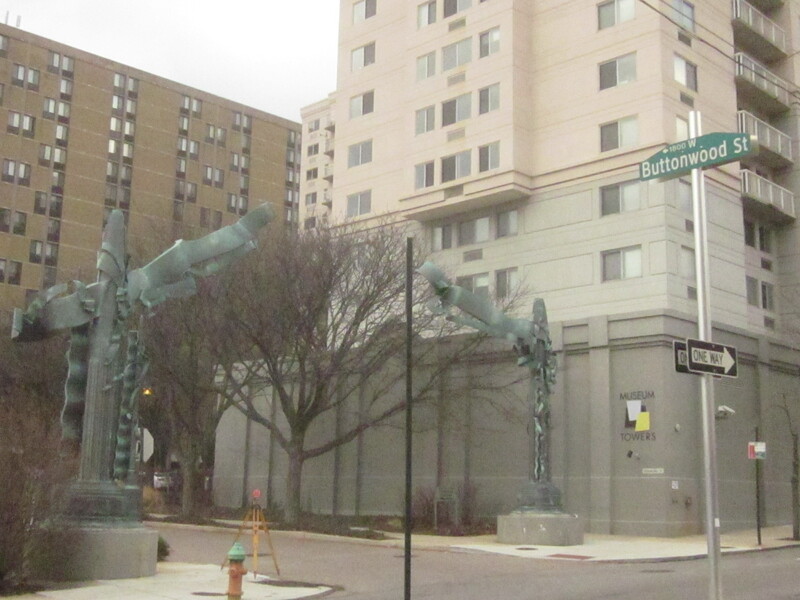 This new development will be an extension of the Museum Towers apartment building at 18th and Spring Garden and Buttonwood Streets, just north of the Matthias Baldwin Park (formerly Franklintown Park), and will be built on what is now a surface parking lot. 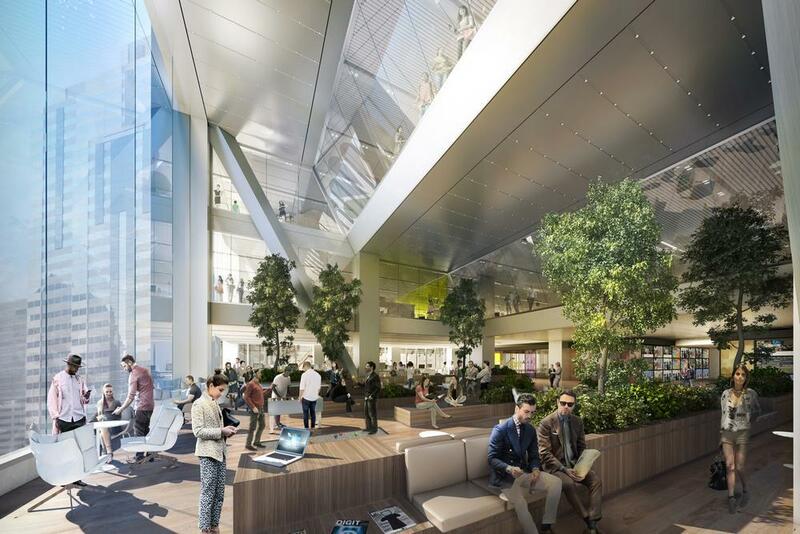 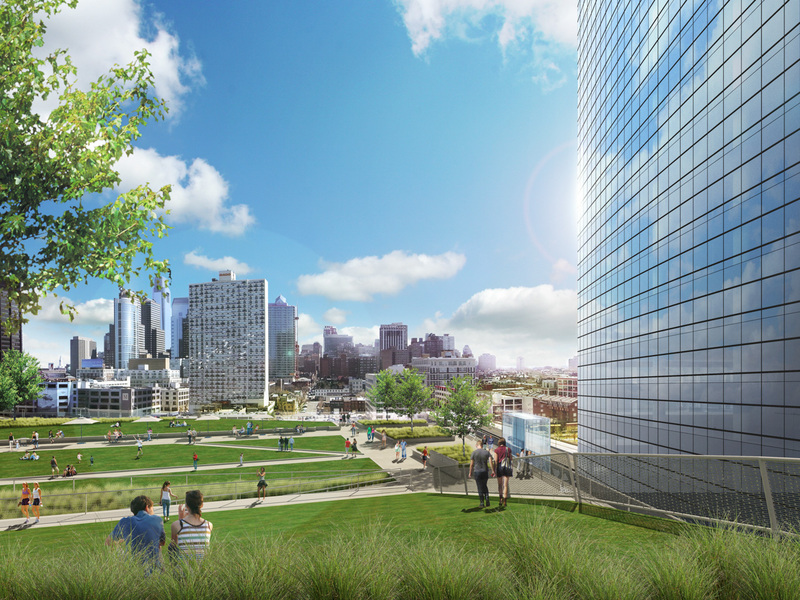 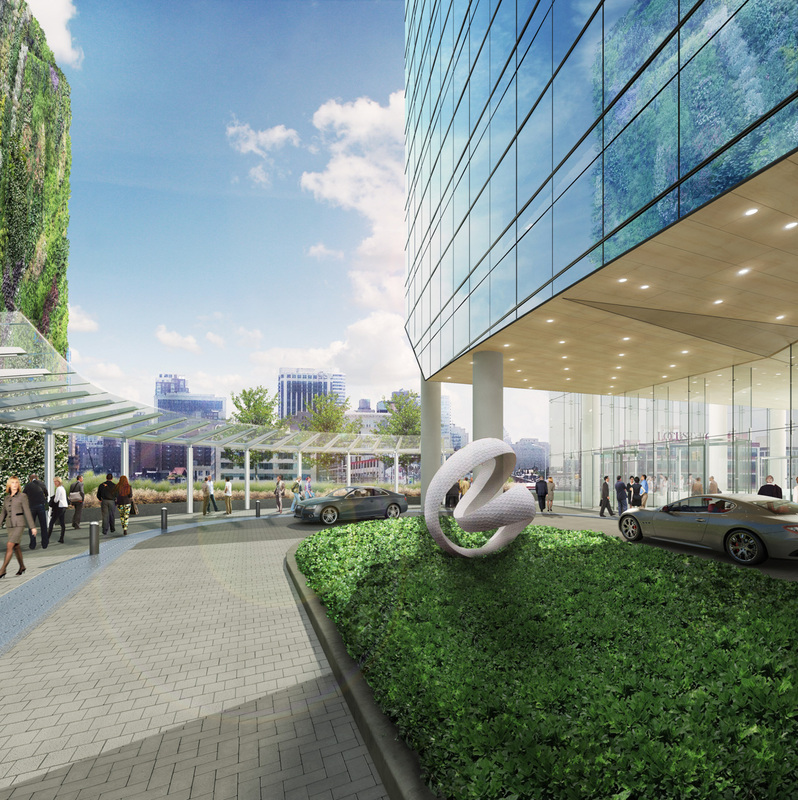 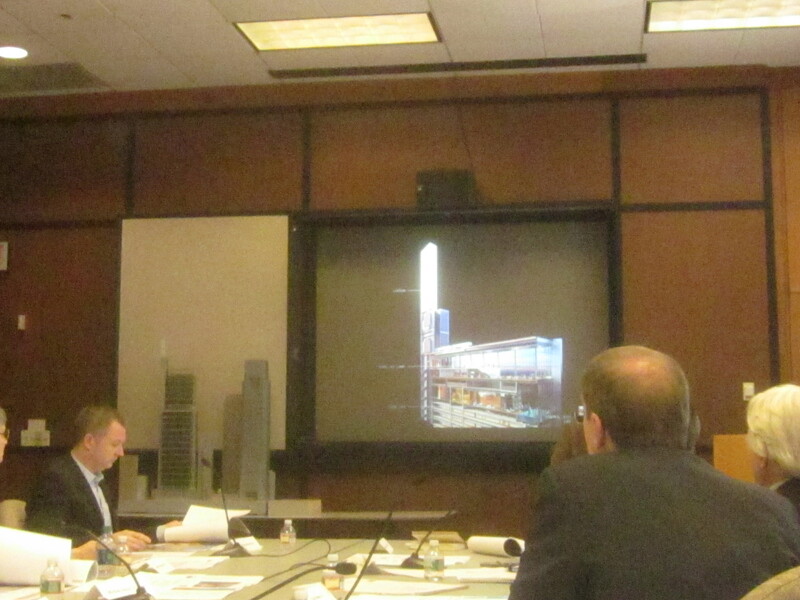 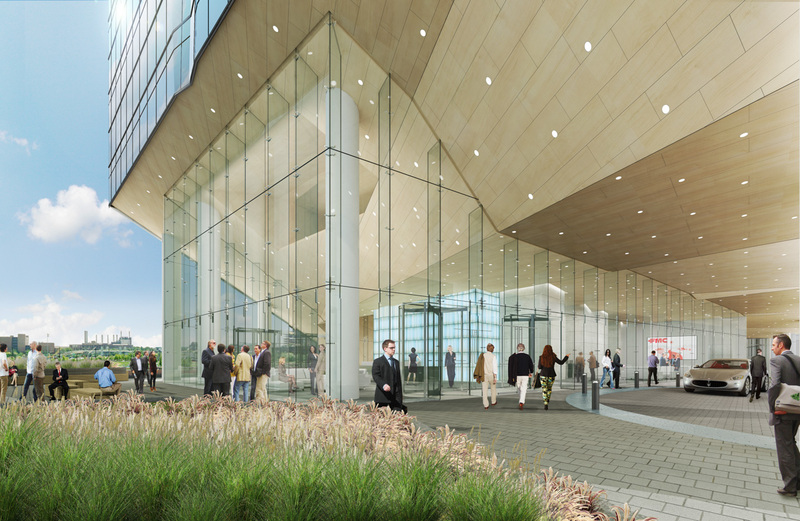 It is being developed by Forest City and designed by Perkins Eastman Architects and Studio Bryan Hanes. 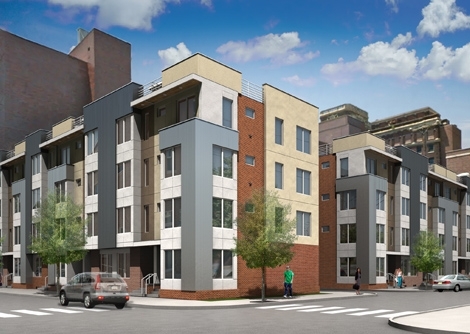 This new development will be mostly apartments, but will have some large, luxury townhouses. 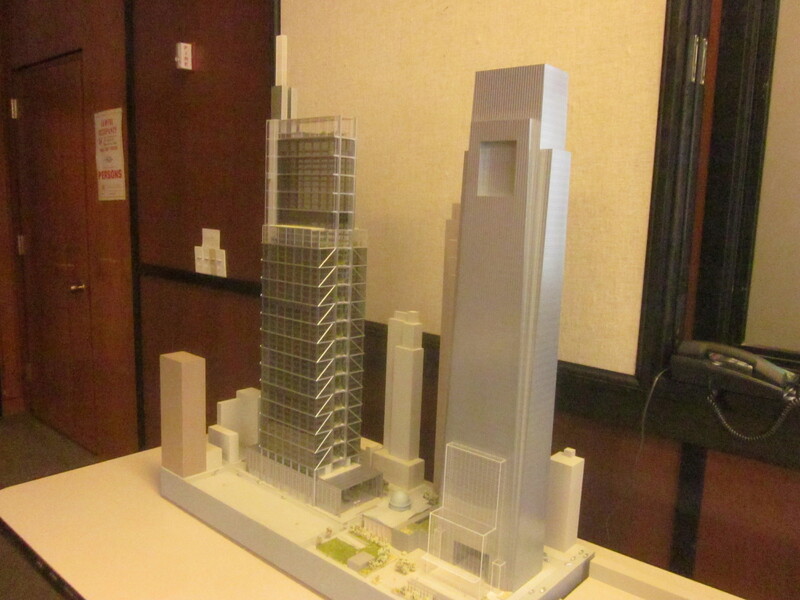 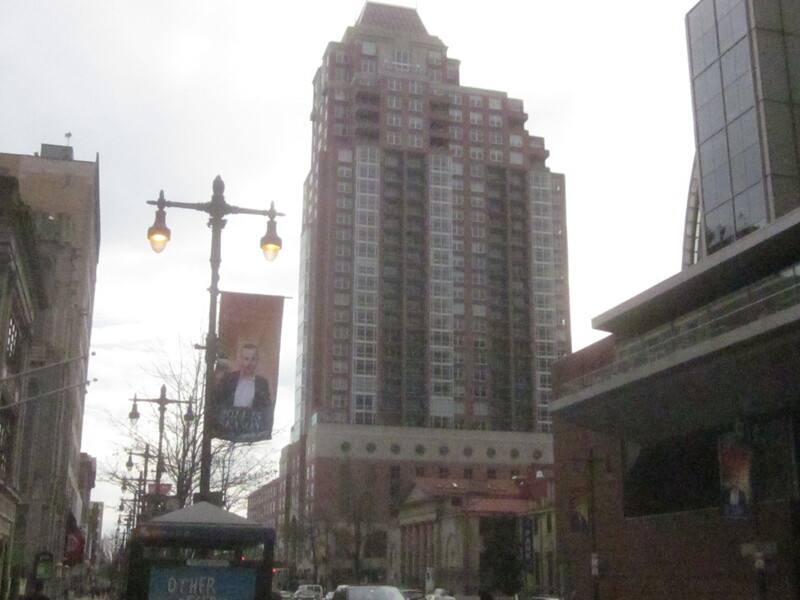 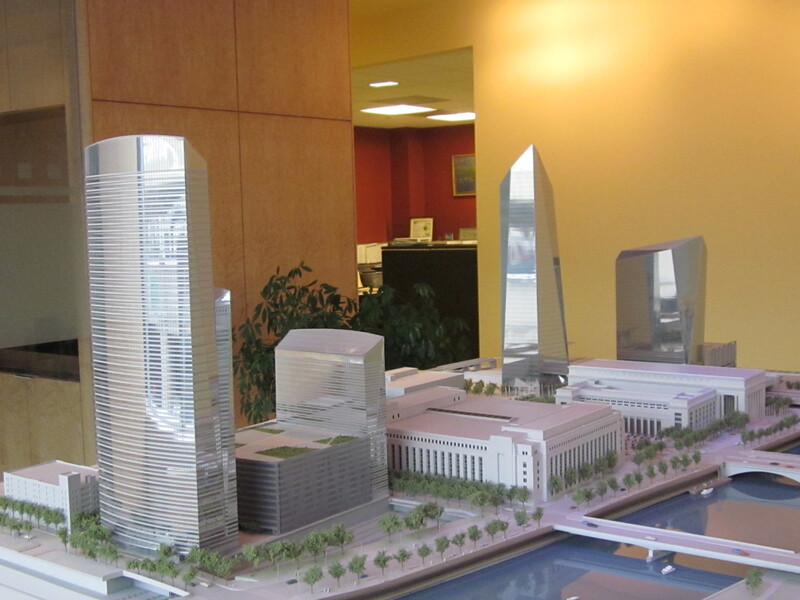 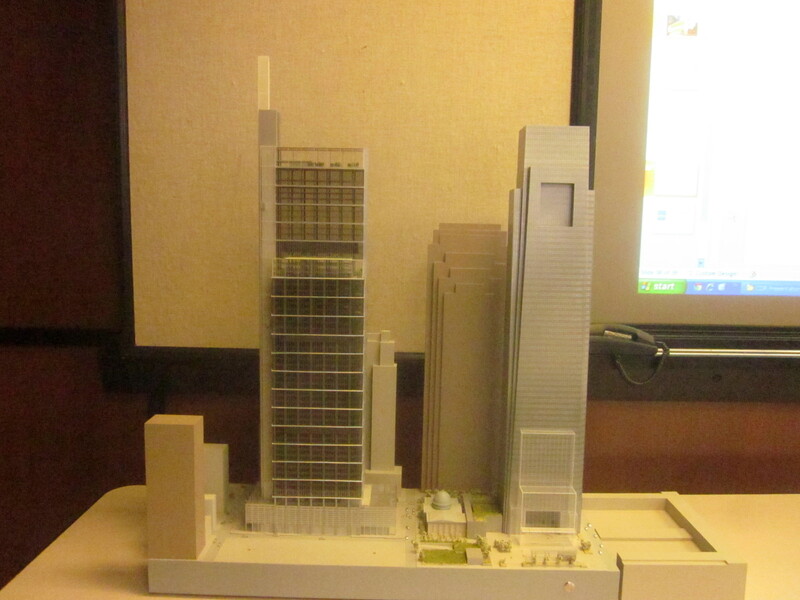 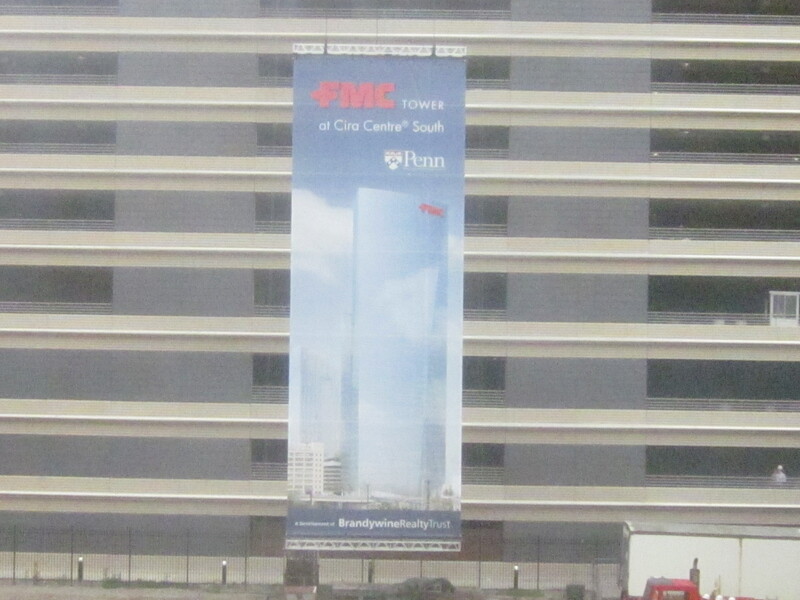 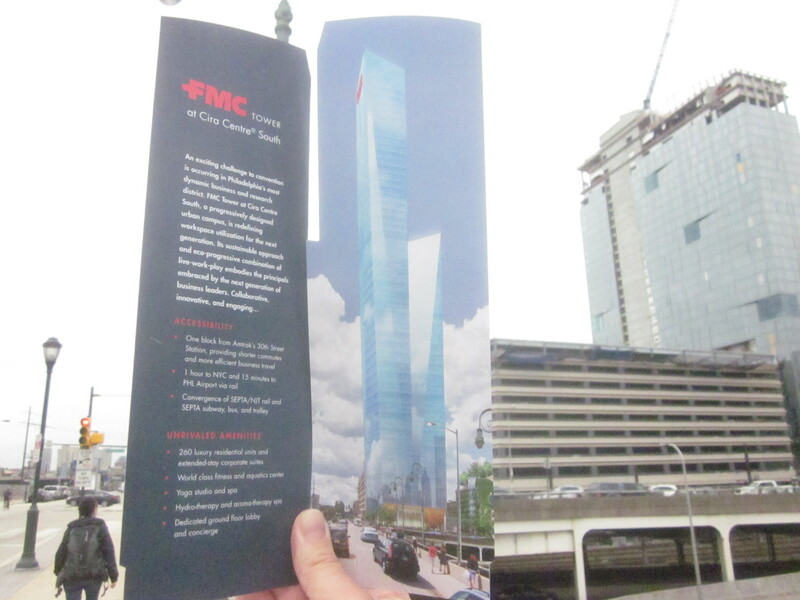 The new development will be called, simply enough, Museum Towers II. 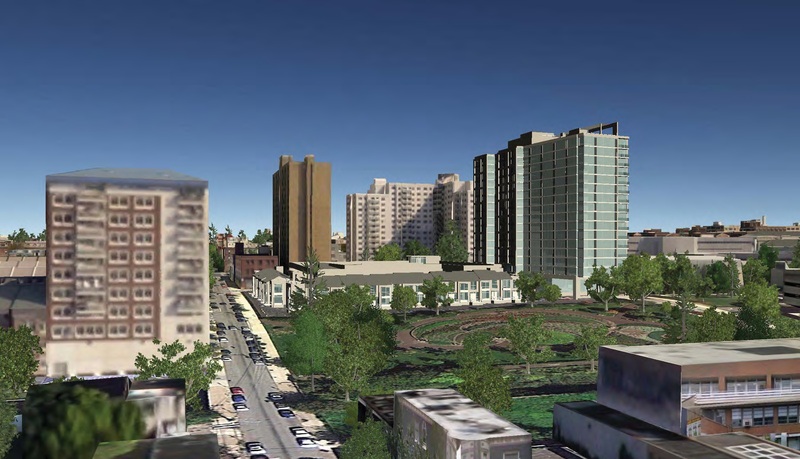 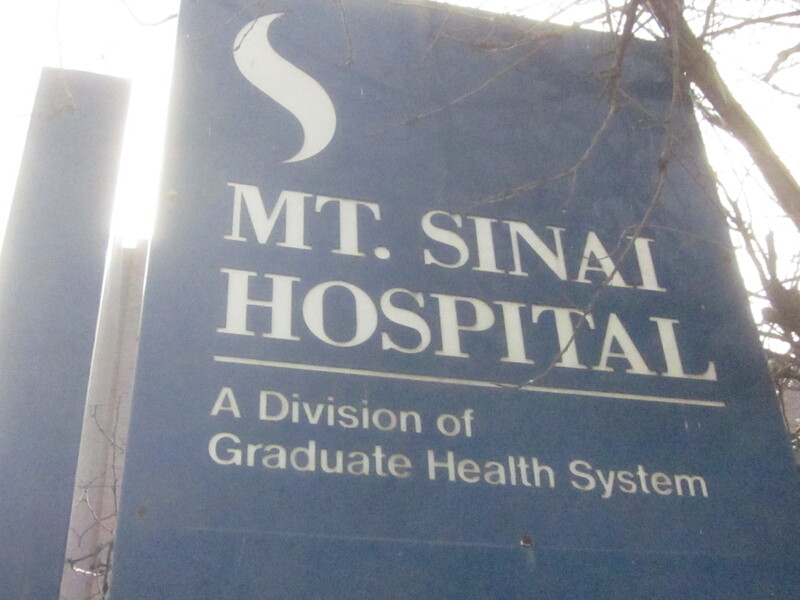 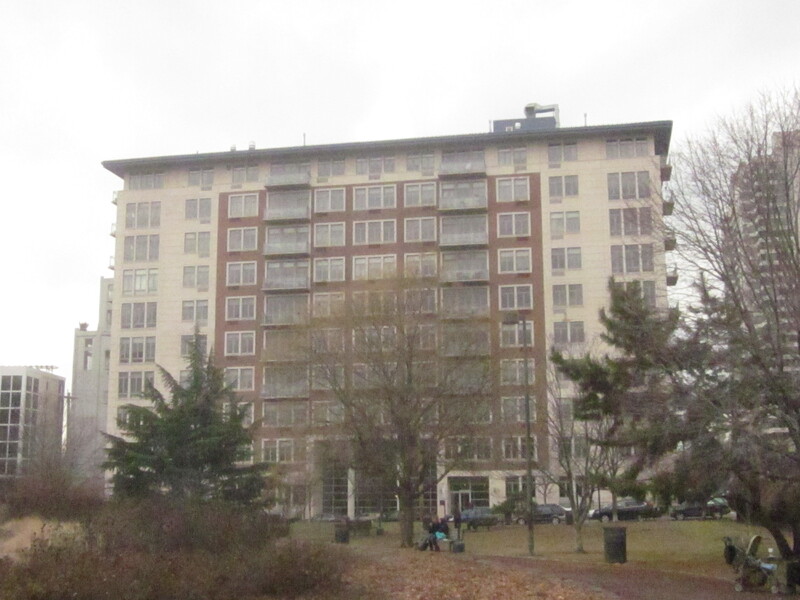 It will be located just north of Matthias Baldwin Park, with a 16-storey highrise apartment tower on 18th Street and 16 townhouses facing the park and 19th Street. 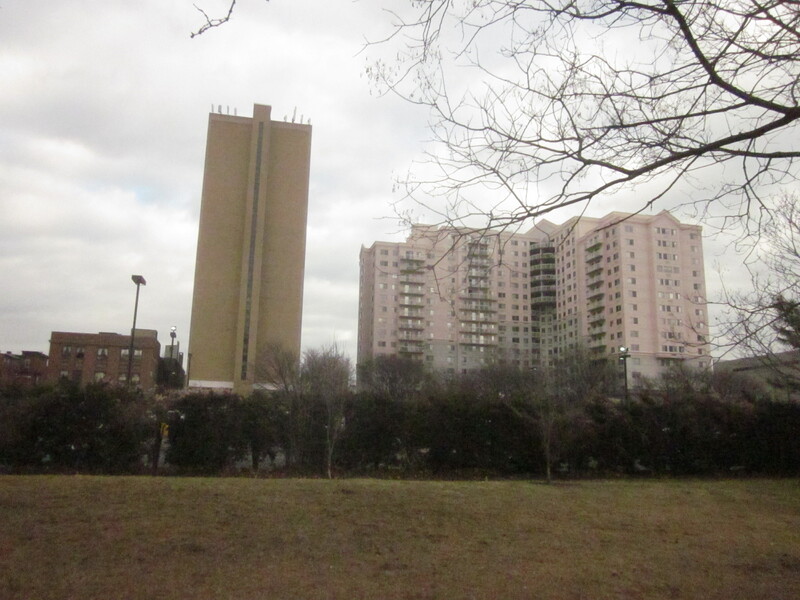 The townhouses and tower will surround, and mostly hide, a 400 space parking garage. 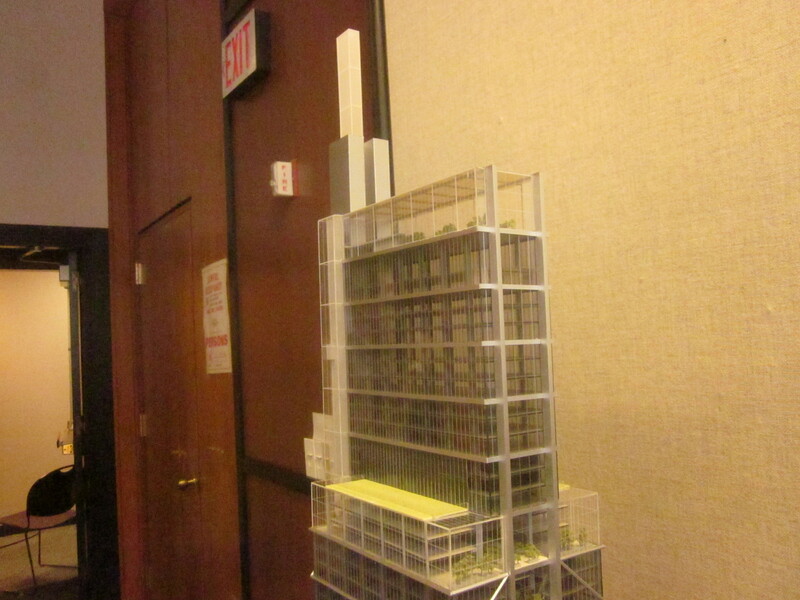 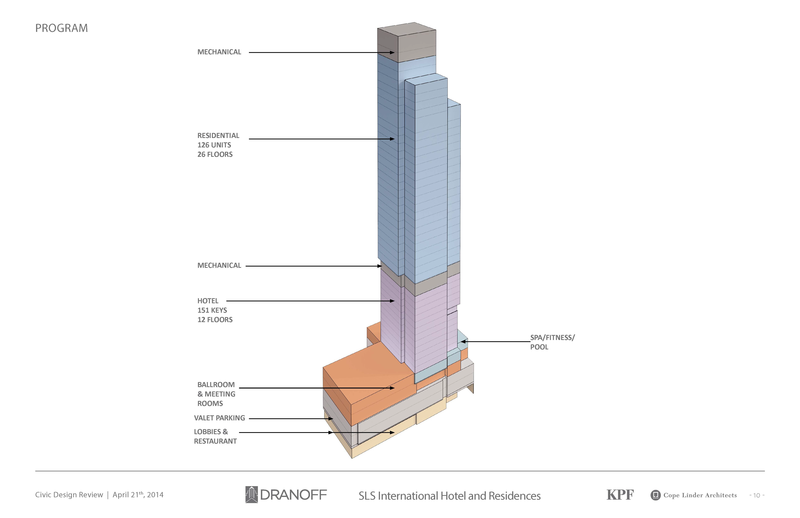 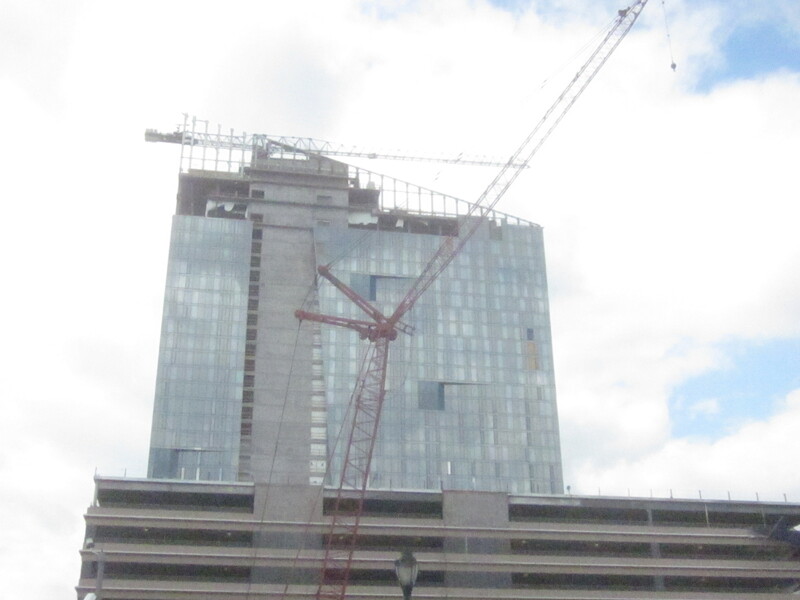 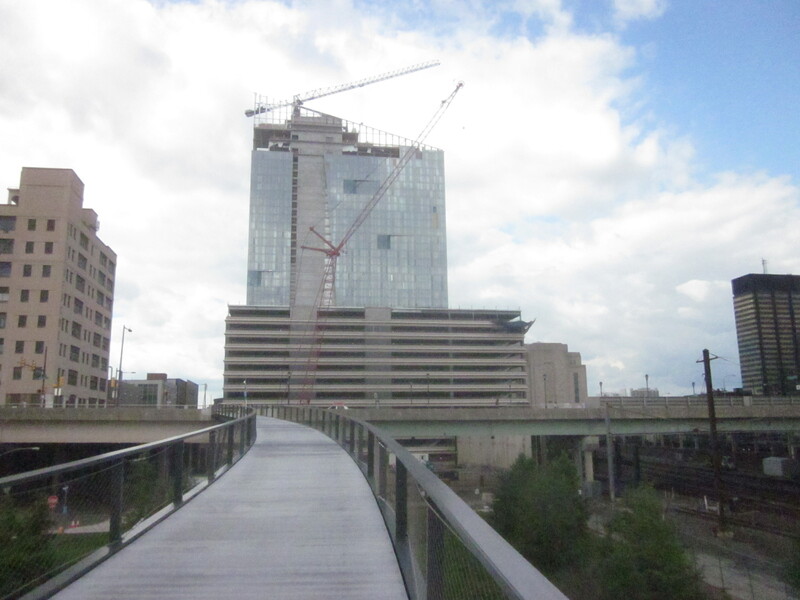 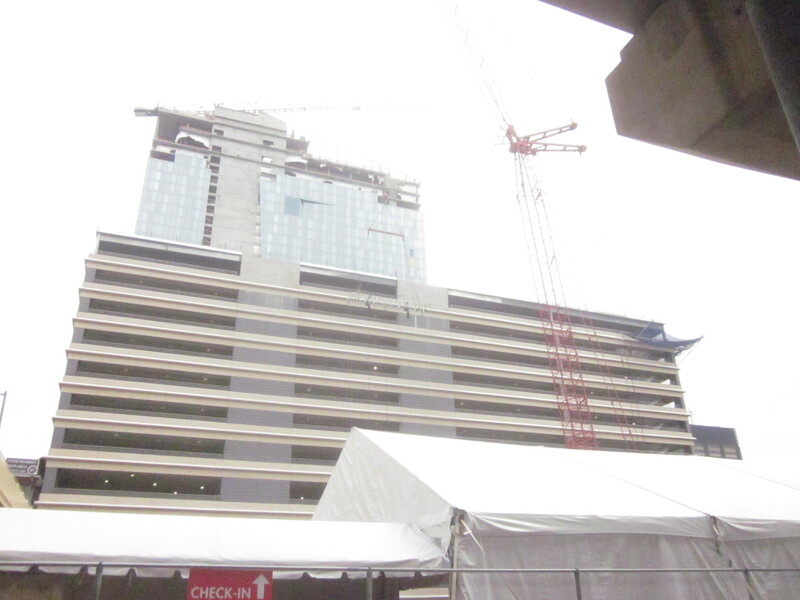 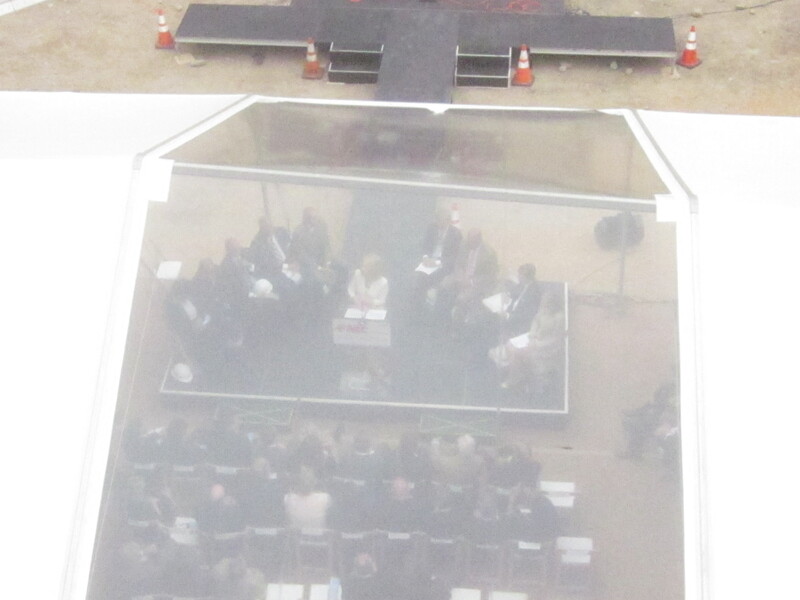 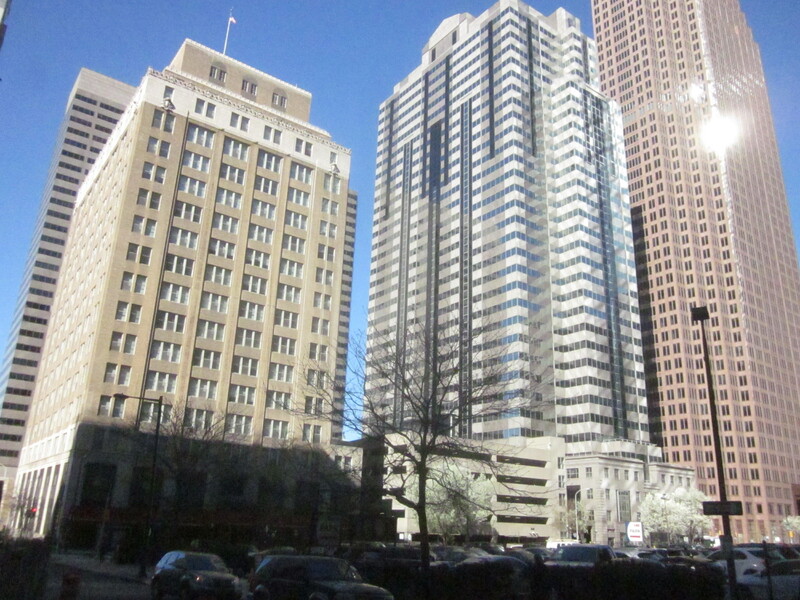 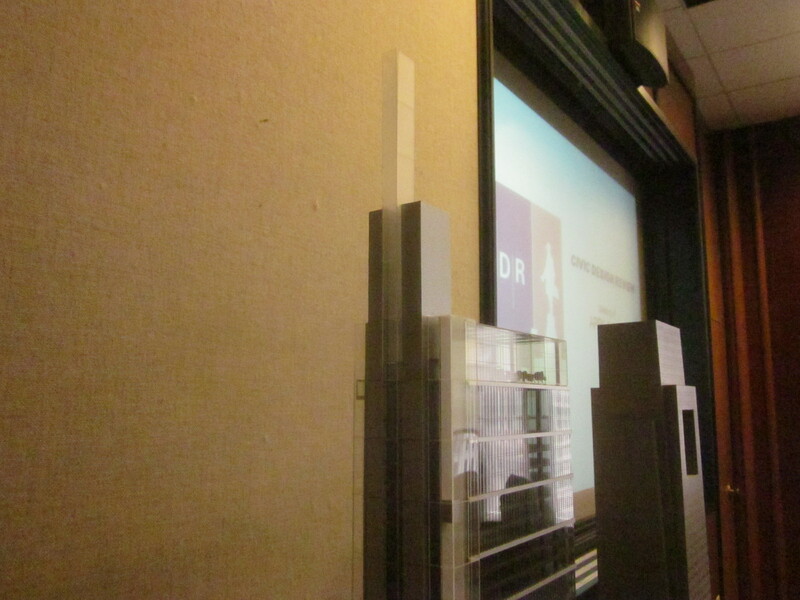 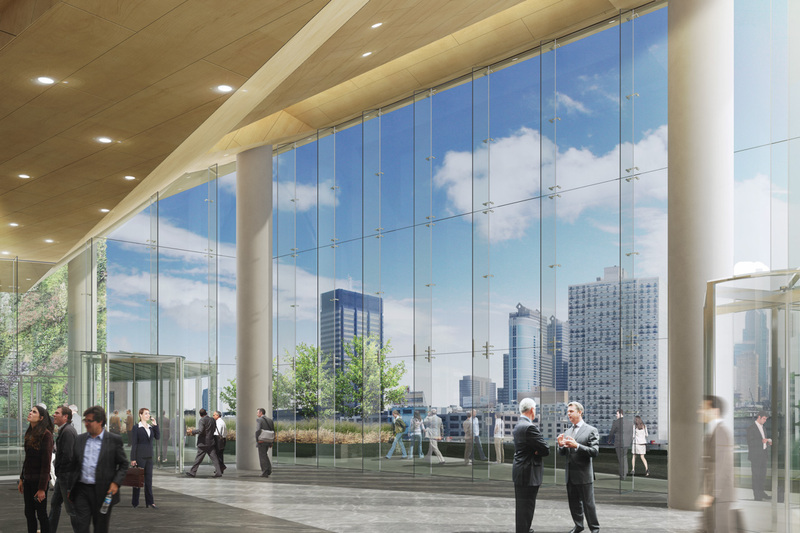 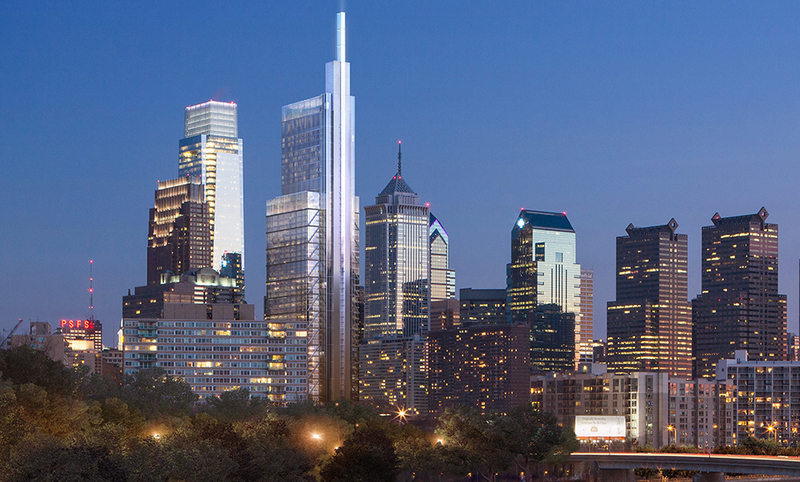 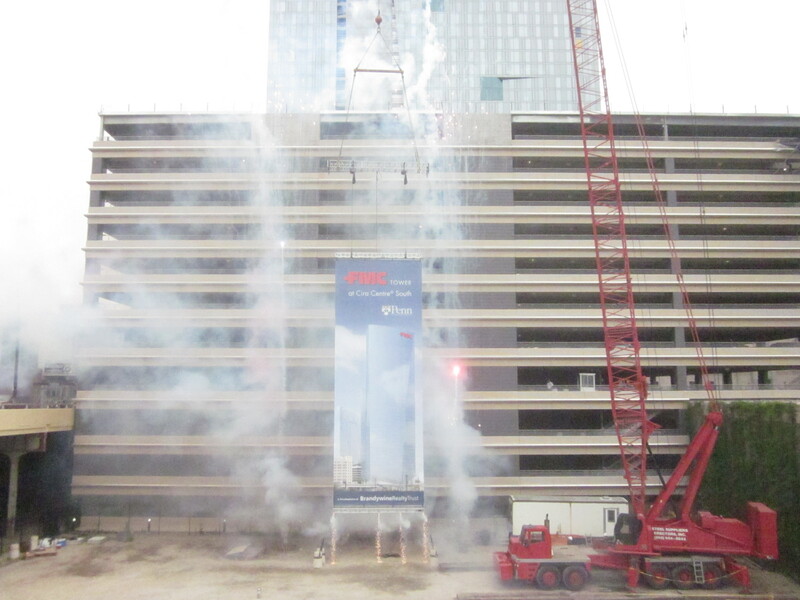 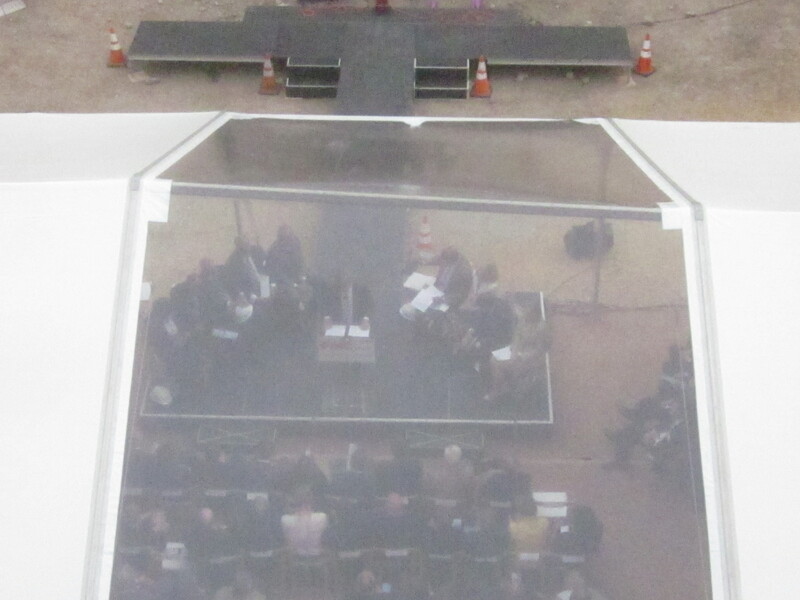 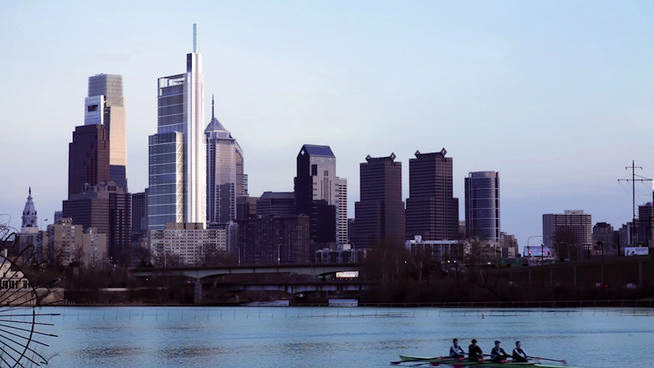 The tower will have 270 upscale apartments and will have a modern, largely glass exterior. 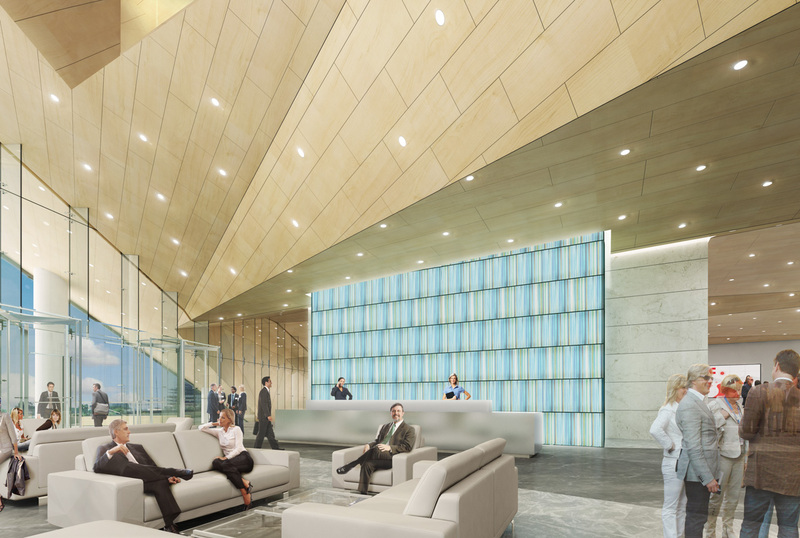 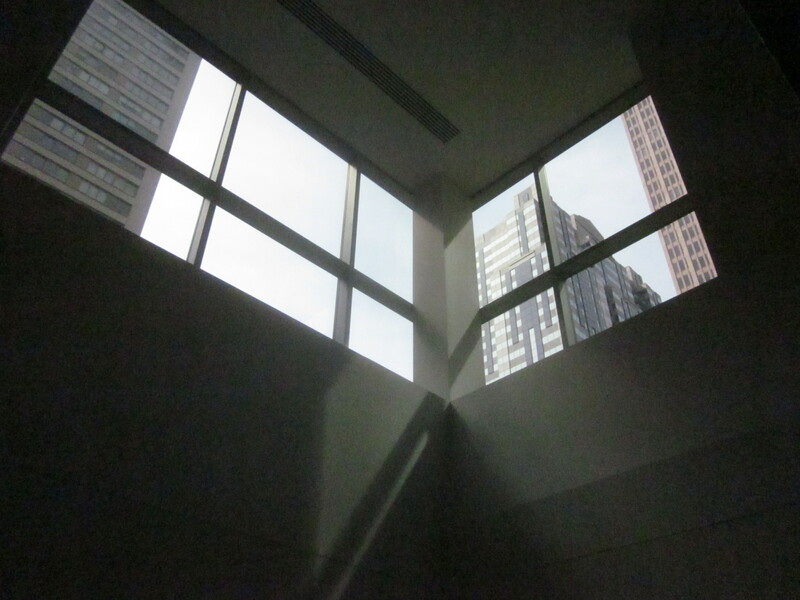 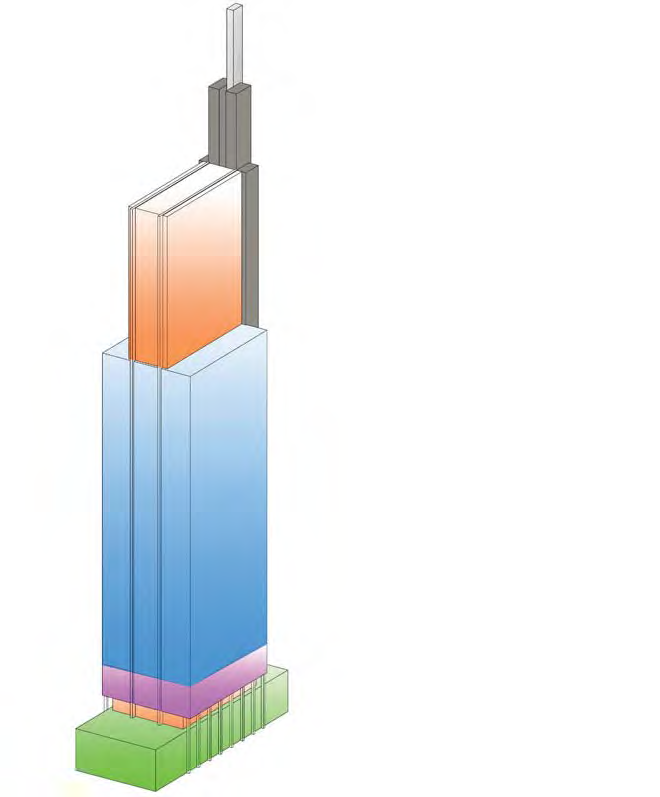 The first floor will have a skylit lobby connected to Museum Towers I and community spaces for the whole complex. 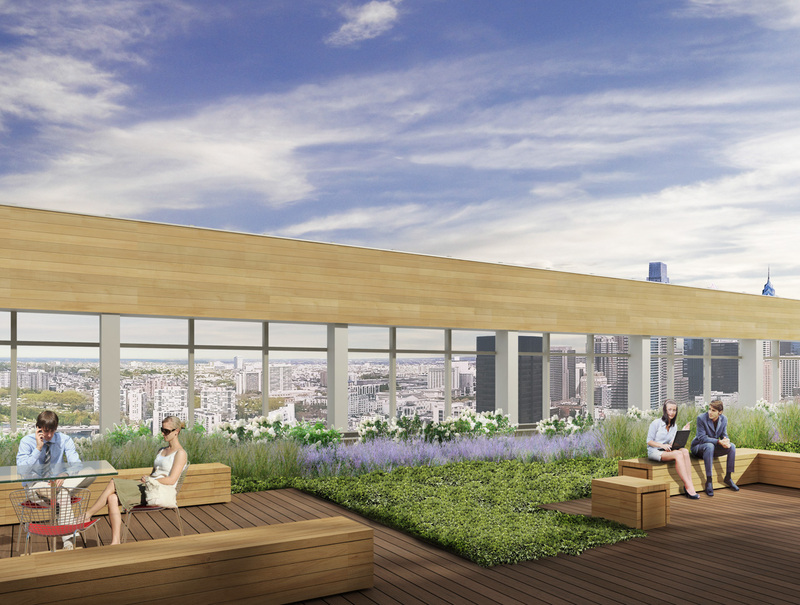 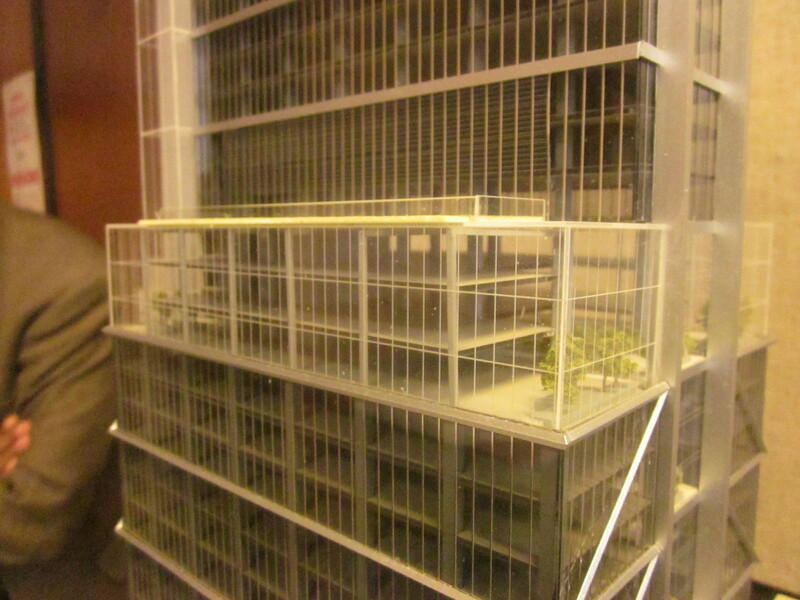 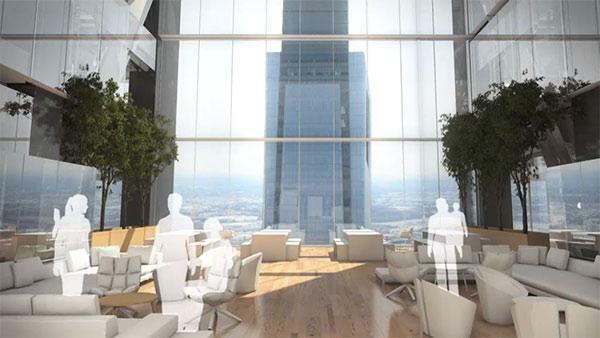 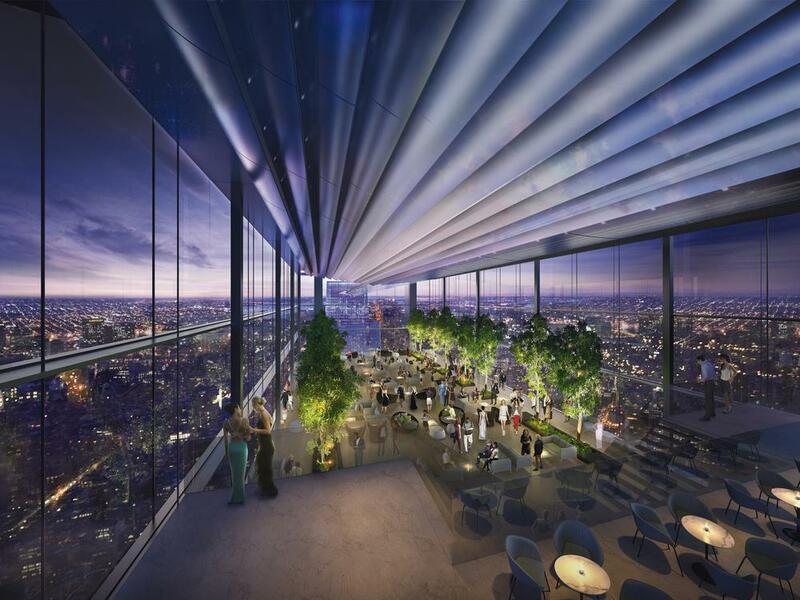 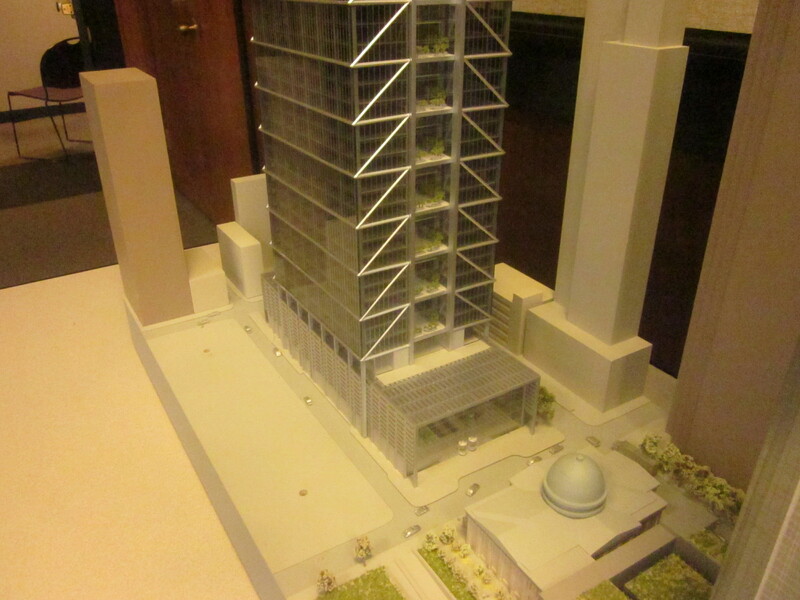 There will, also, be a rooftop terrace on the top of the tower. 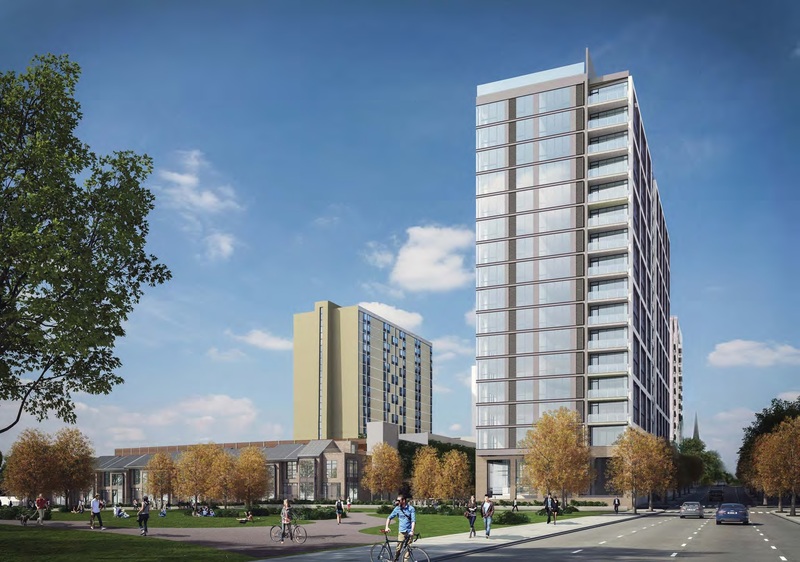 The townhouses will be three storeys, and the ones facing the park will be accessible from inside and have backyard decks and patios facing the park and skyline, while the townhouses facing 19th Street will have the front door along the street, across from The Tivoli Condominiums. 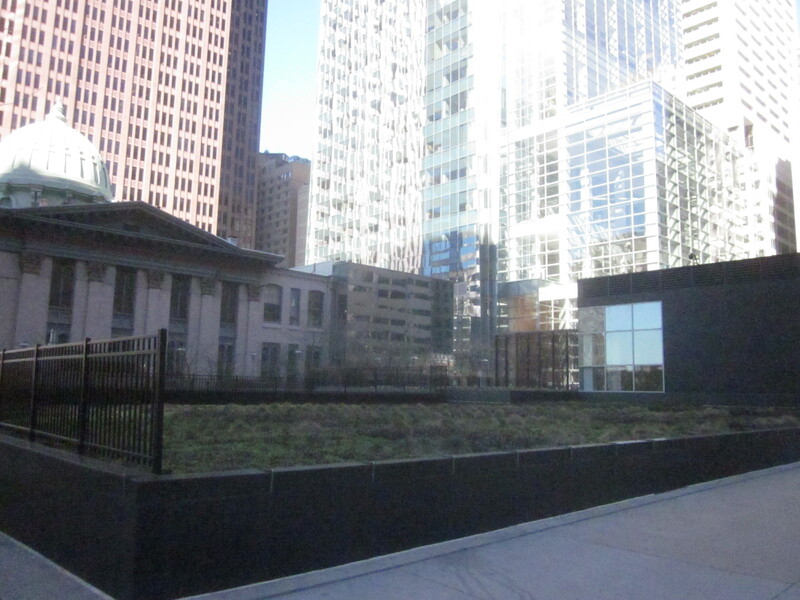 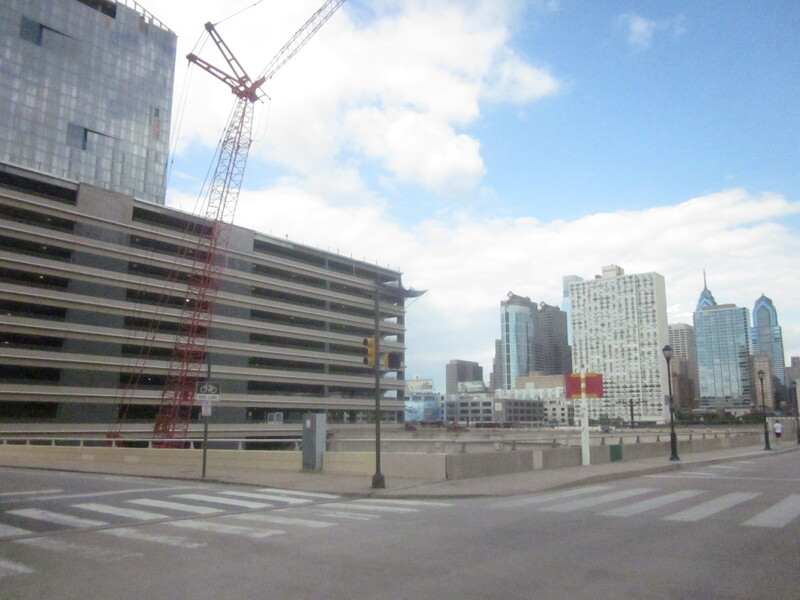 There will be some fencing on the top floor of the garage to hide it from the street, and park, views. 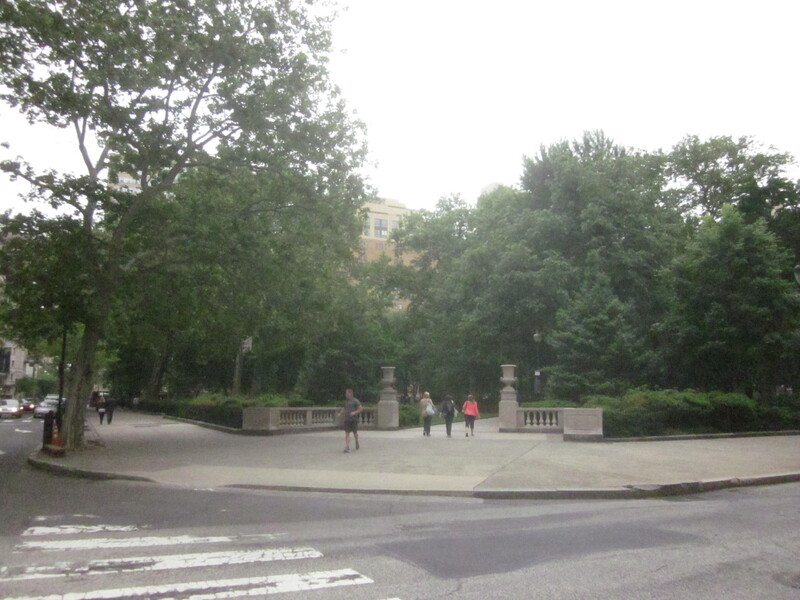 There will be a gate, along the north side of Baldwin Park, in order to separate the backyards of the those townhouses that run along the park, from the park itself. 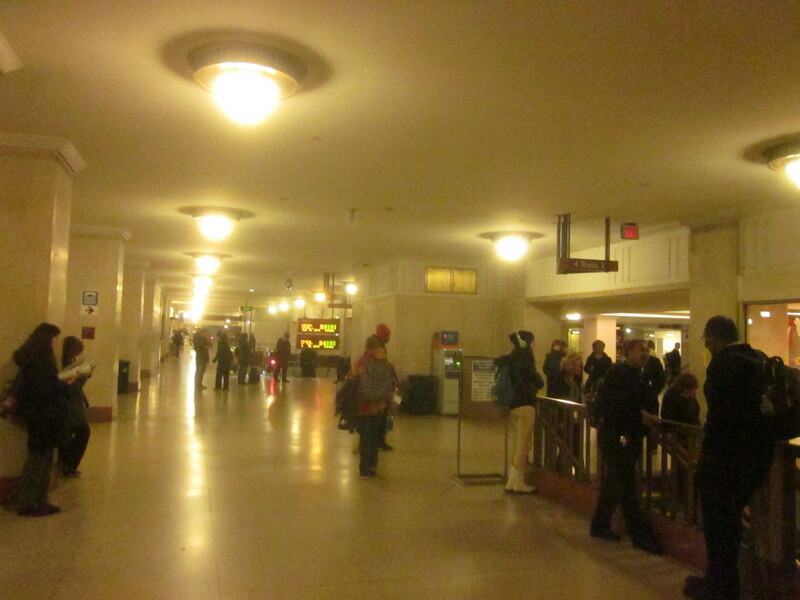 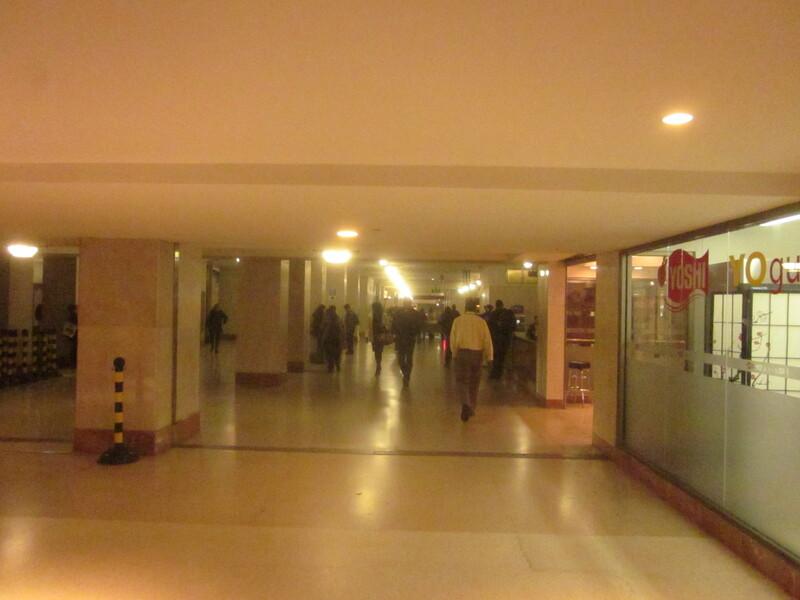 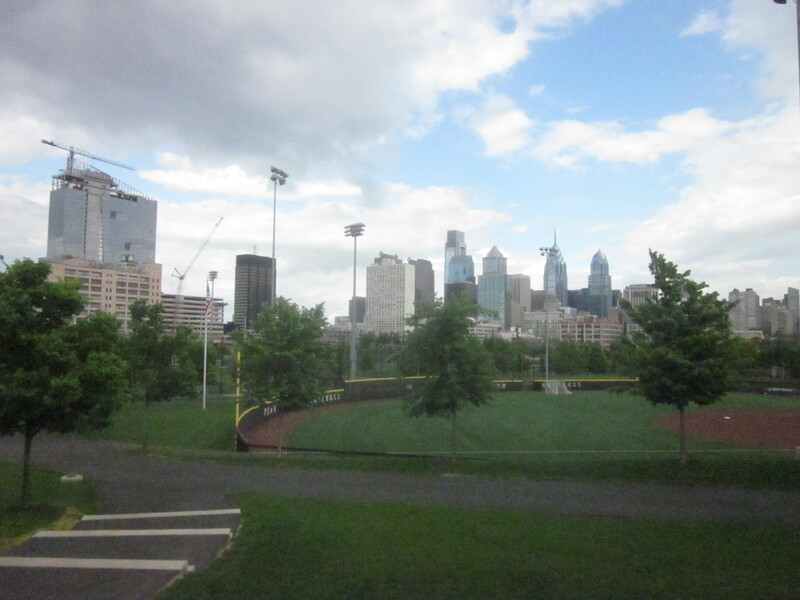 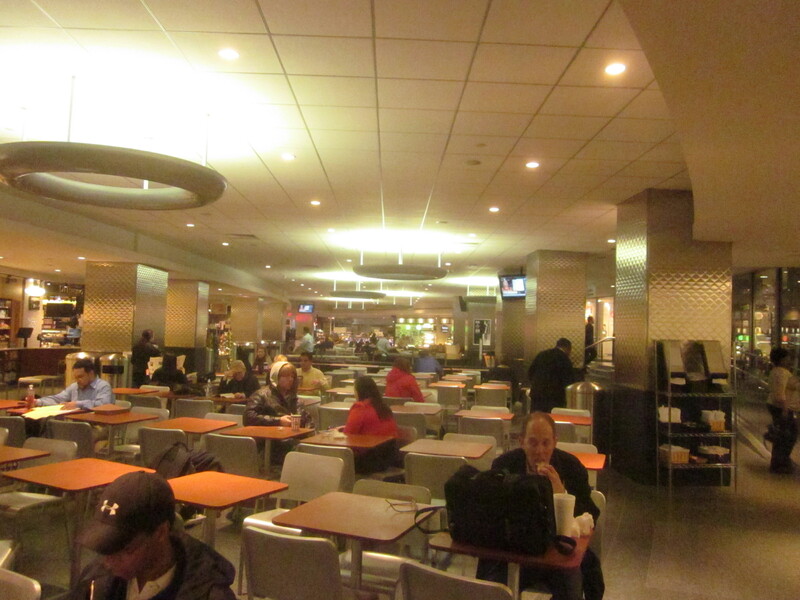 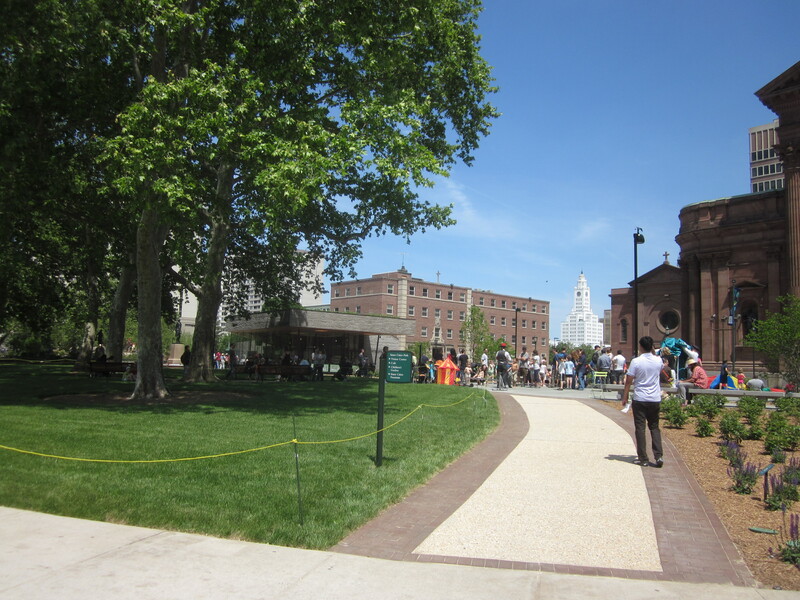 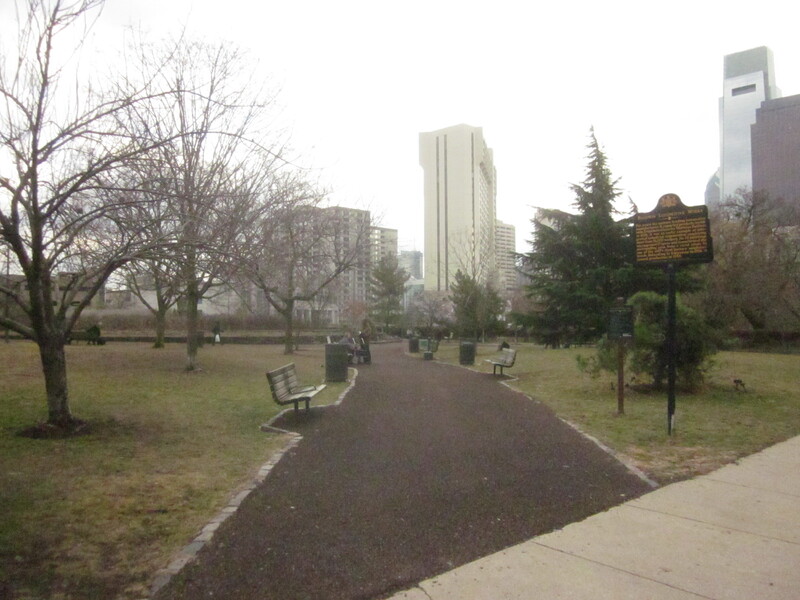 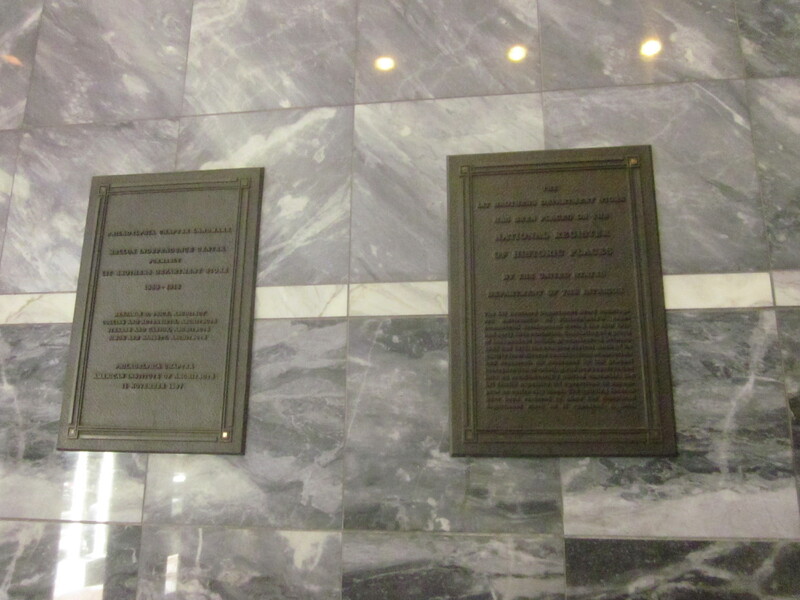 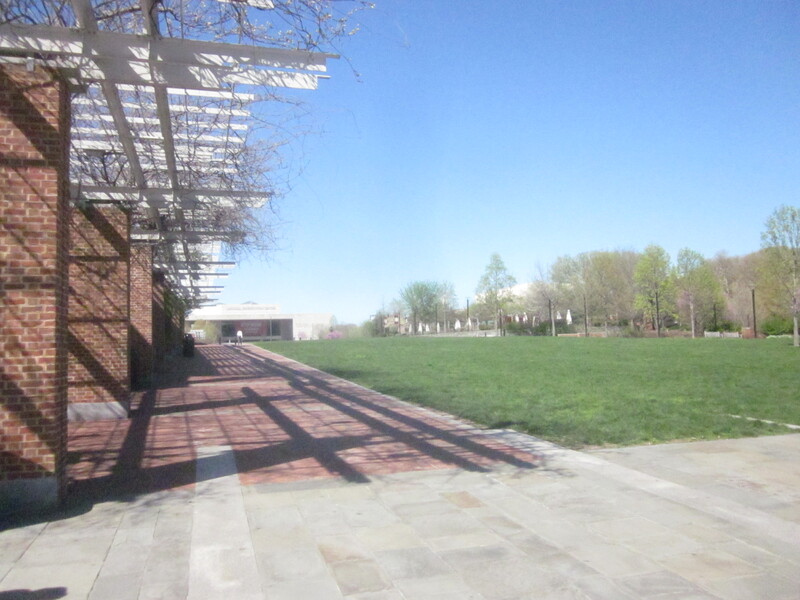 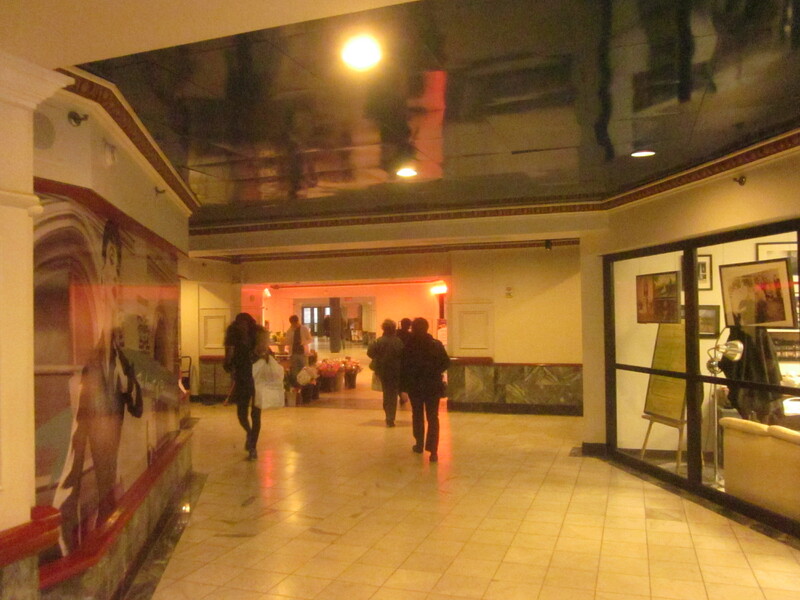 The developers, also, plan to pay for renovations to Baldwin Park, including new lighting, paths, and benches. 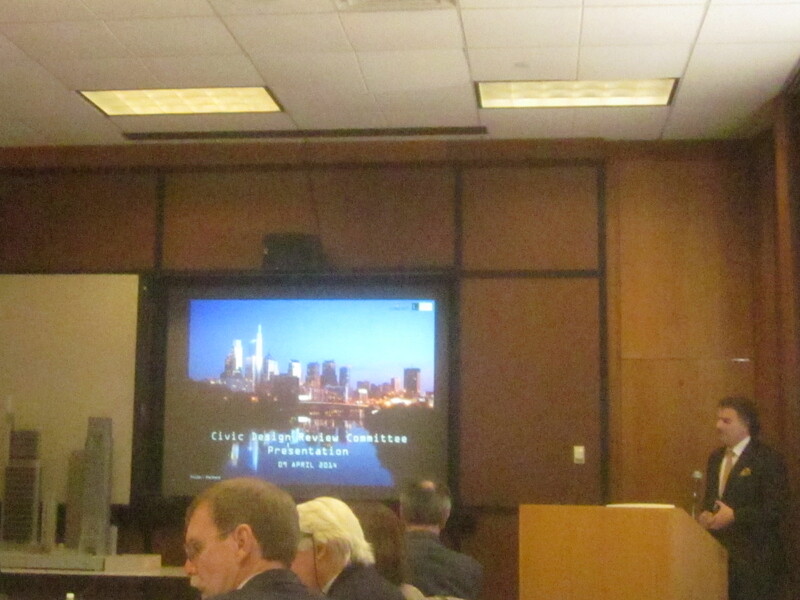 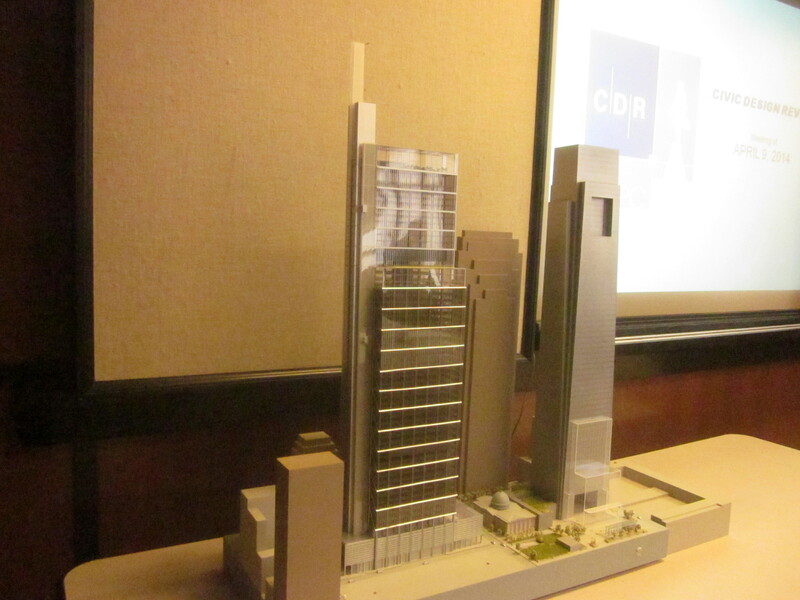 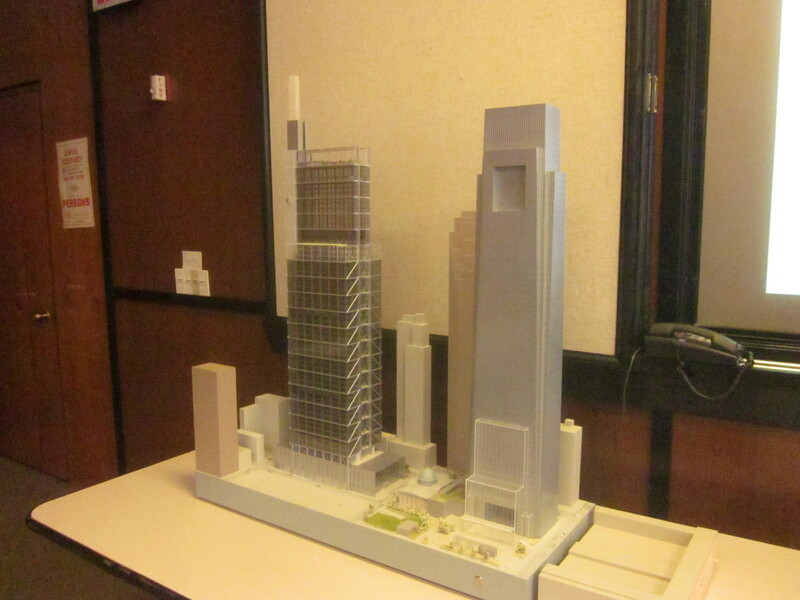 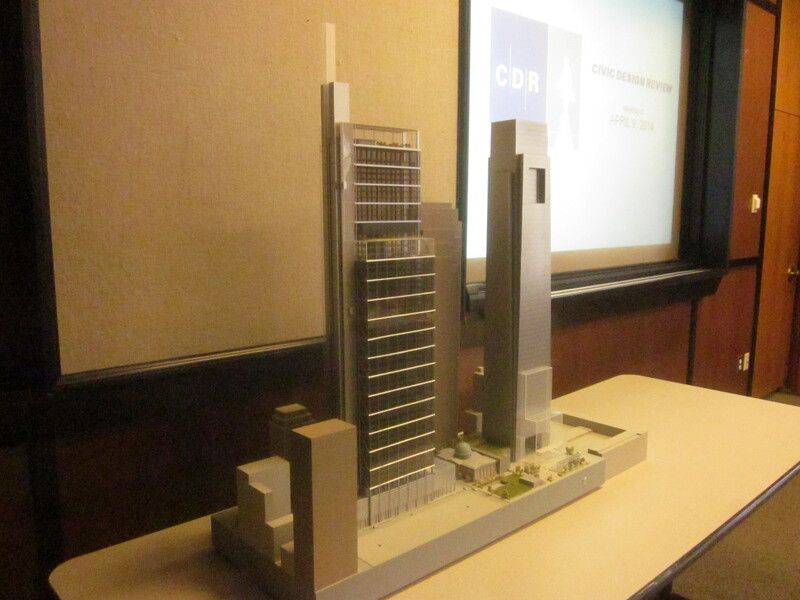 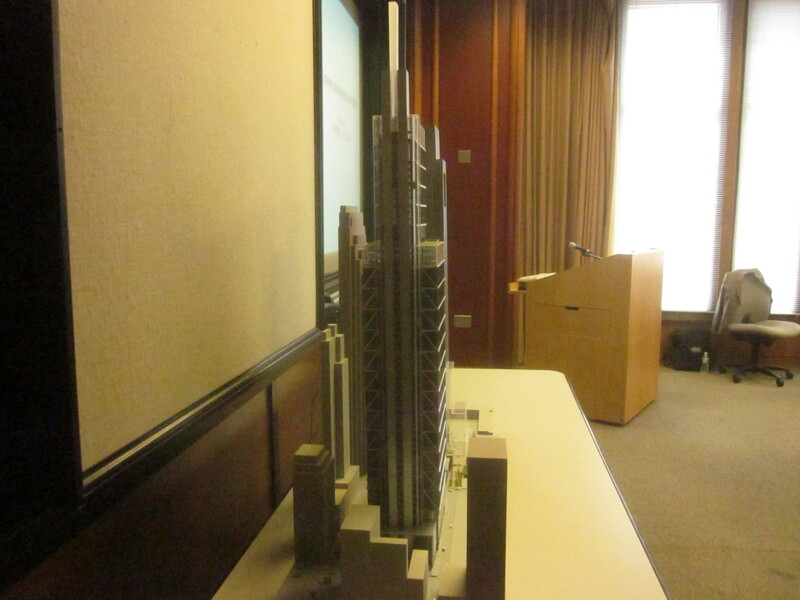 Museum Towers II has recently been presented at the Planning Commission’s Civic Design Review meeting in January and will soon be considered by the full Planning Commission and likely the Zoning Board of Adjustment. 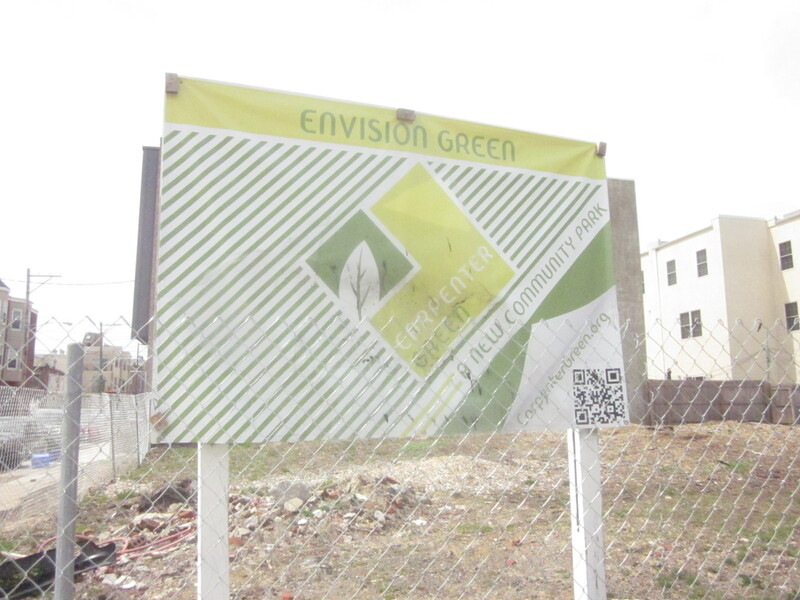 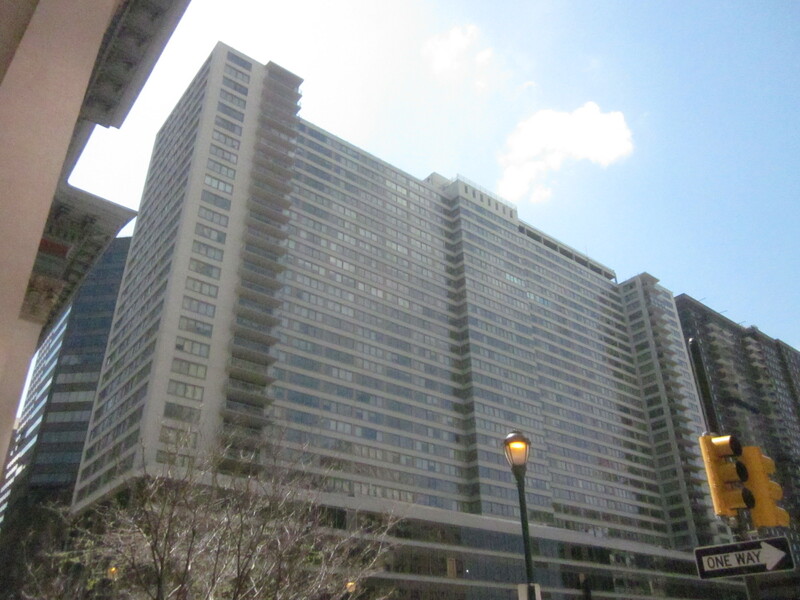 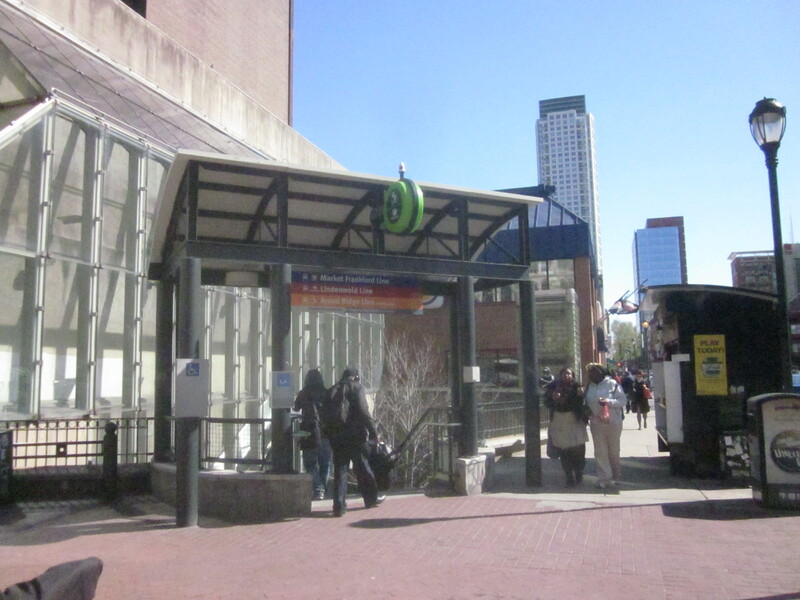 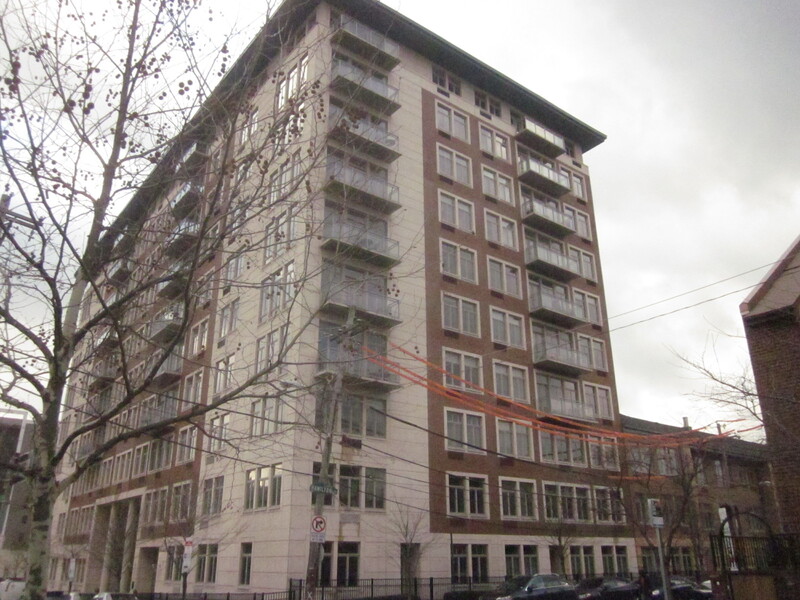 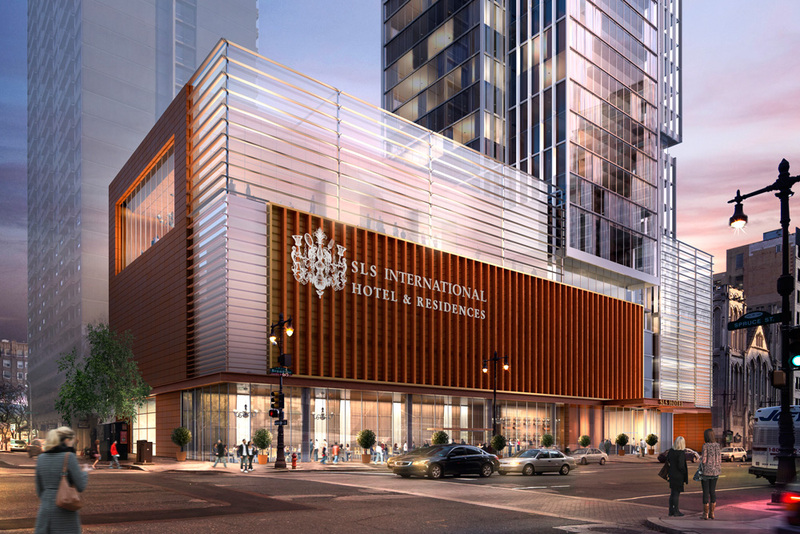 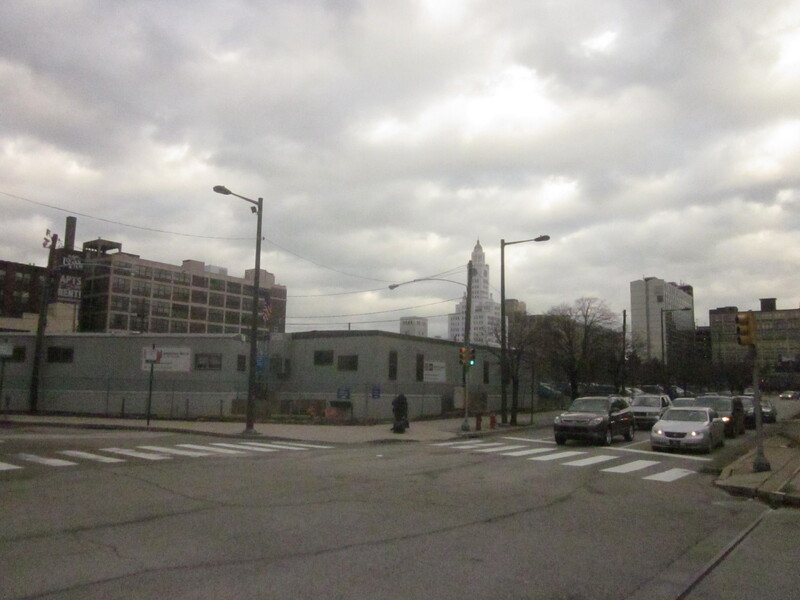 The development has been supported by the Logan Square Neighbor’s Association. 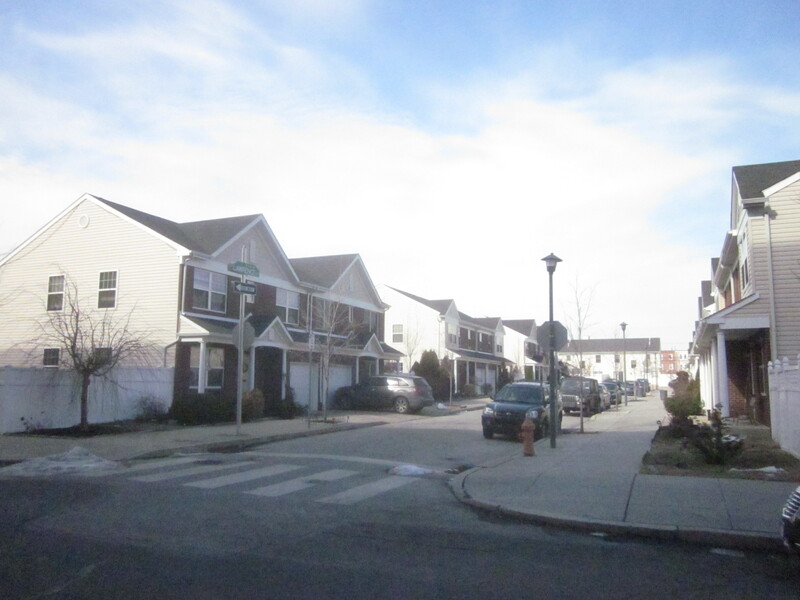 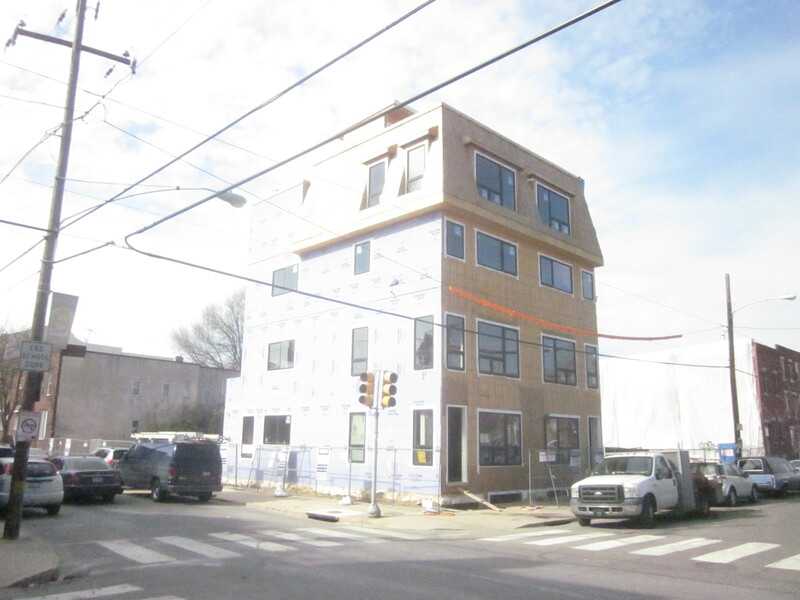 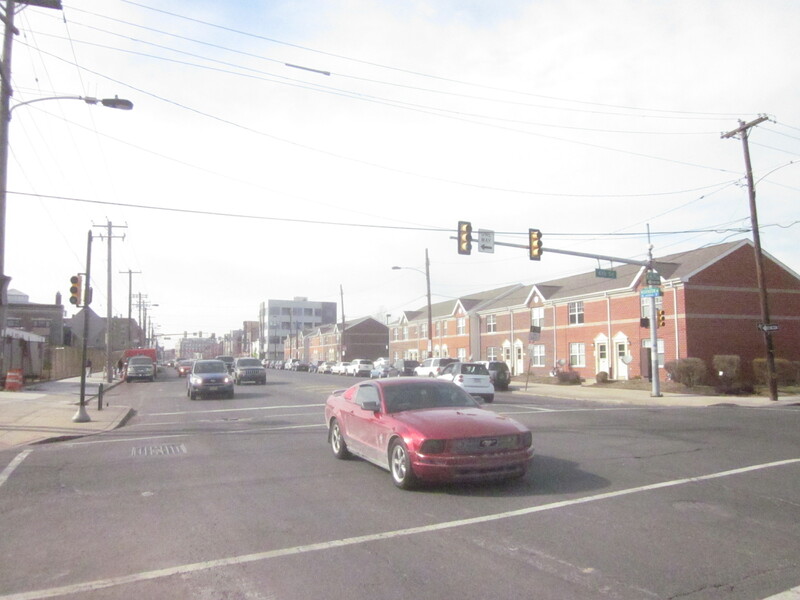 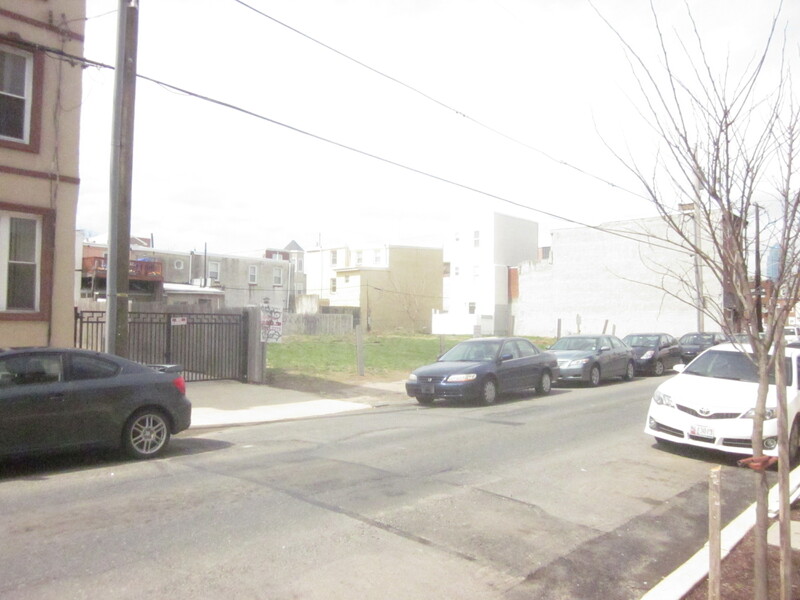 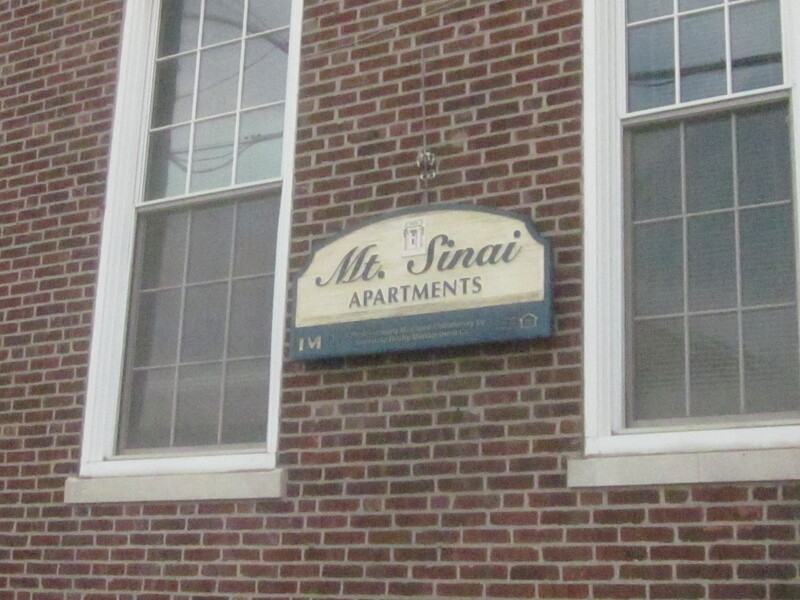 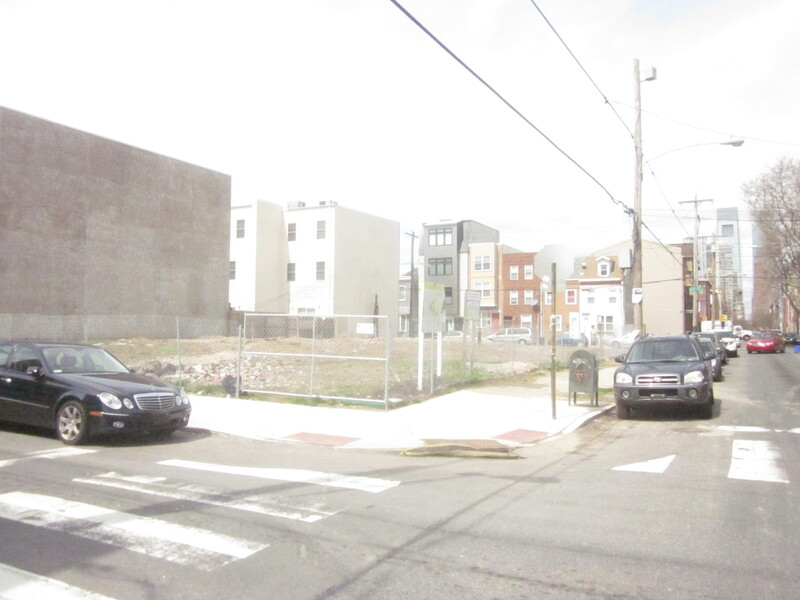 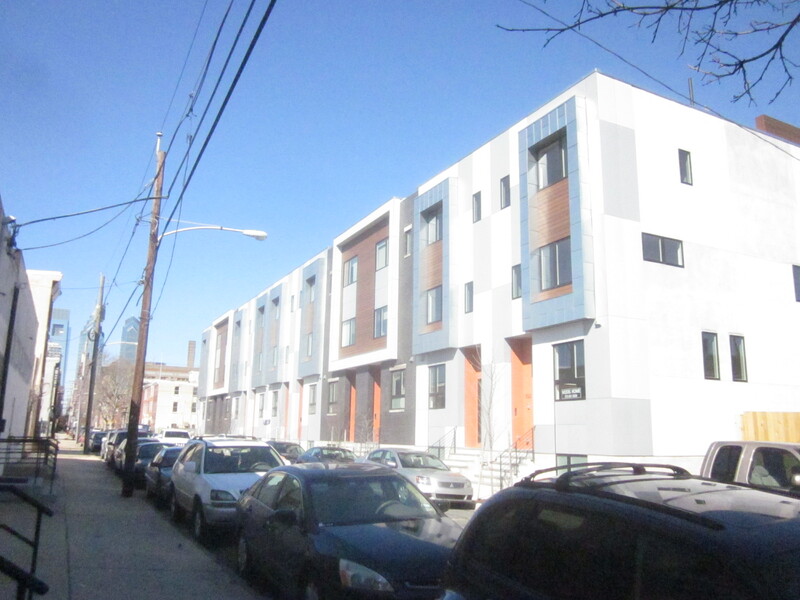 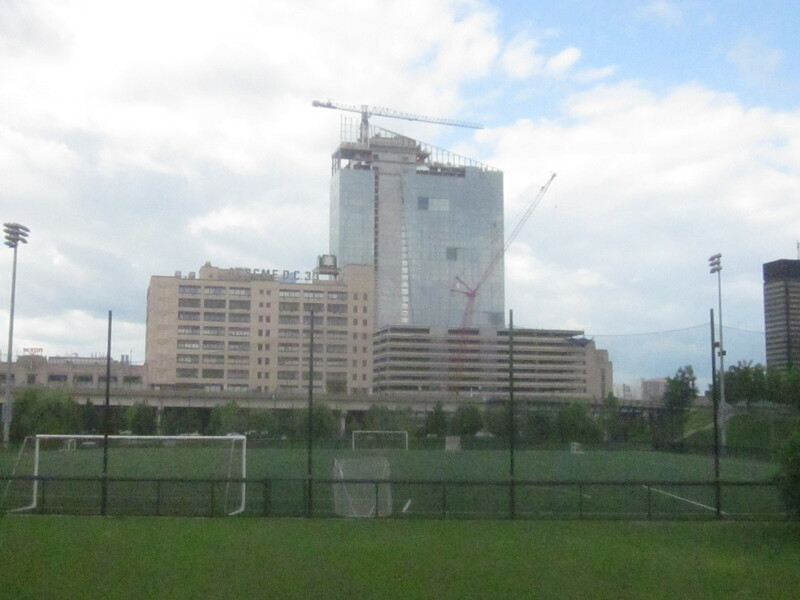 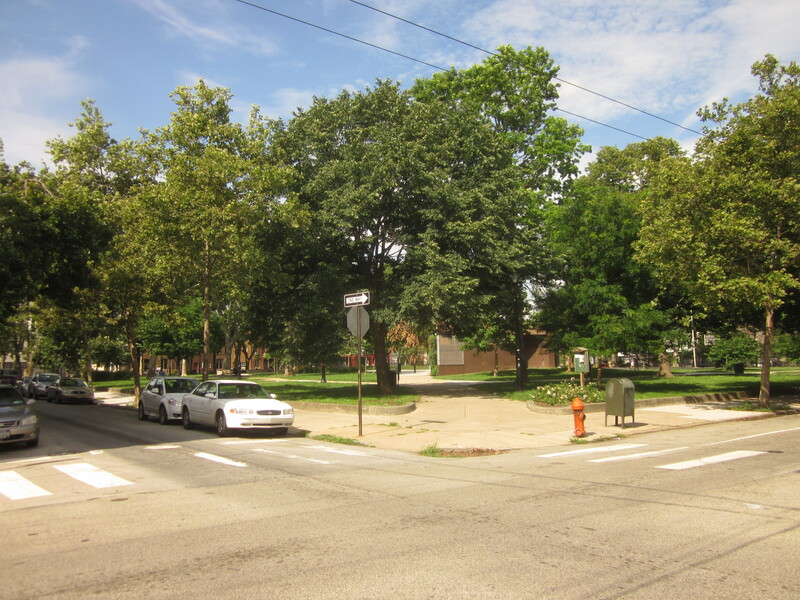 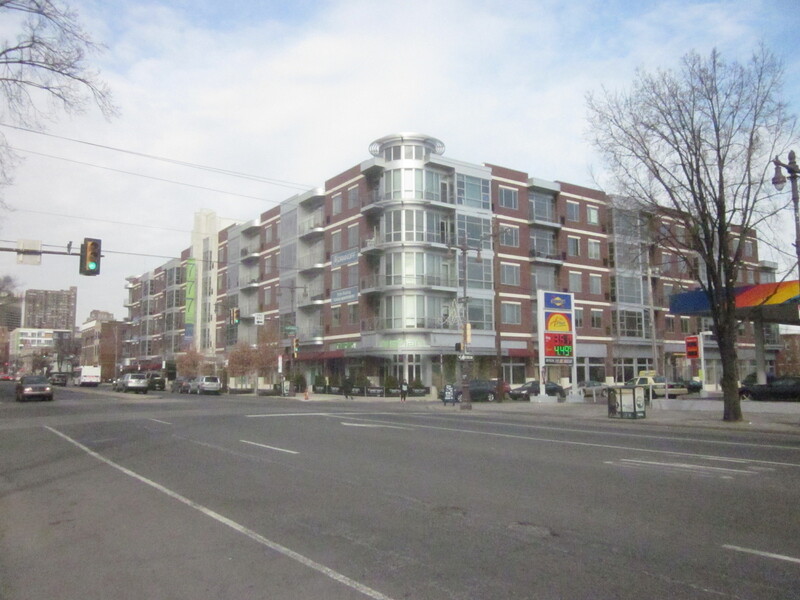 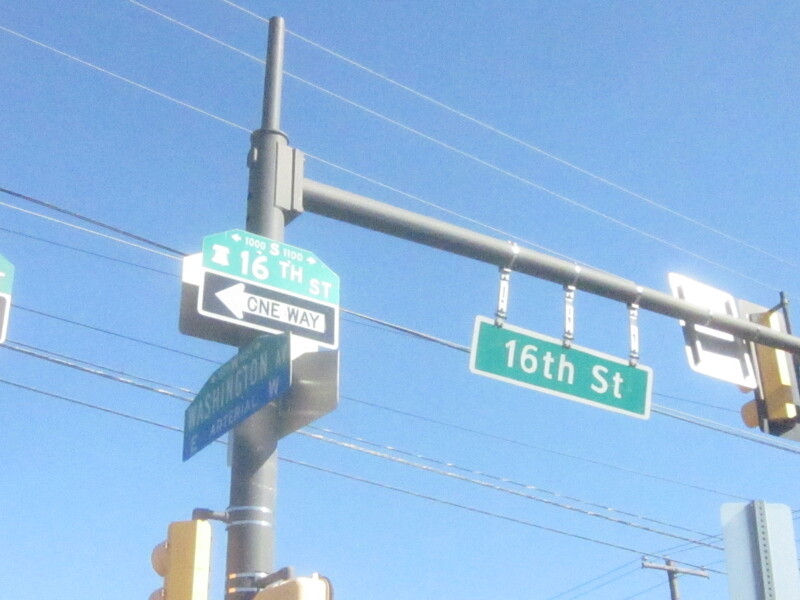 This is just the latest development in the Franklintown/Fairmount neighborhood. 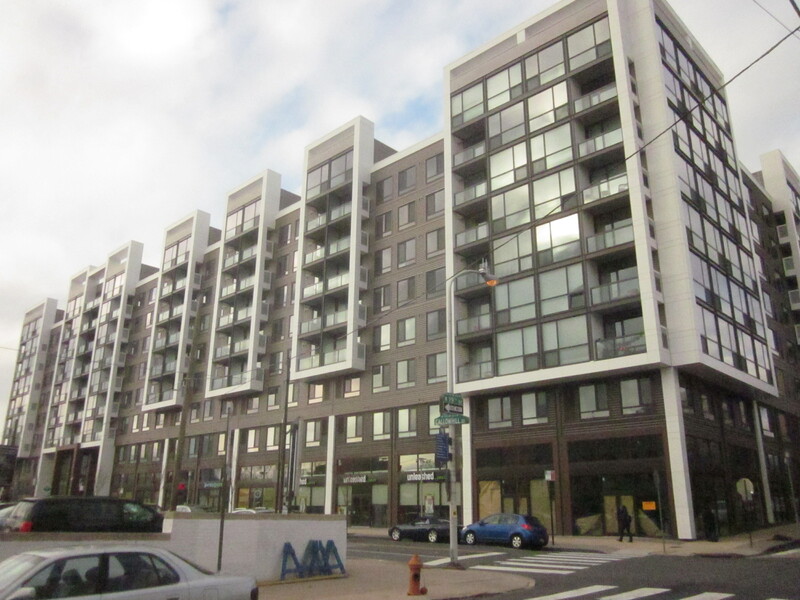 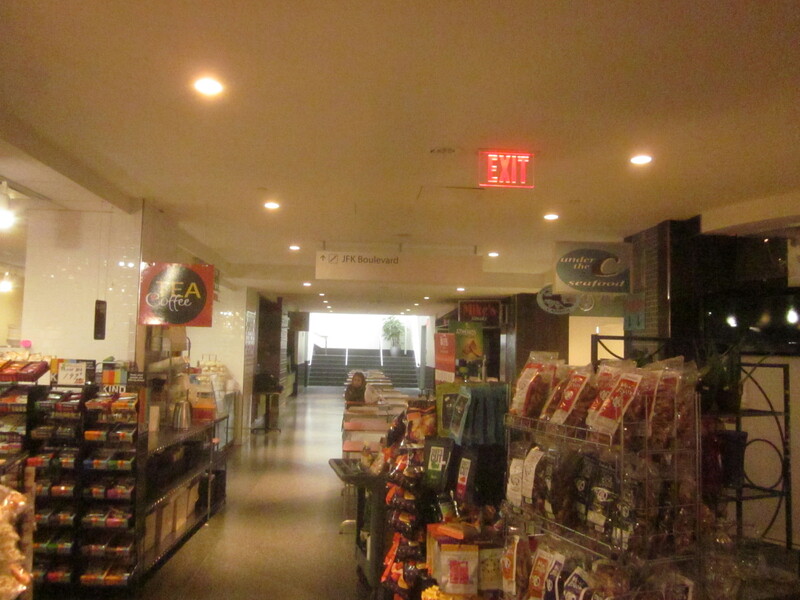 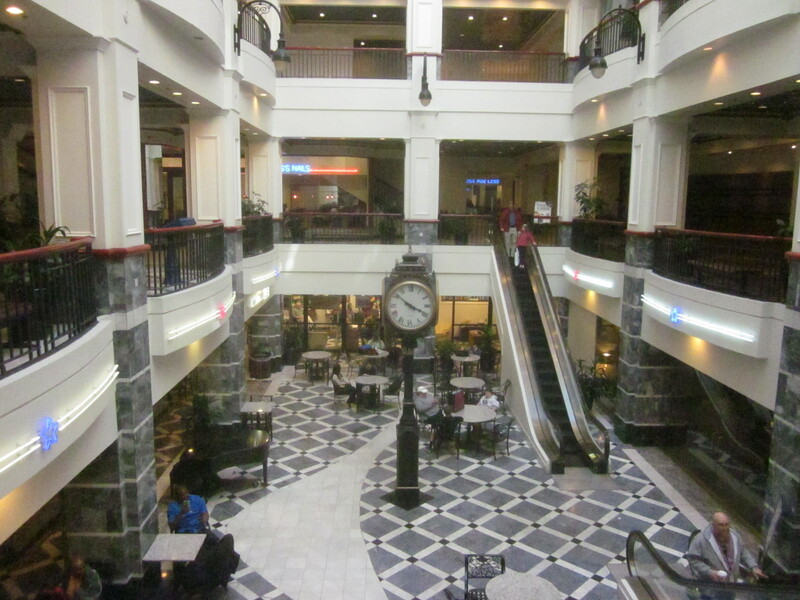 The Granary Apartments, around the corner from Museum Towers, has recently opened up adding several retail spaces, that include a large pet store and several eateries, while the large Rodin Square development, with a one-acre plus Whole Foods supermarket and hundreds of apartments, will soon replace the recently-closed Best Western Hotel at 22nd Street and Pennsylvania Avenue. 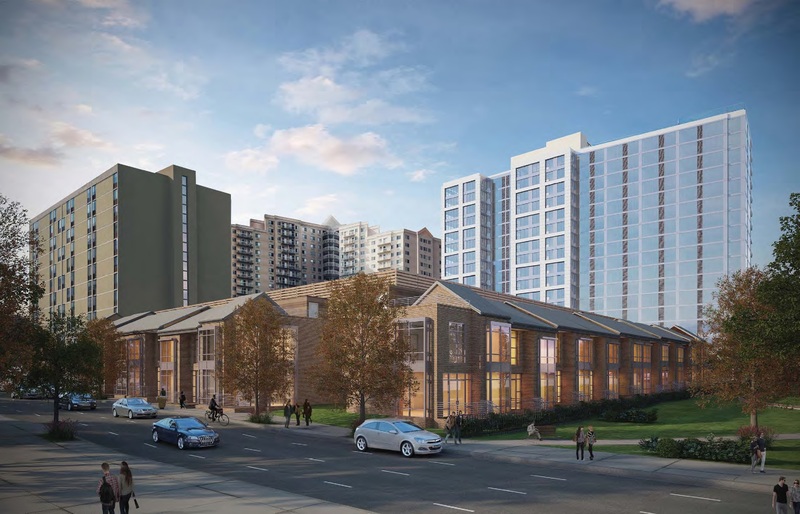 Another apartment development is proposed to be built on top of the former City Branch rail line and the Church of Latter Day Saints is planning to build a residential and commercial development, eventually, on the large parking lot at 16th and Vine Streets, across from their new Mormon Temple. 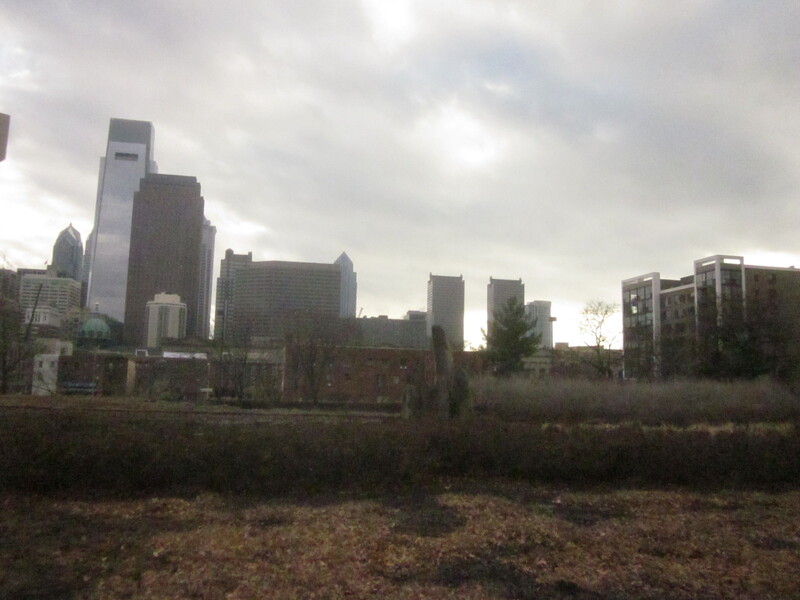 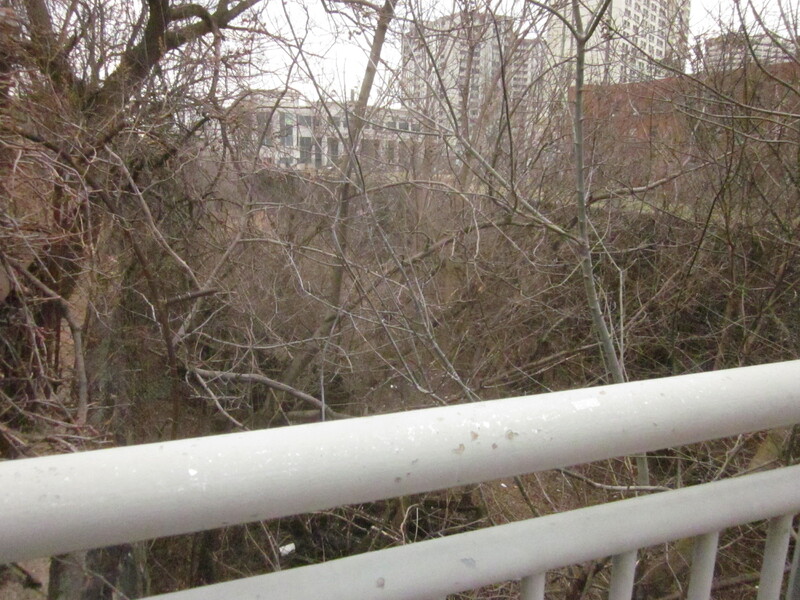 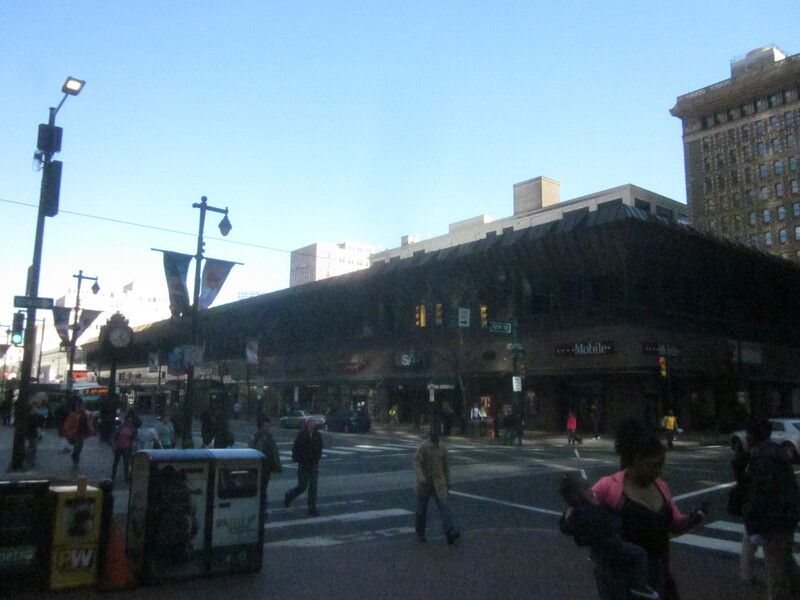 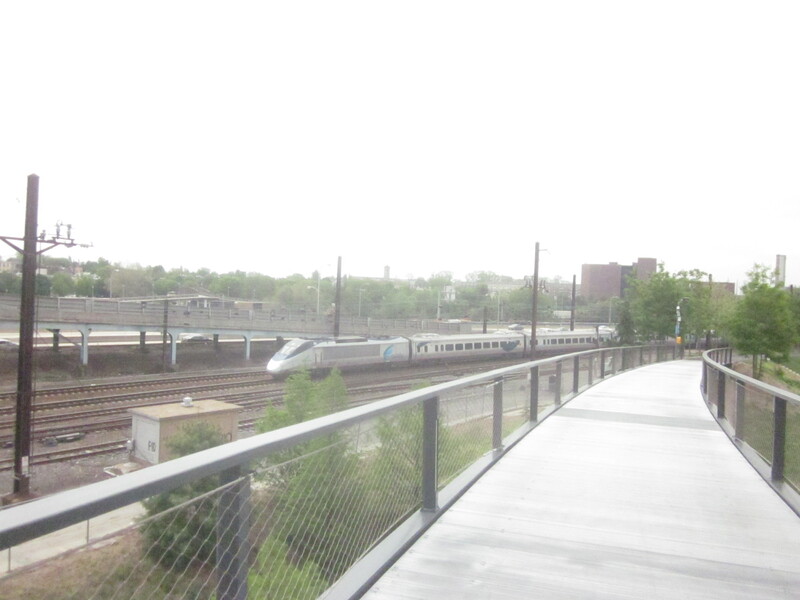 The City Branch right-of-way, which is submerged, may be renovated with a SEPTA bus rapid transit line and bike/walking paths, someday. 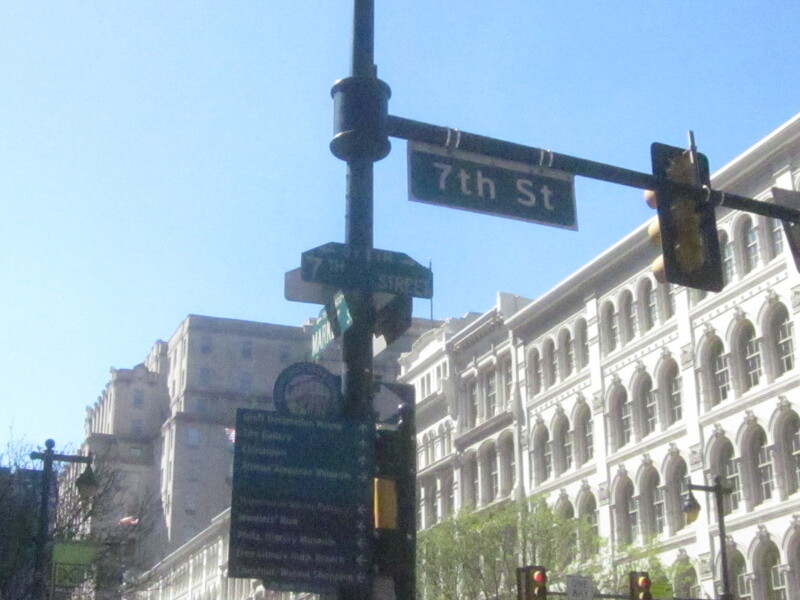 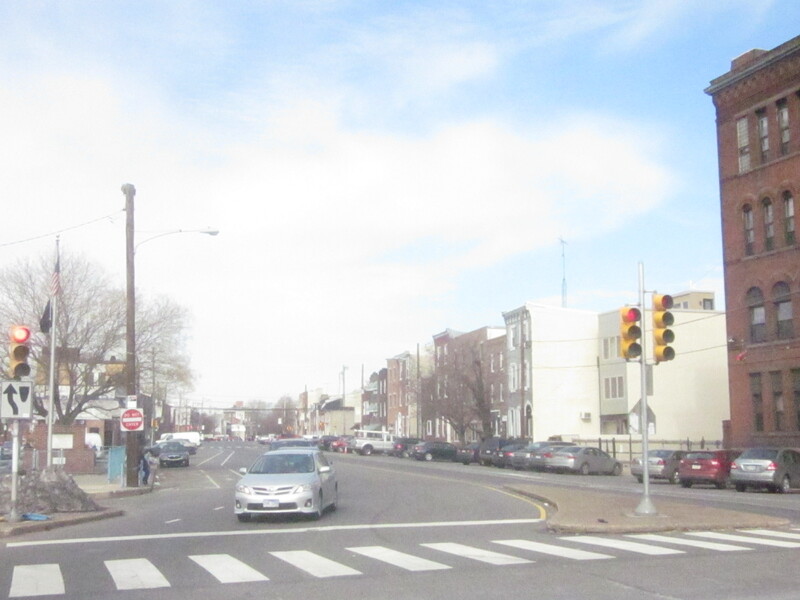 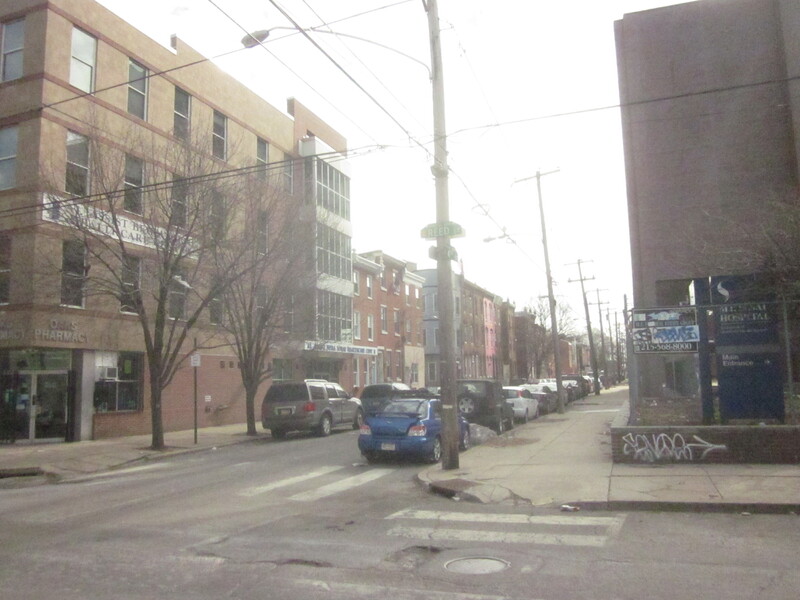 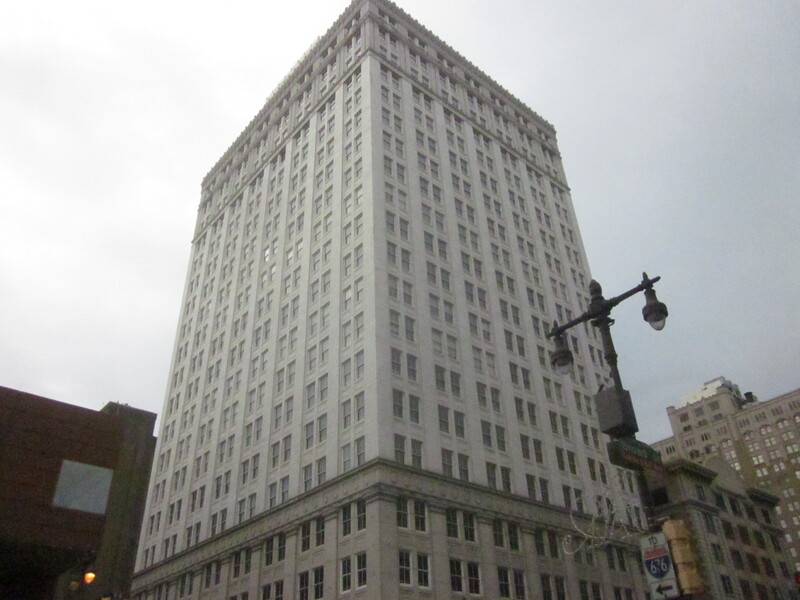 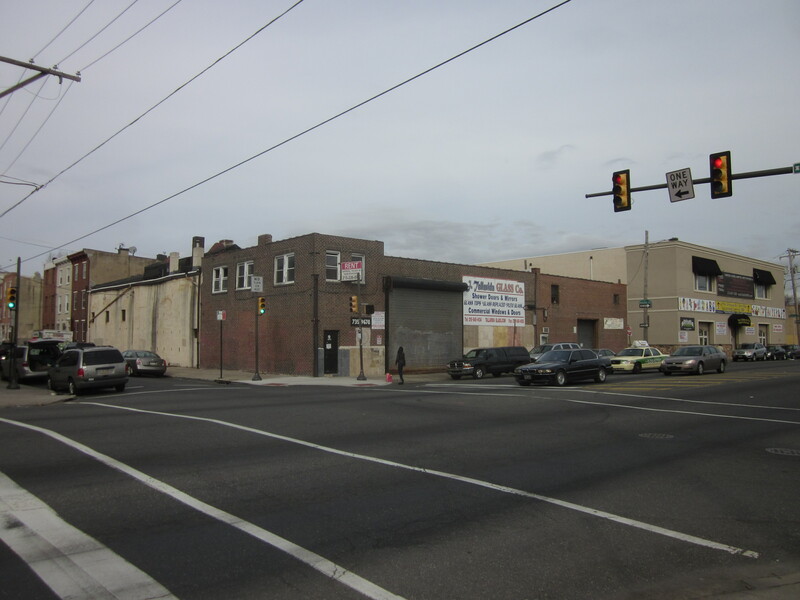 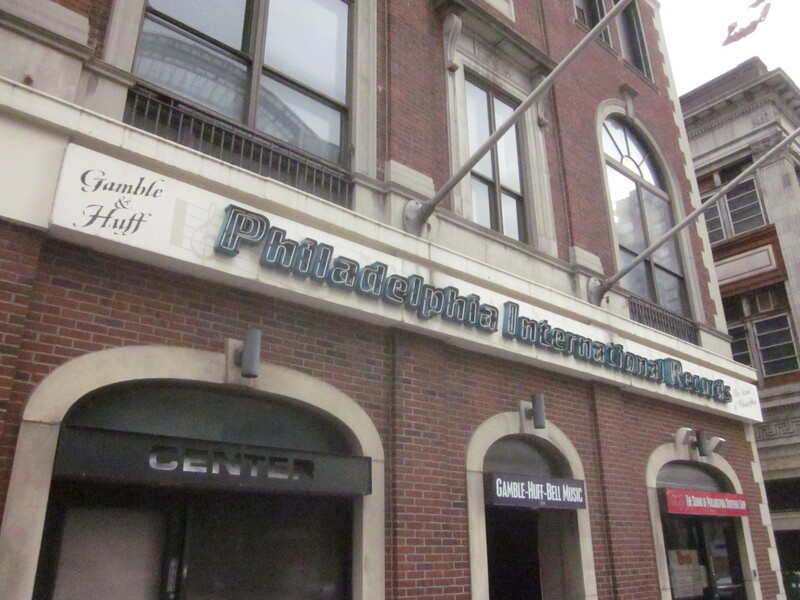 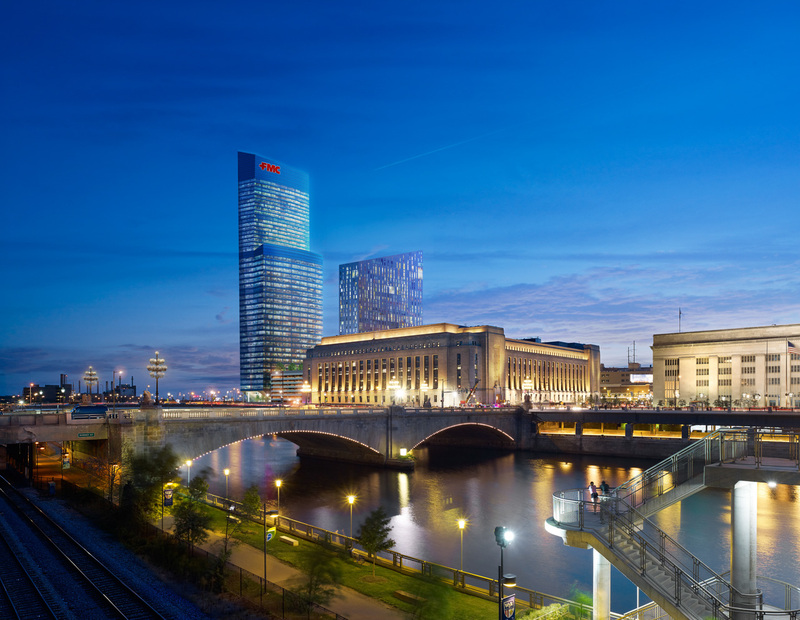 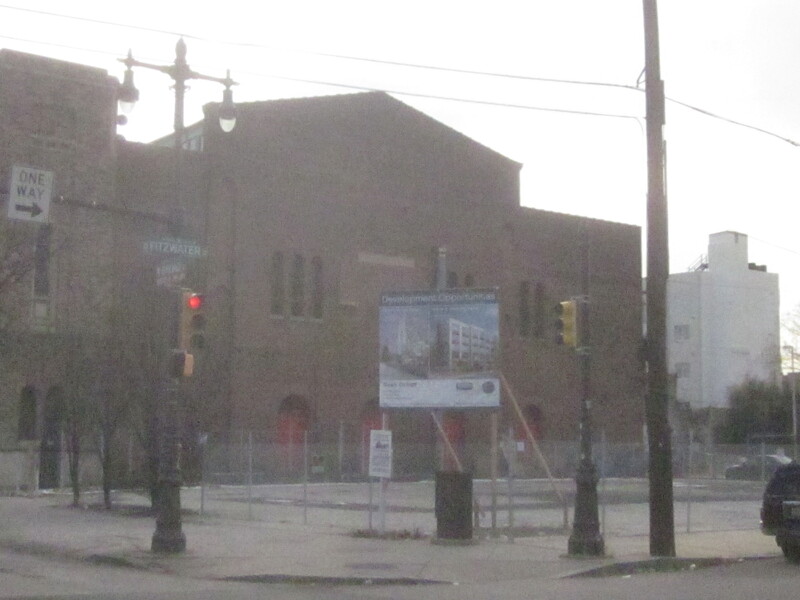 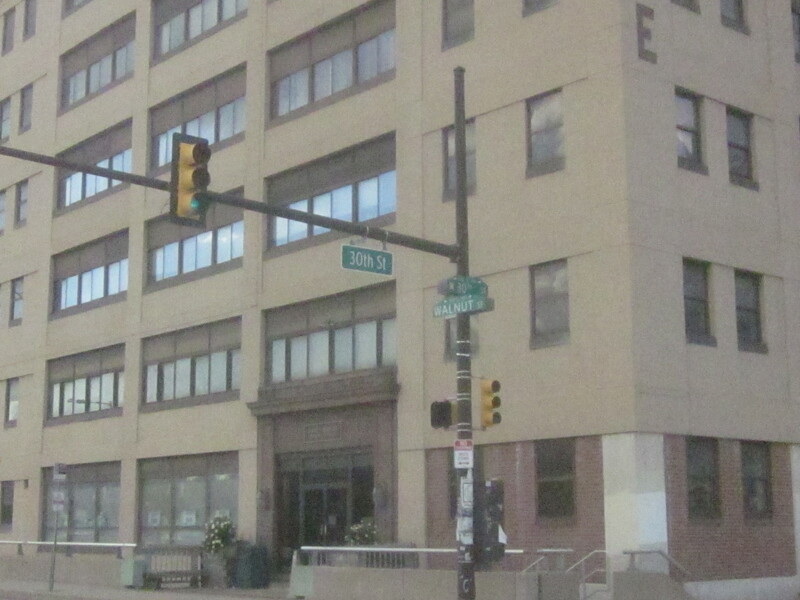 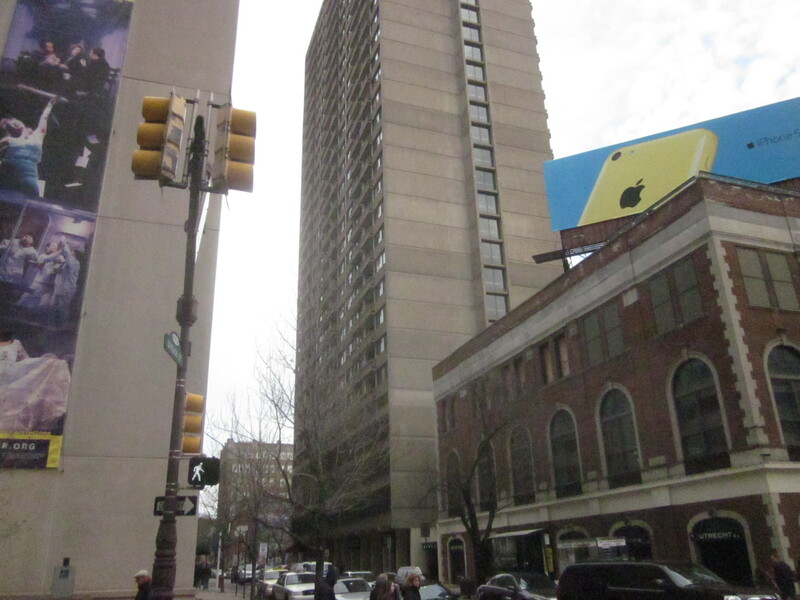 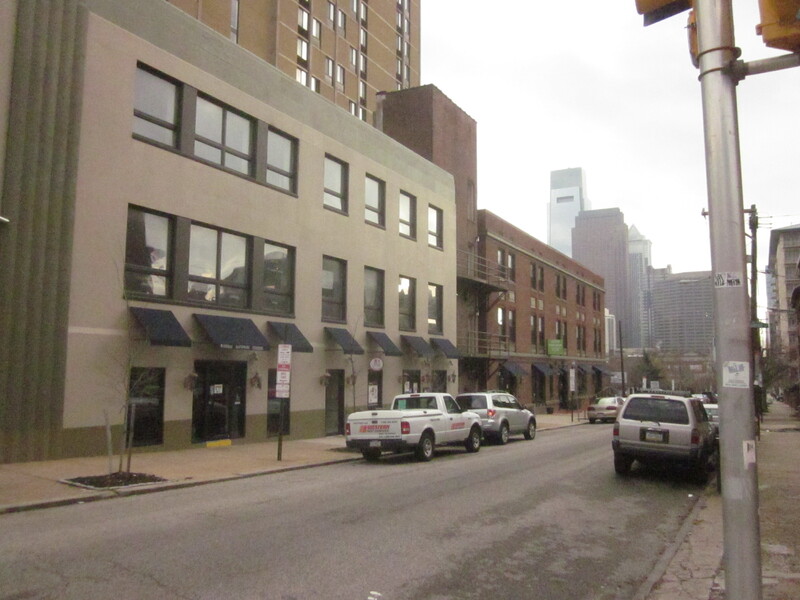 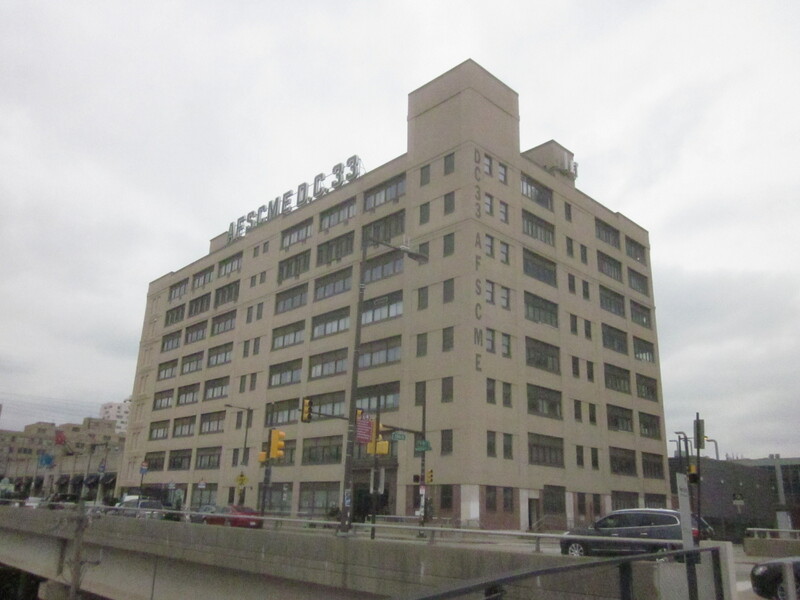 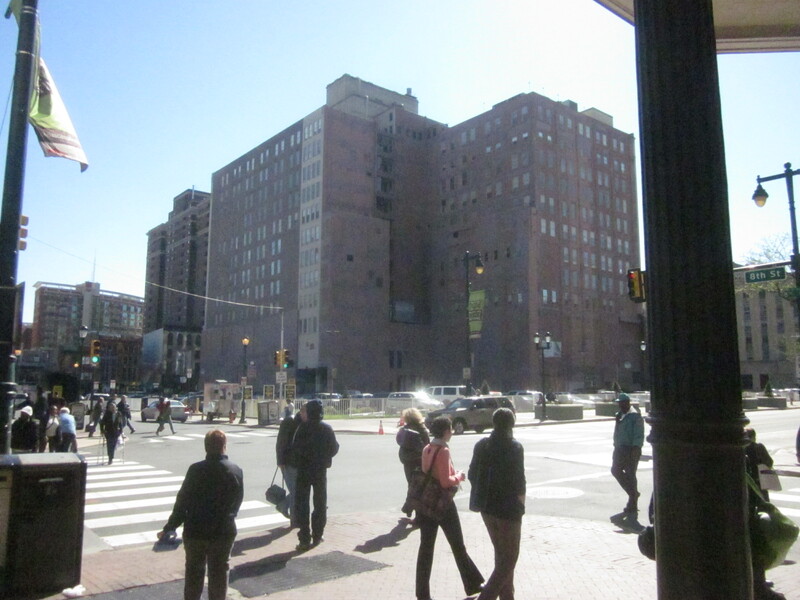 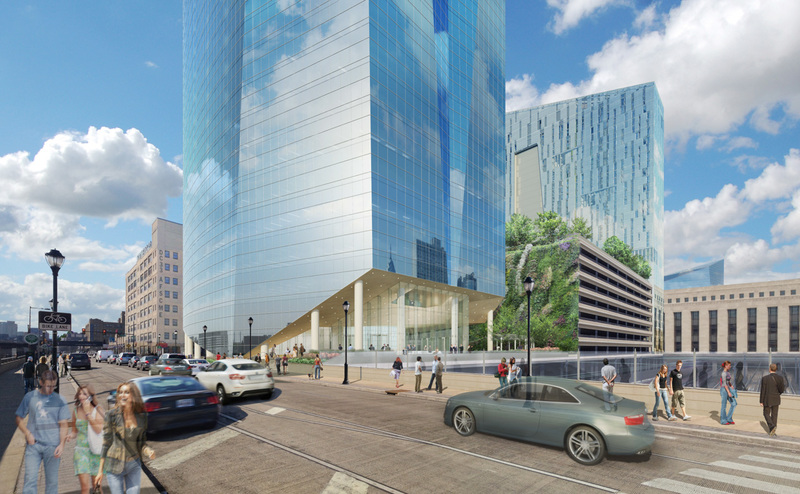 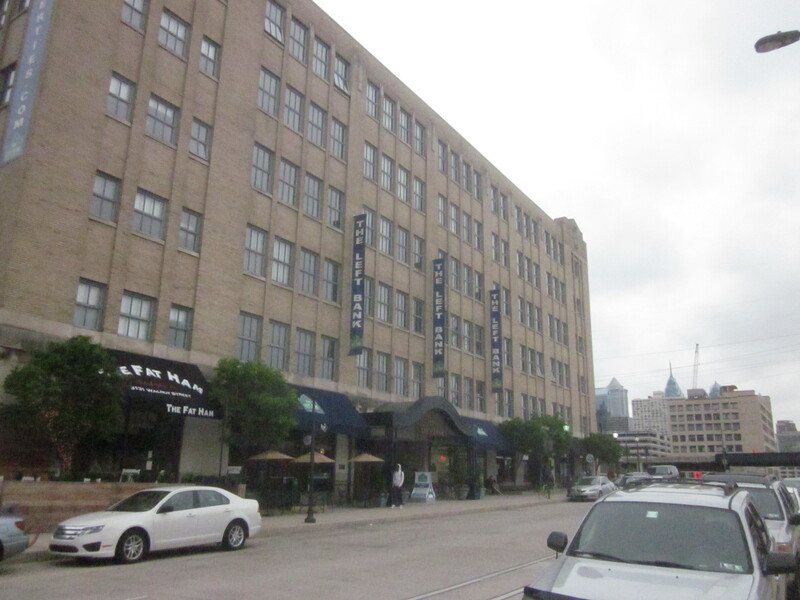 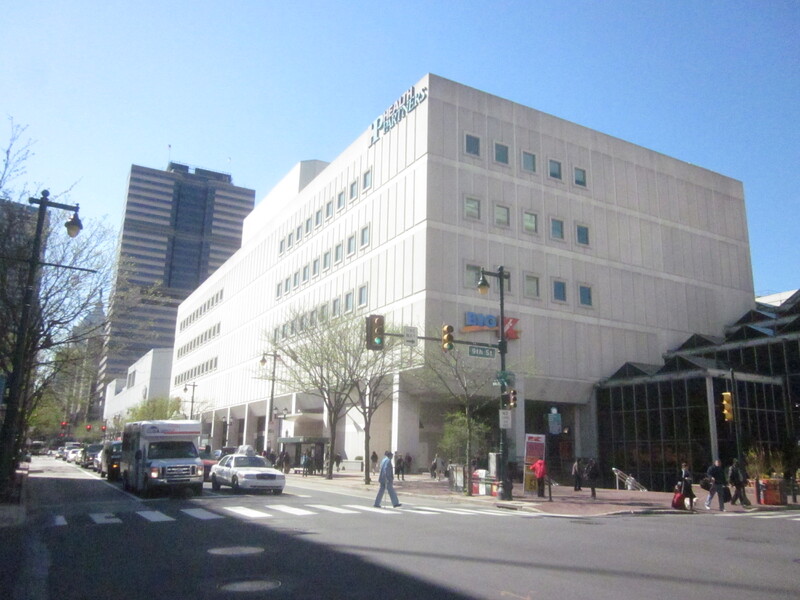 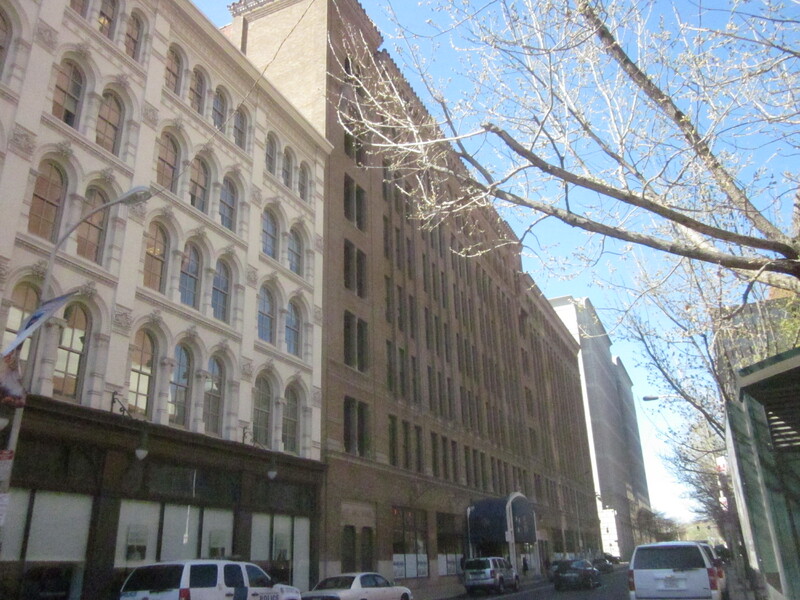 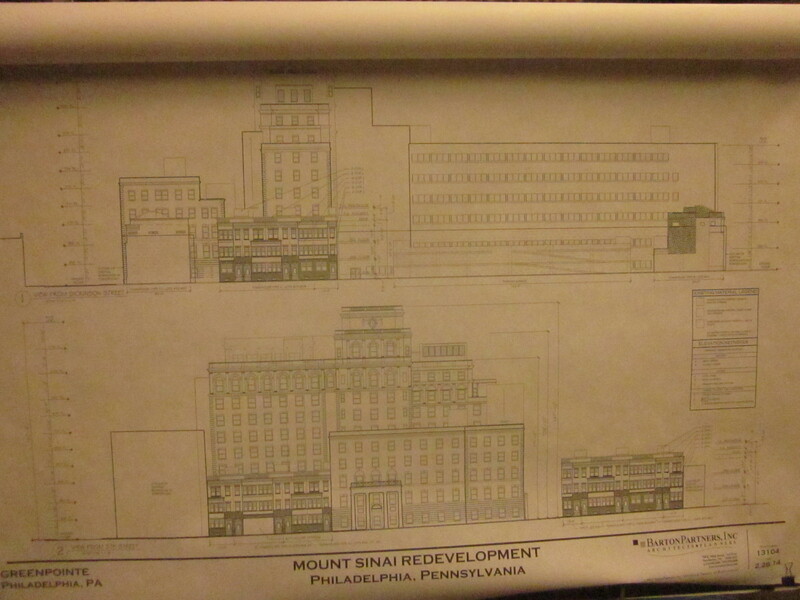 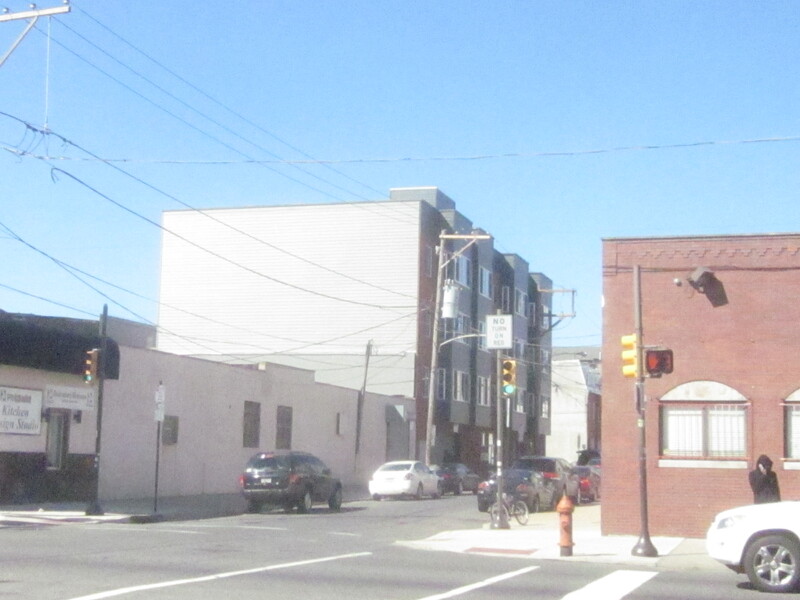 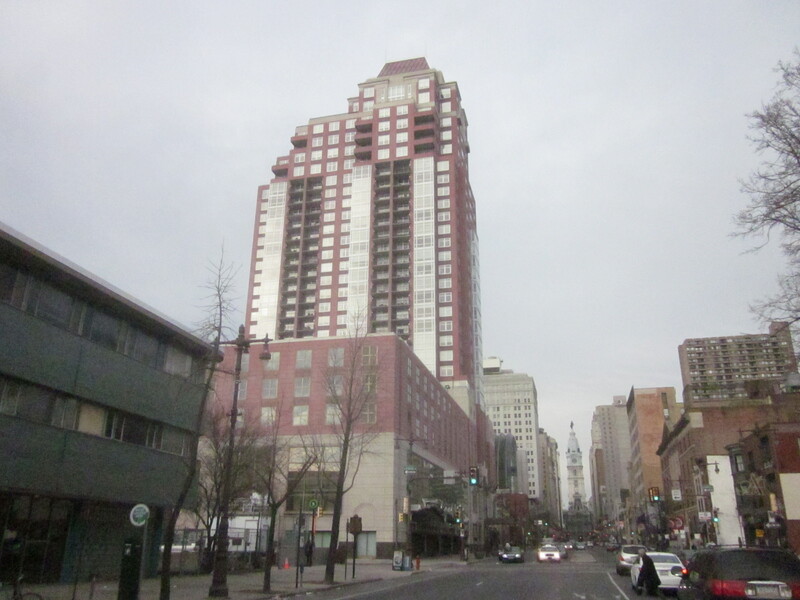 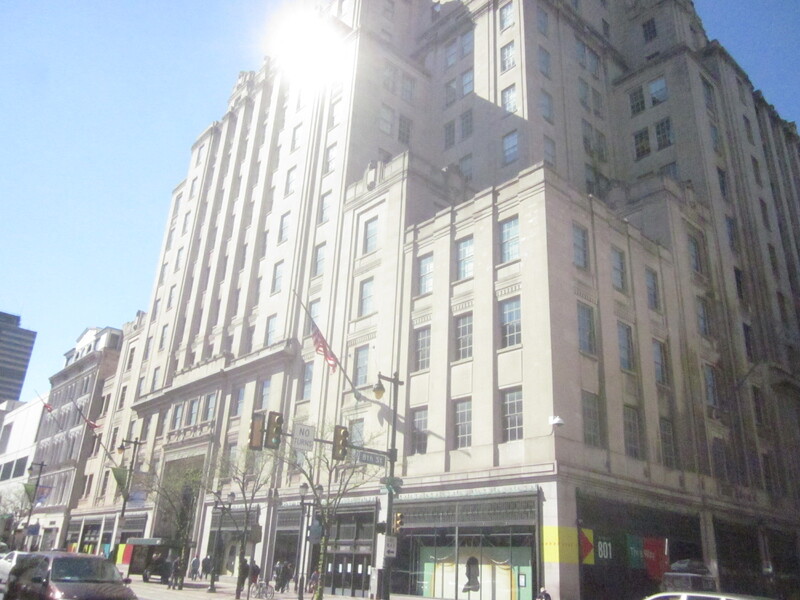 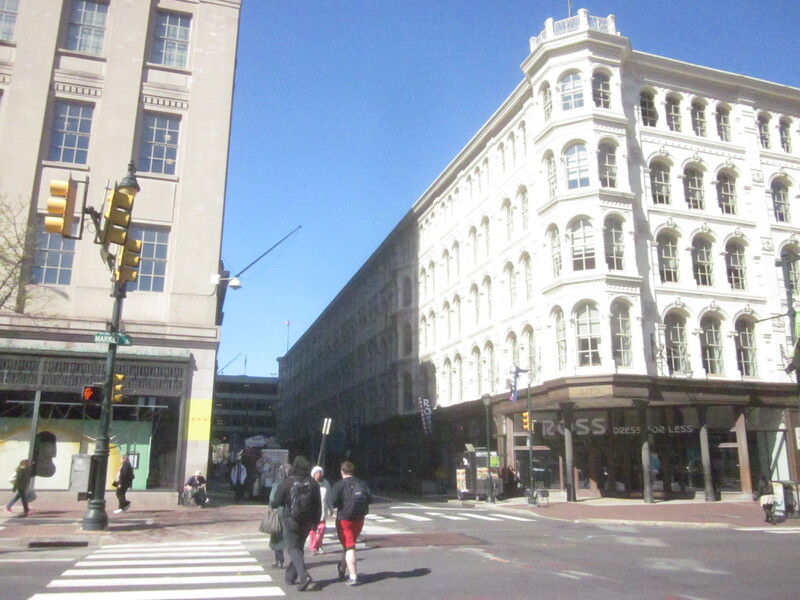 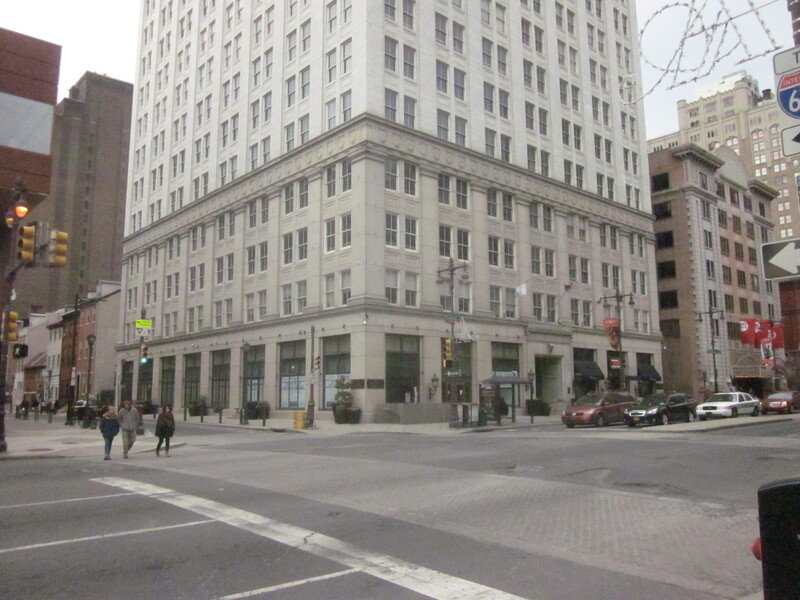 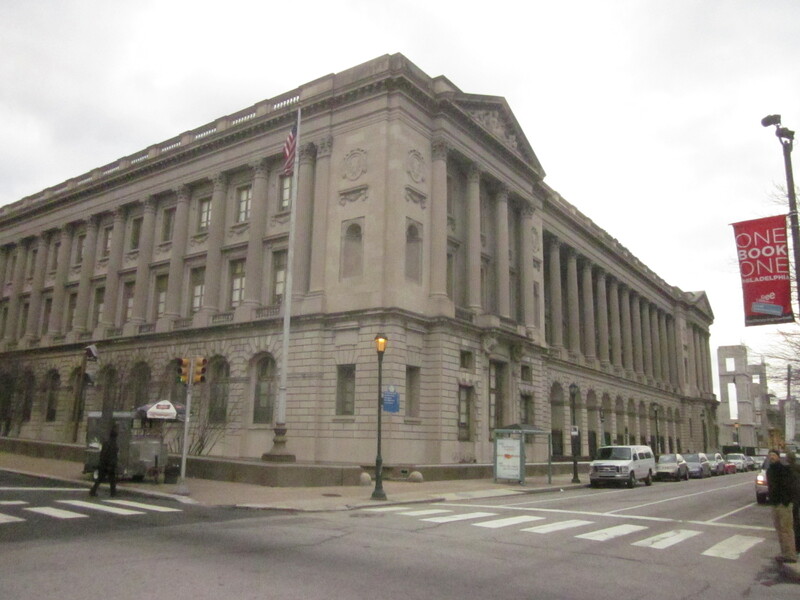 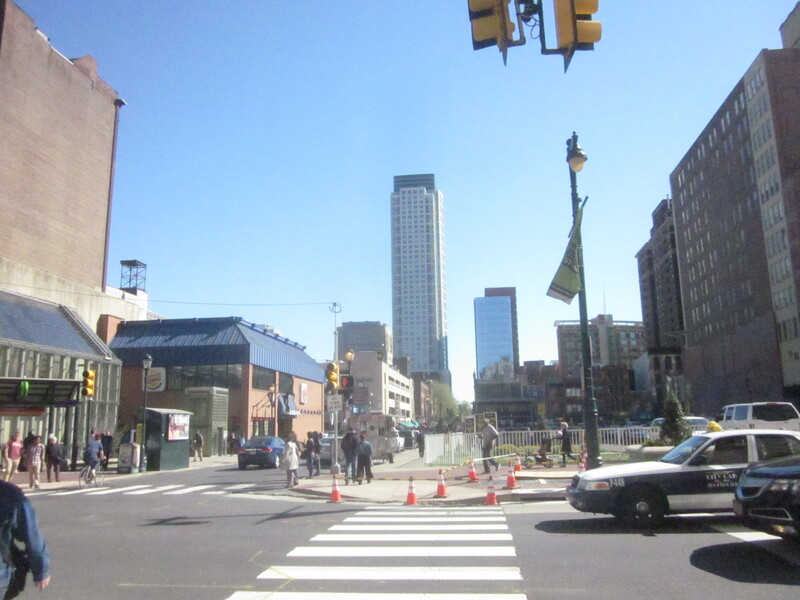 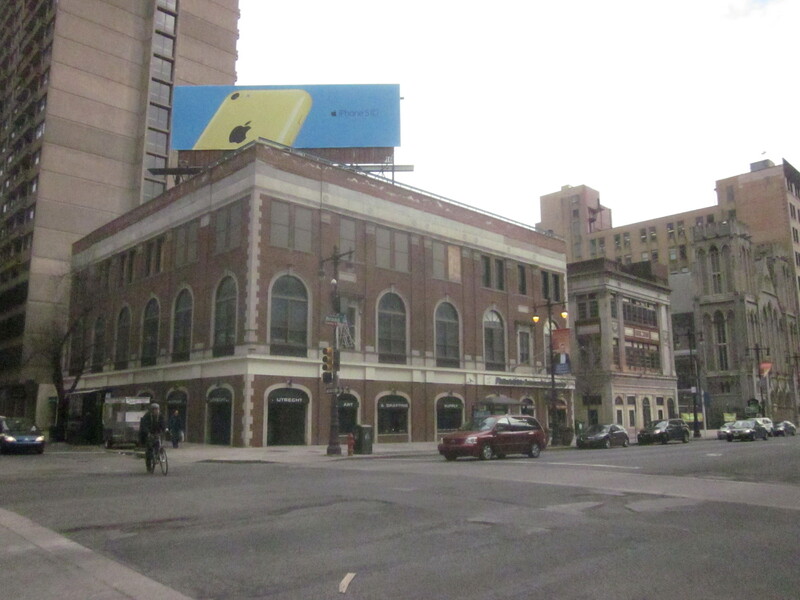 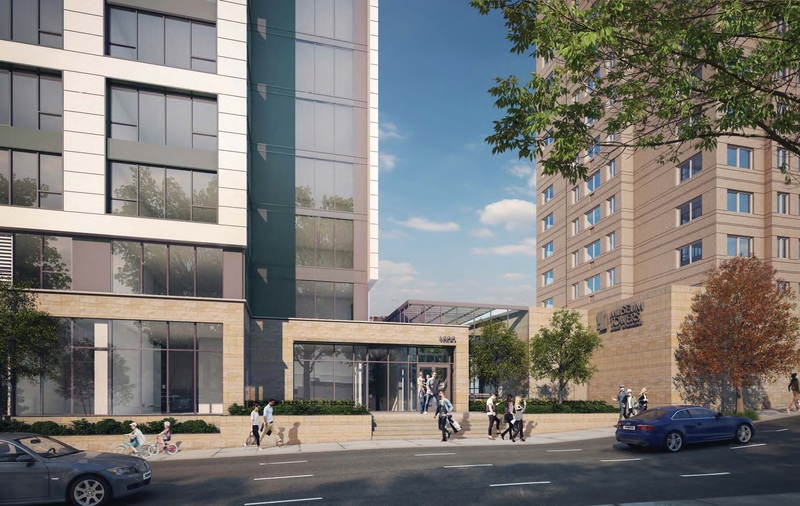 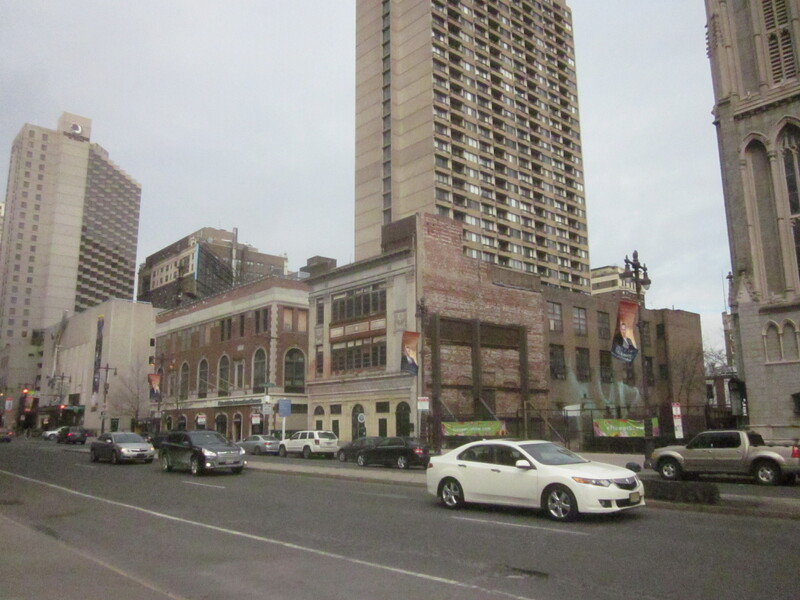 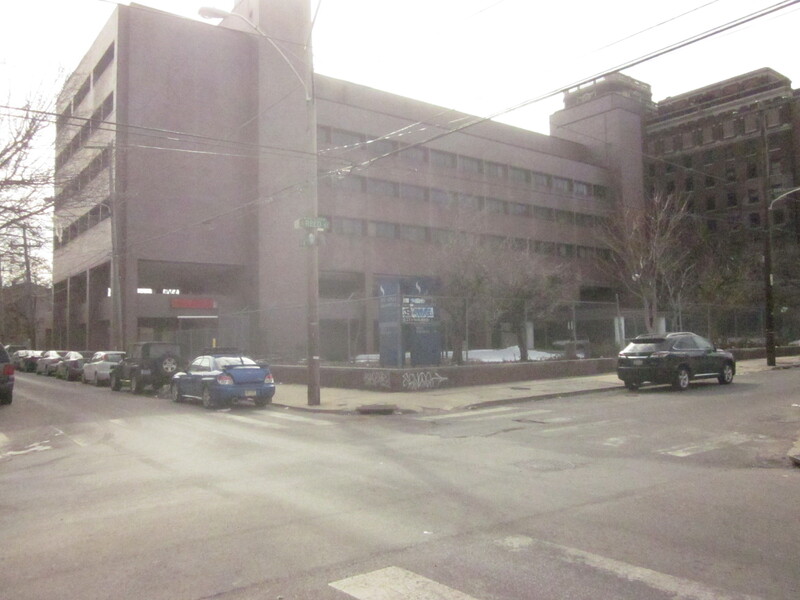 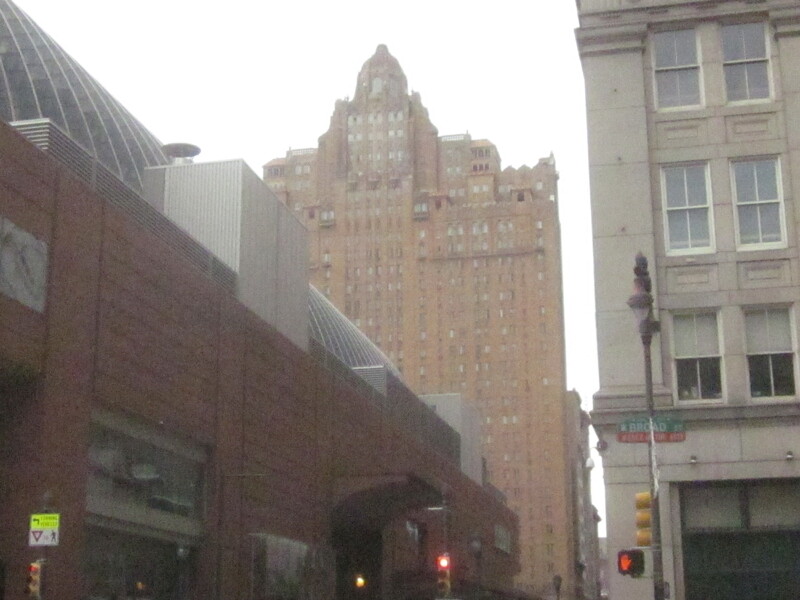 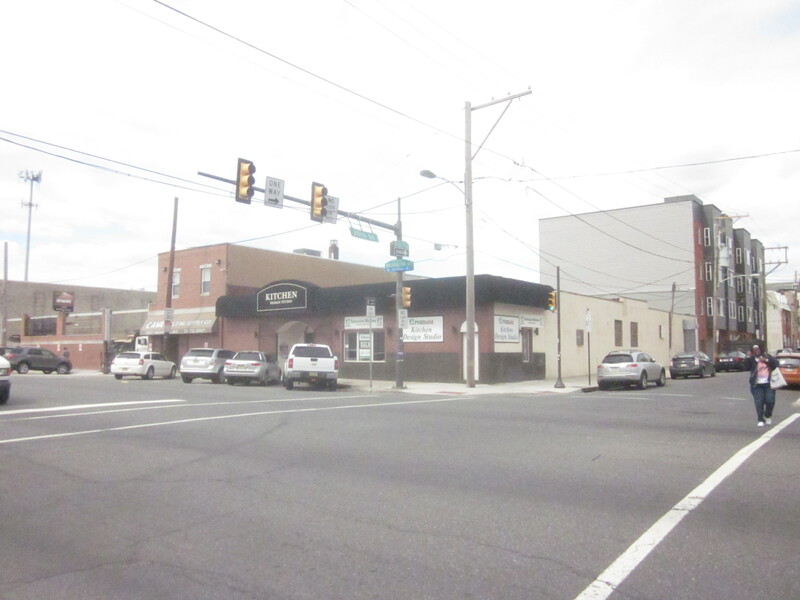 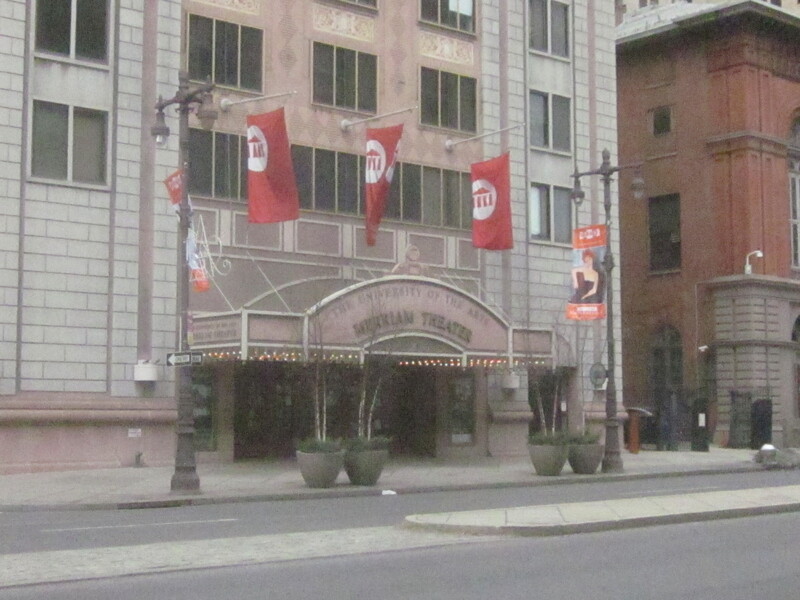 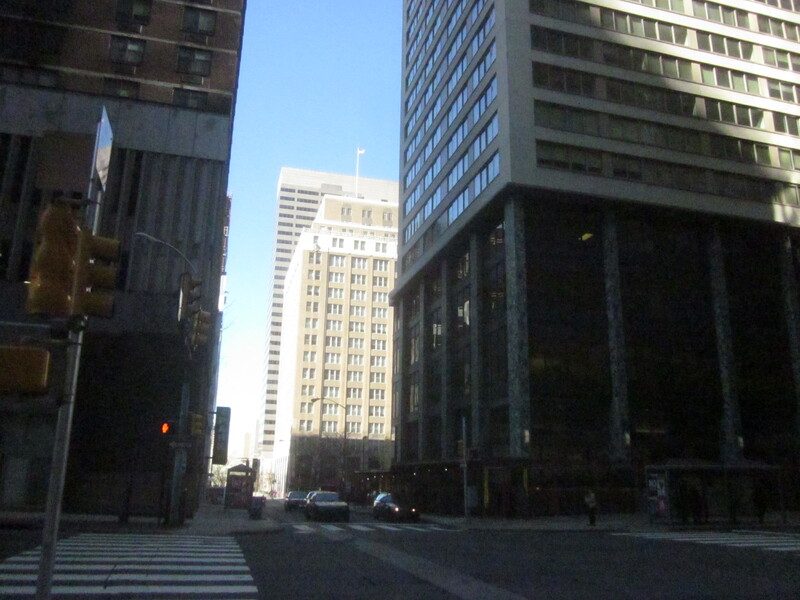 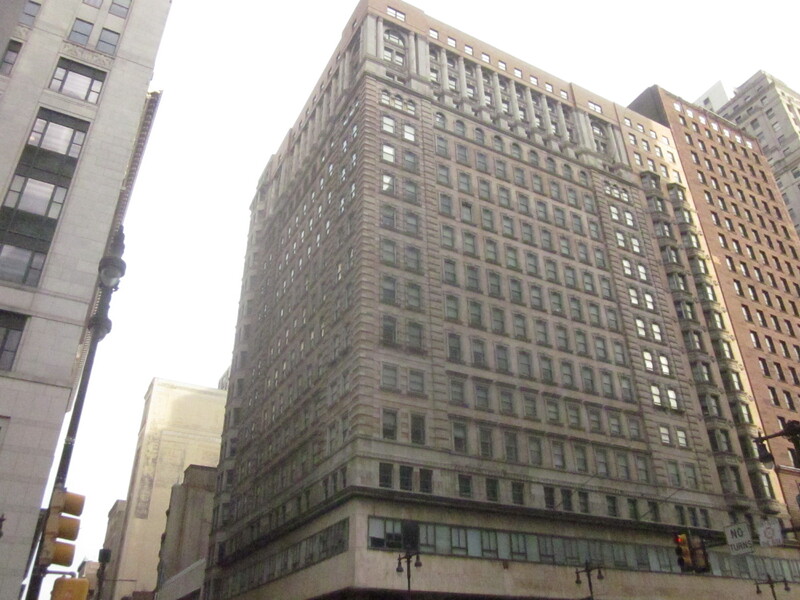 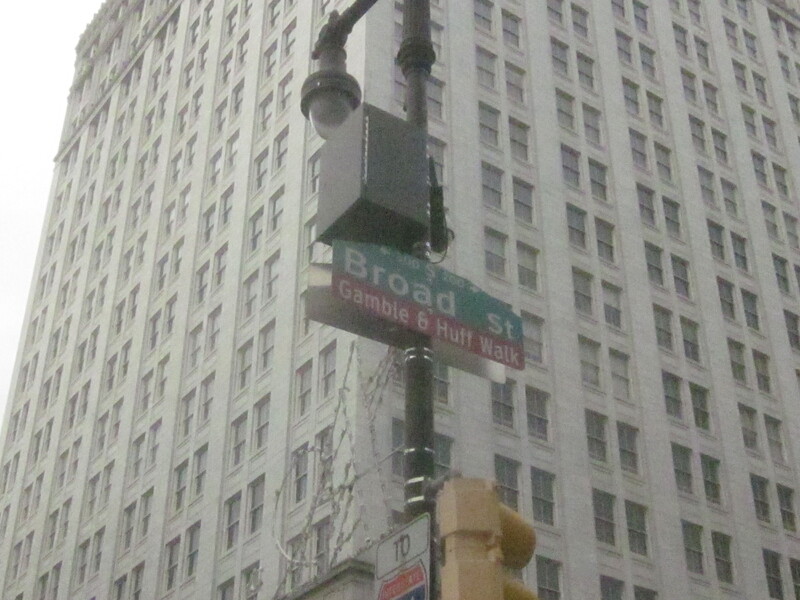 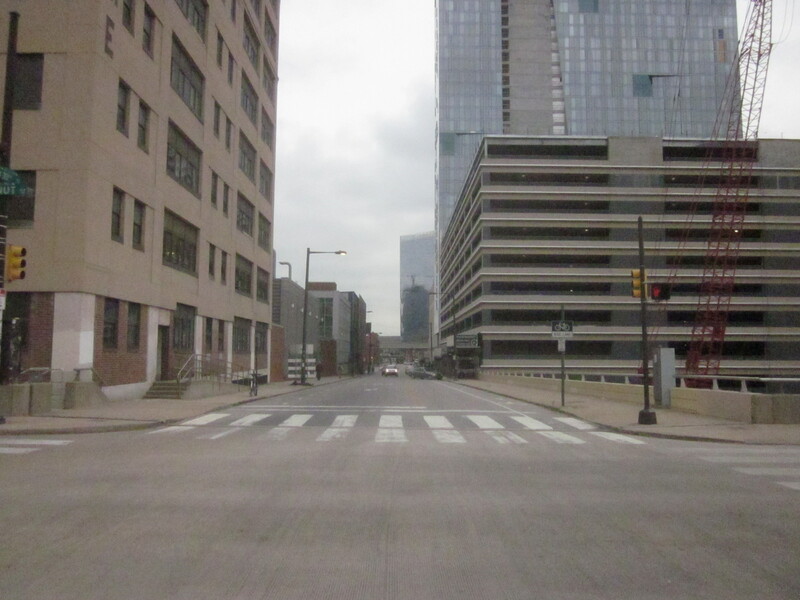 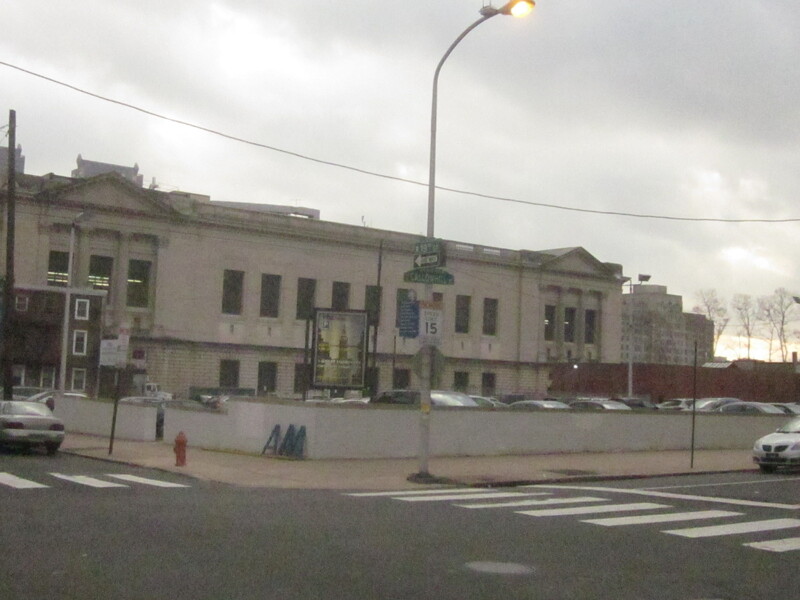 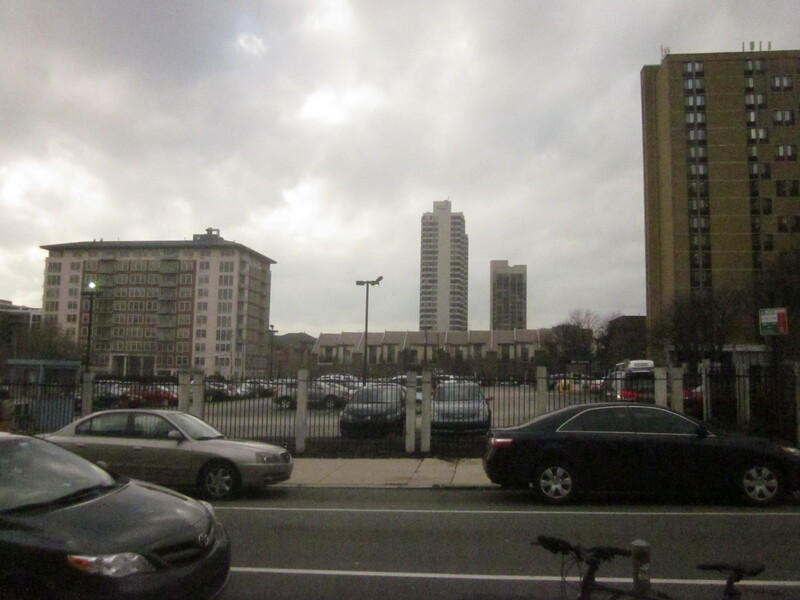 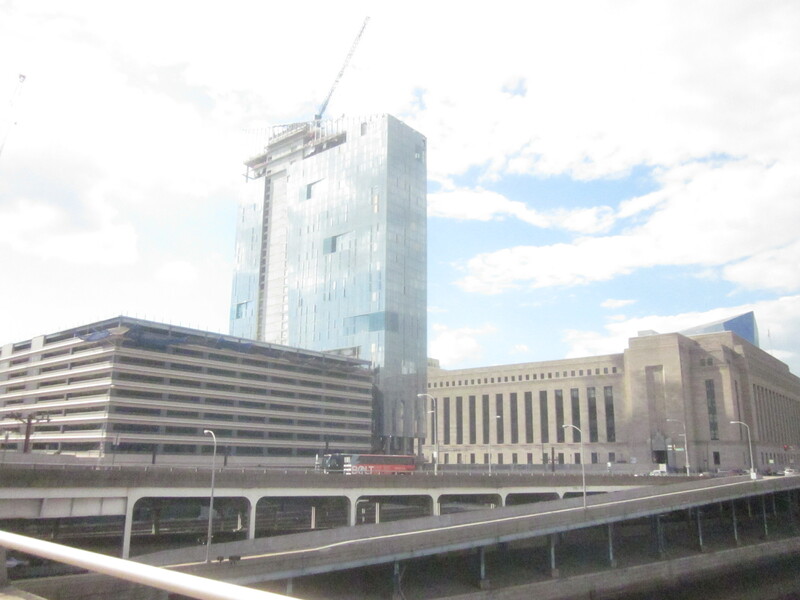 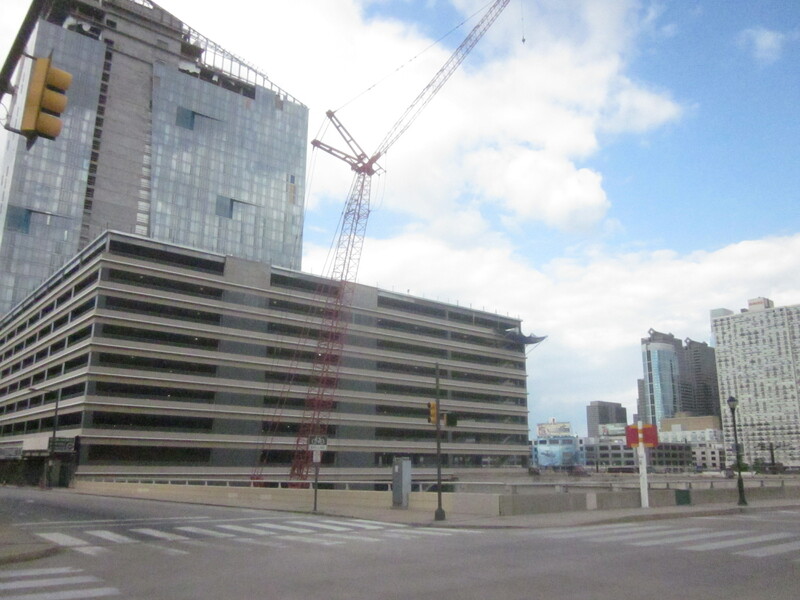 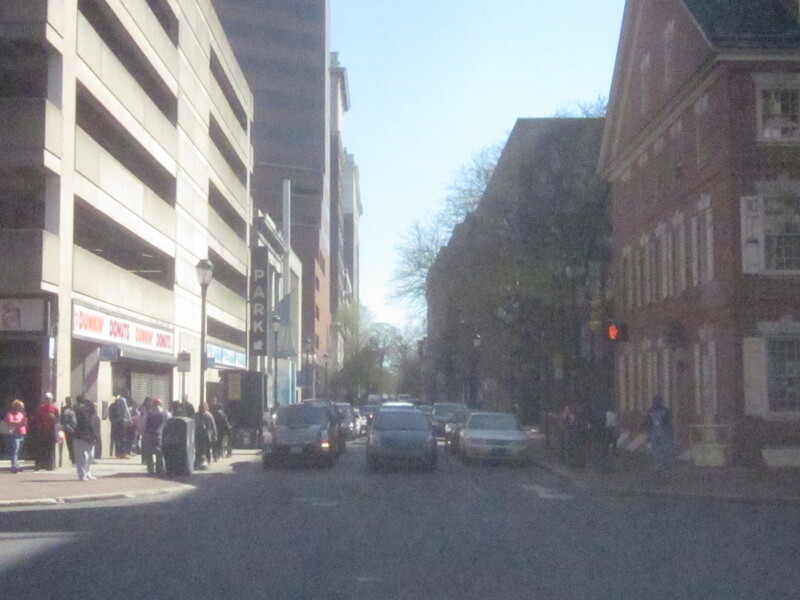 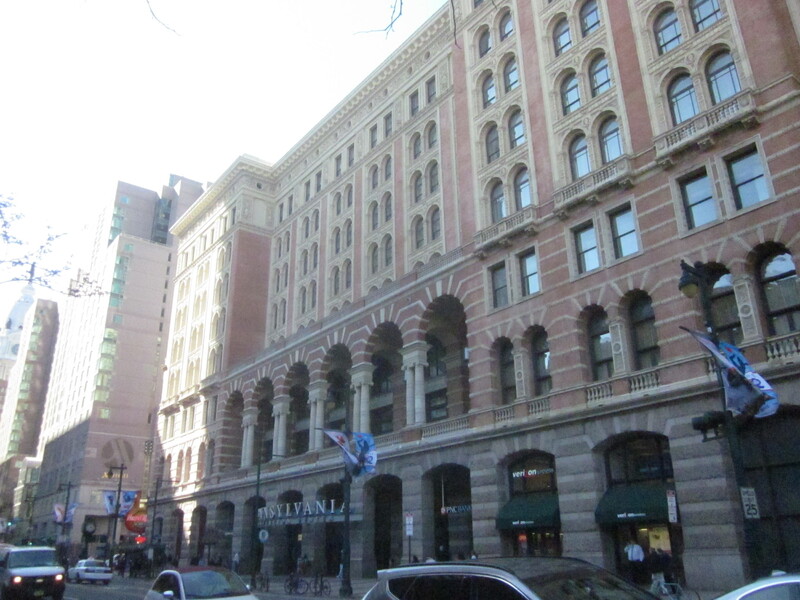 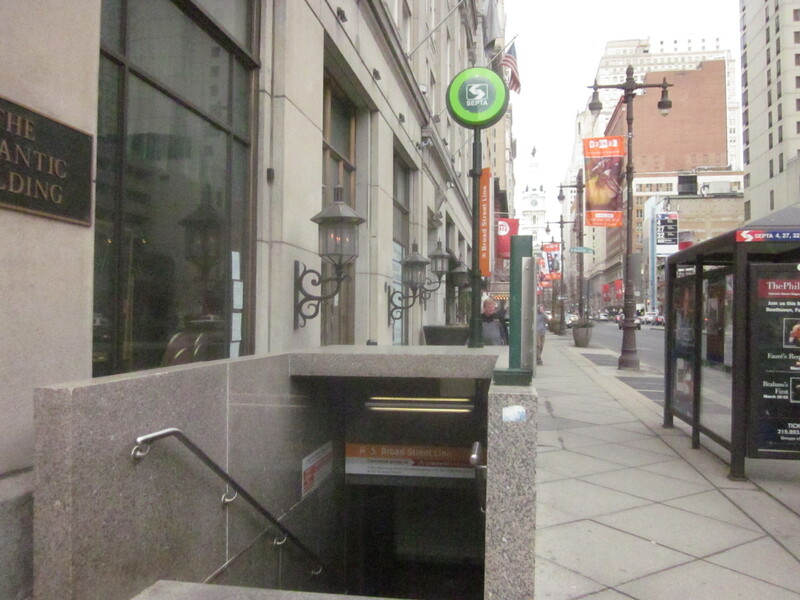 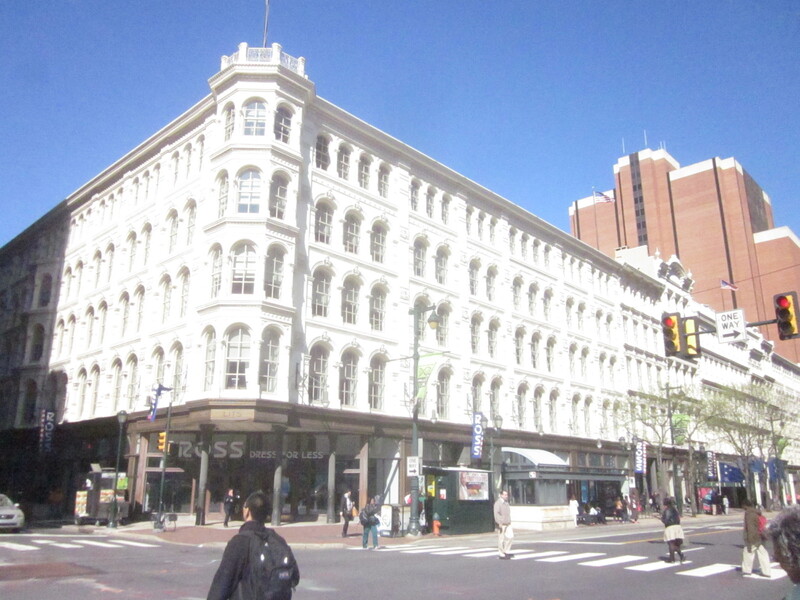 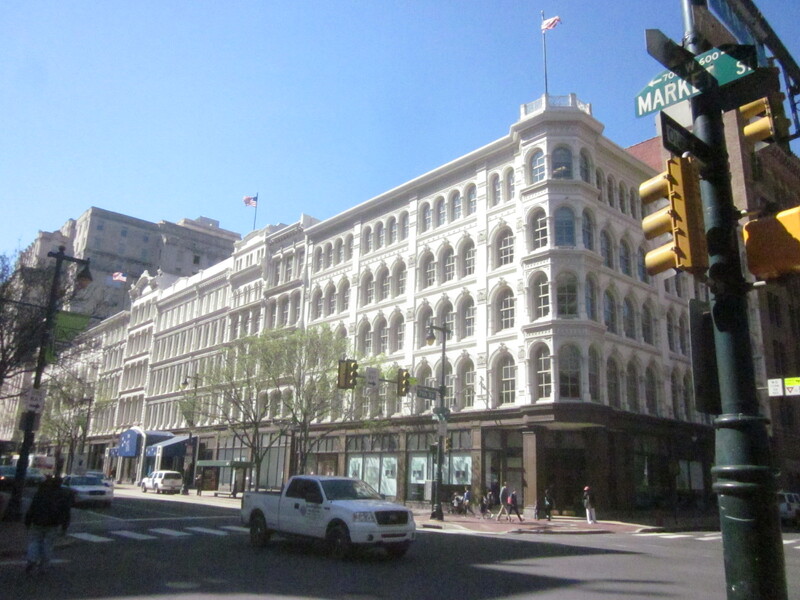 As if that isn’t enough, two large new midrise apartment buildings are proposed for the parking lots at Broad and Callowhill Streets and there may be new casino at the old Inquirer Building, along Callowhill Street, from Broad Street to 16th Street. 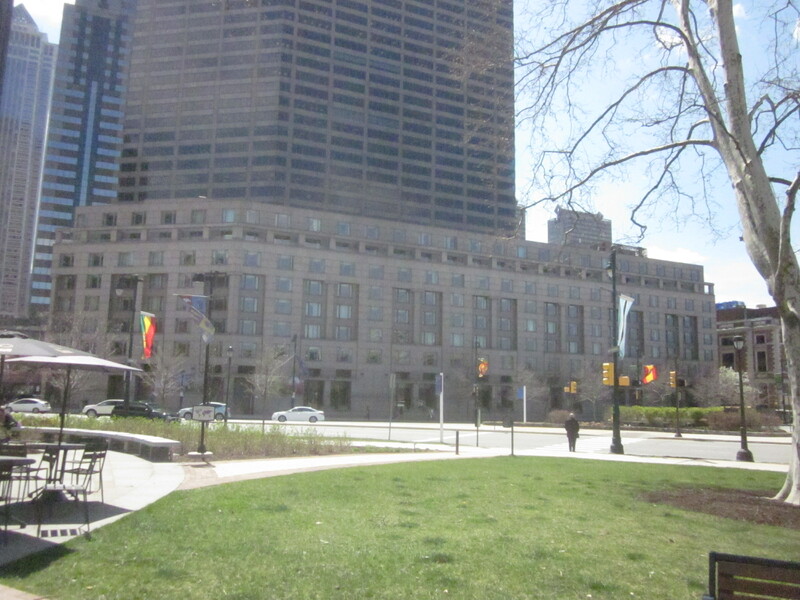 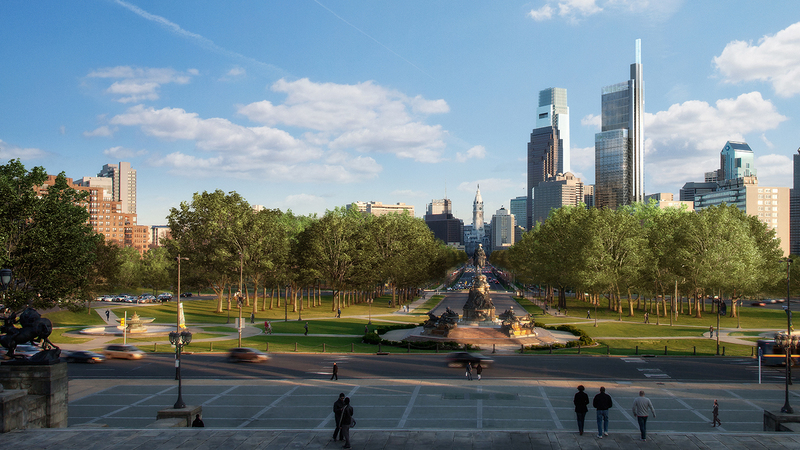 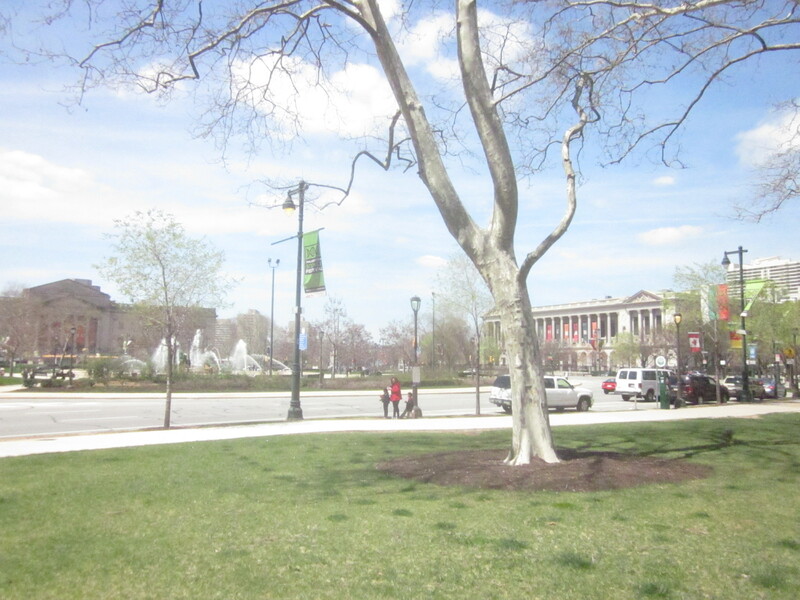 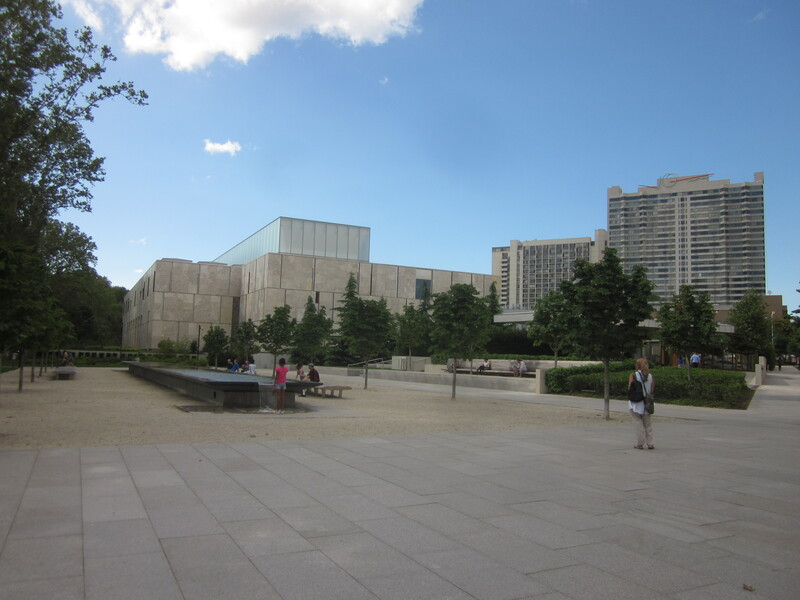 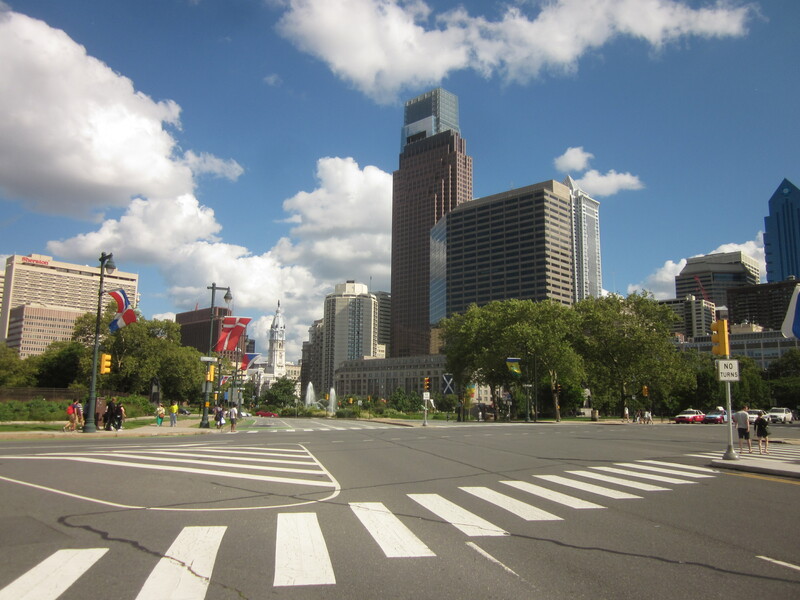 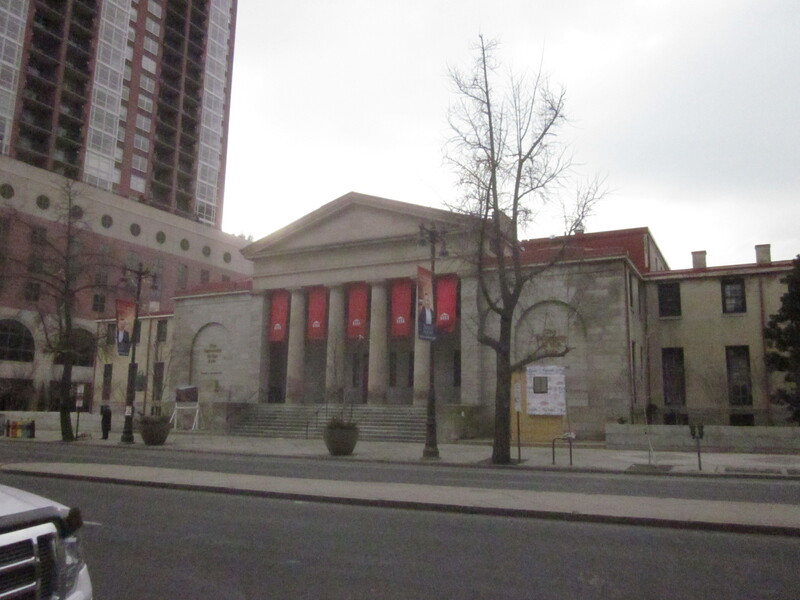 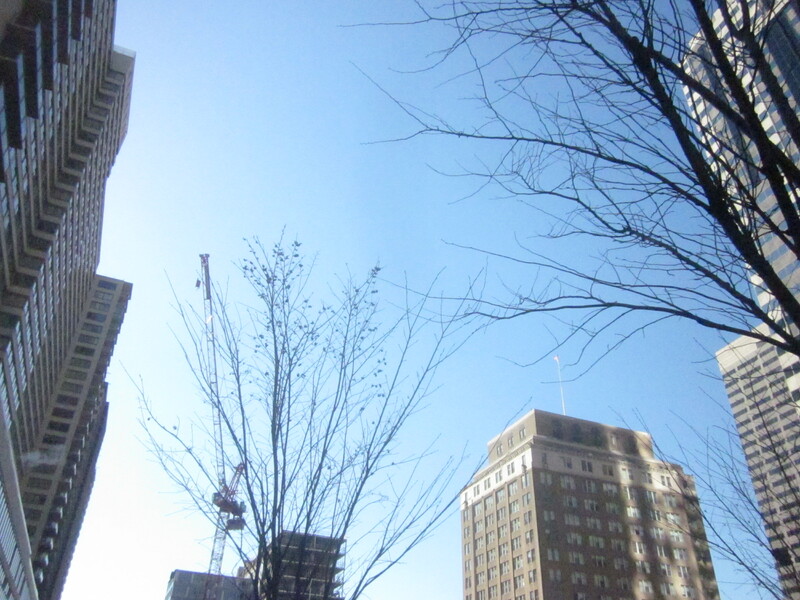 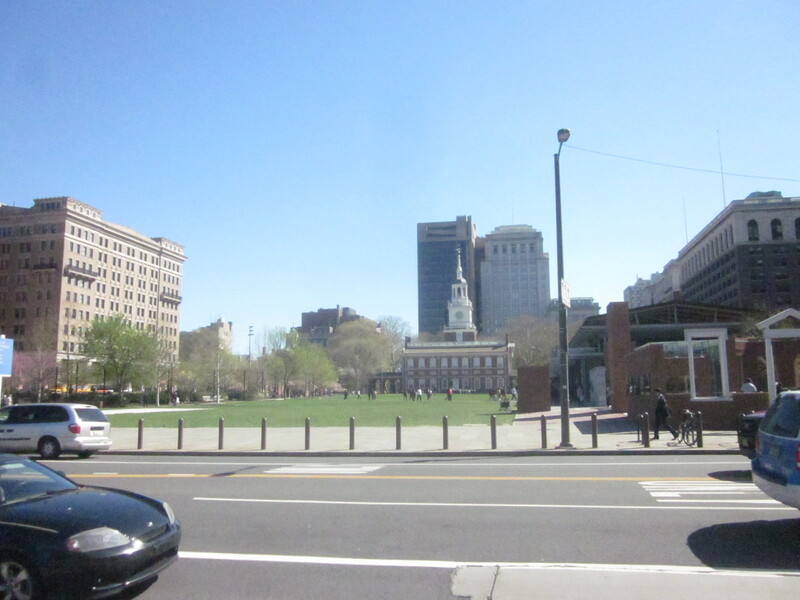 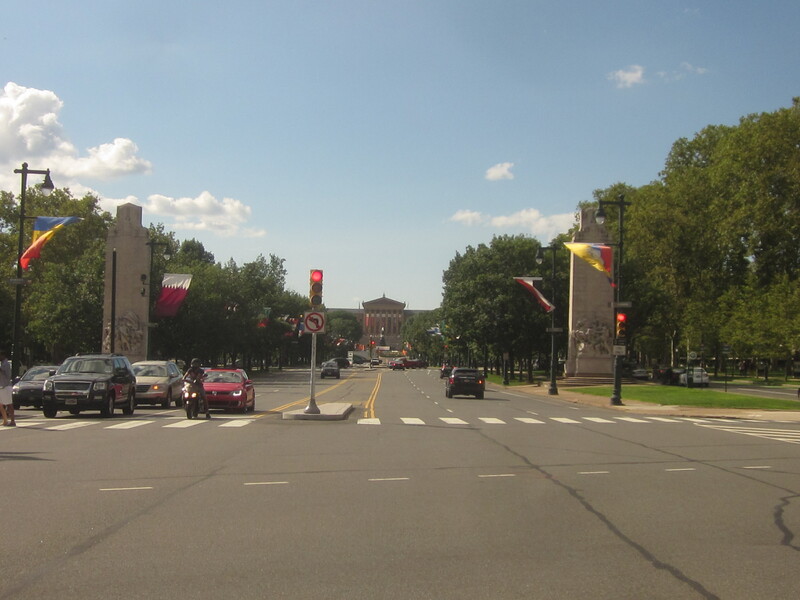 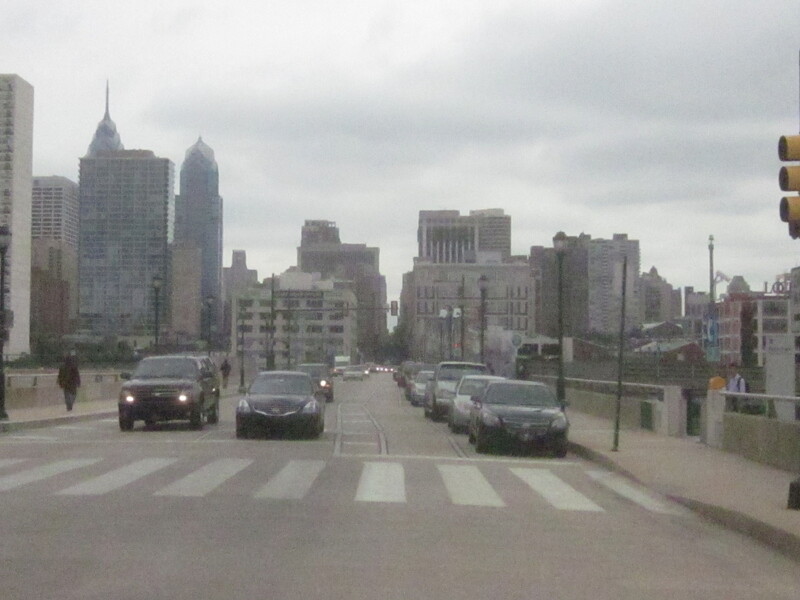 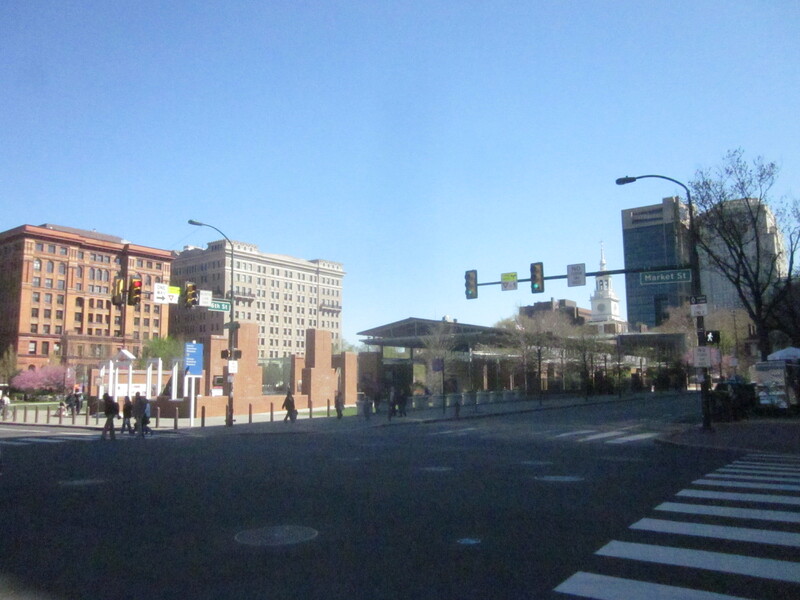 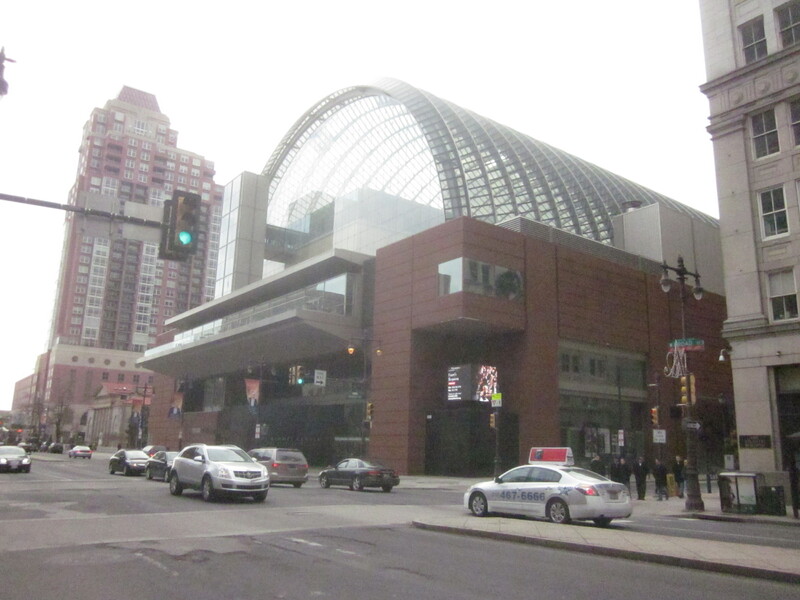 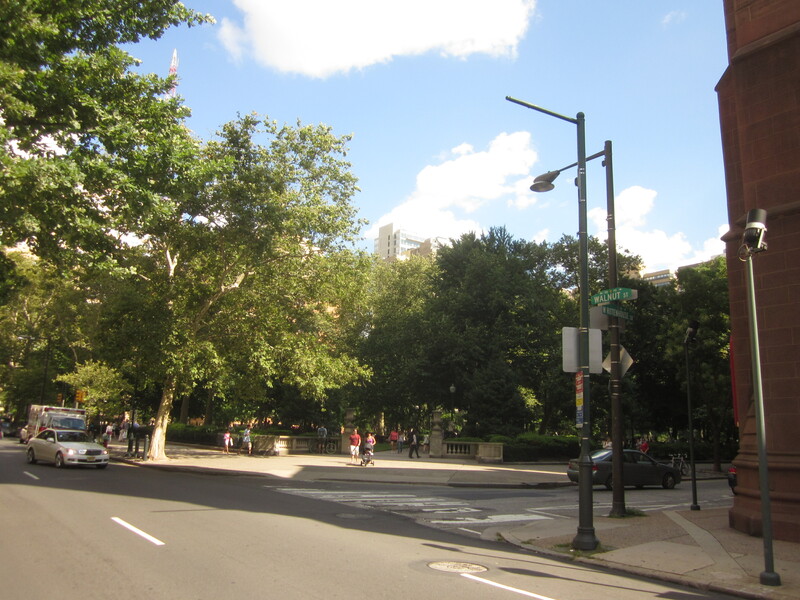 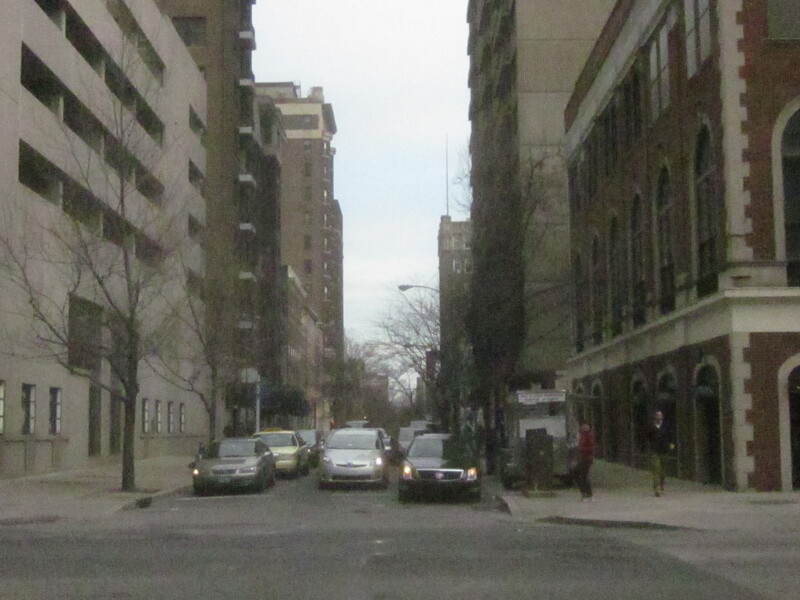 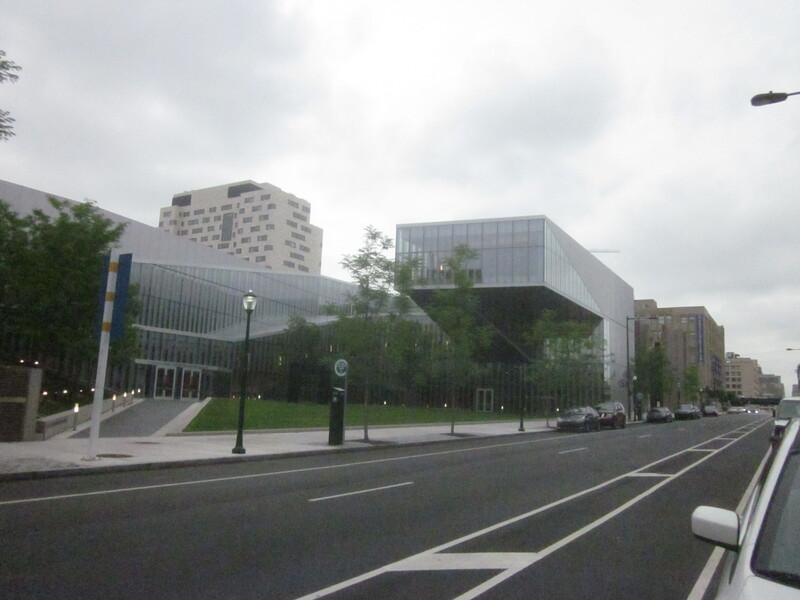 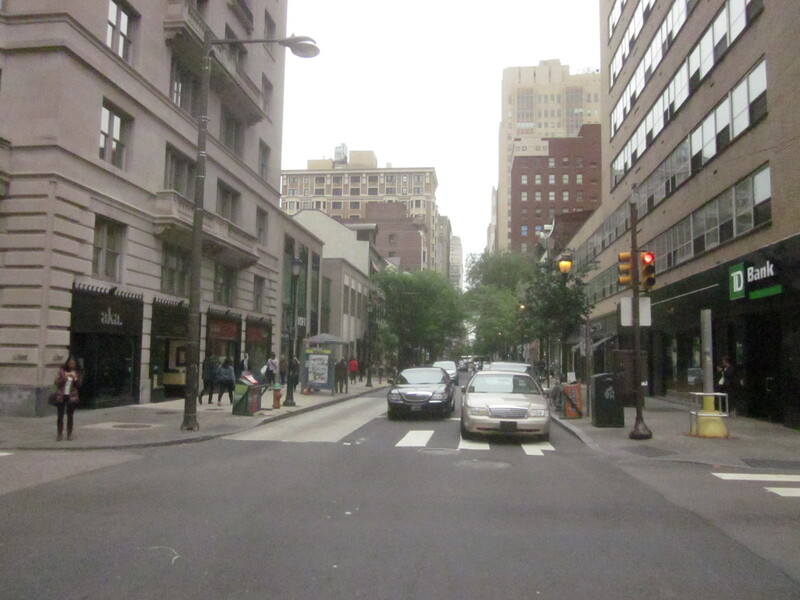 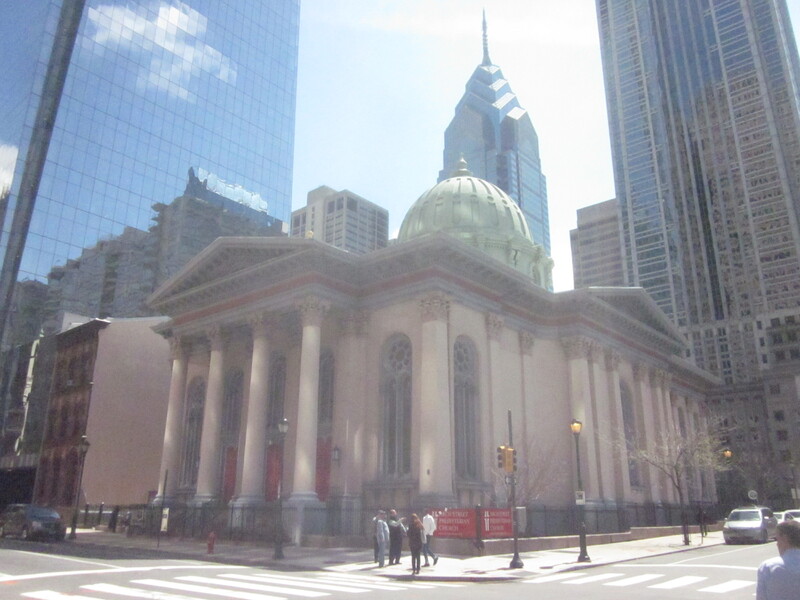 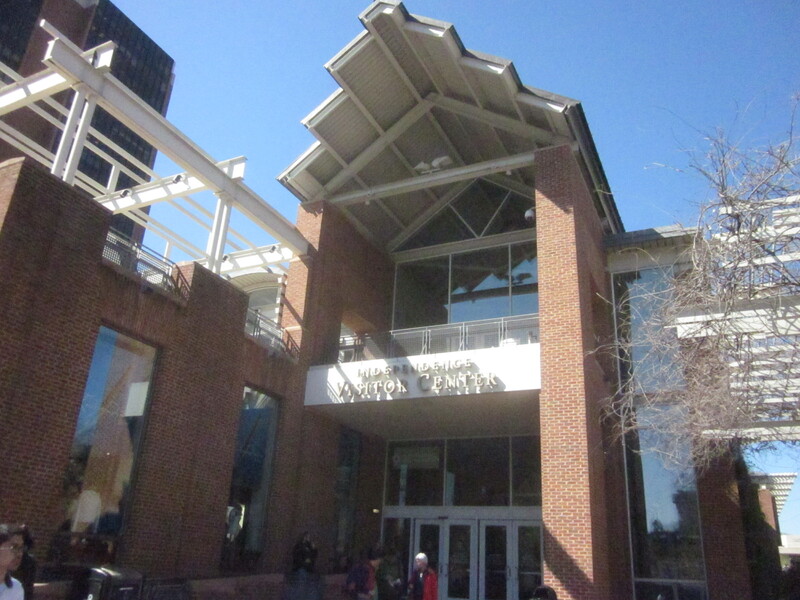 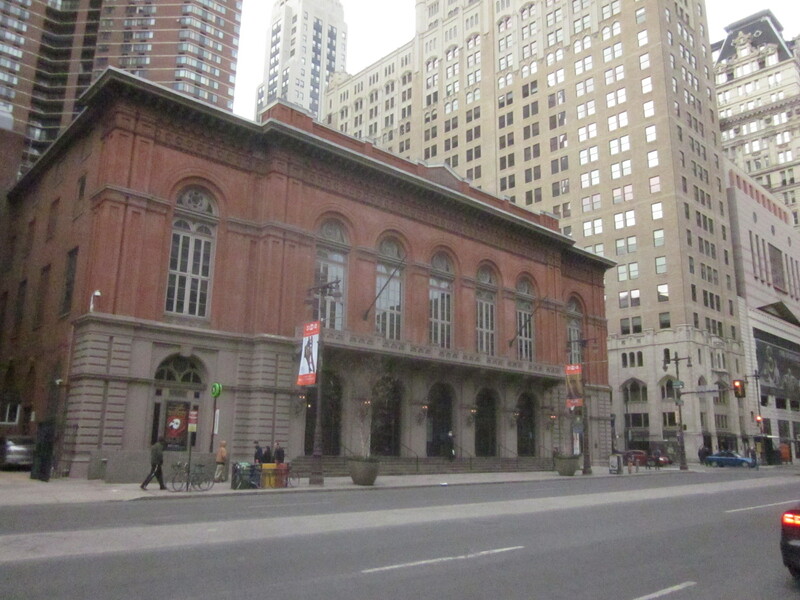 Also, the Ben Franklin Parkway is being enhanced with the new Barnes Foundation museum, at 20th Street, the renovation and expansion of the Central Library, at 19th and Vine Streets, the renovation of the Rodin Museum, and the eventual renovation of the old Family Courts building into some kind of luxury hotel. 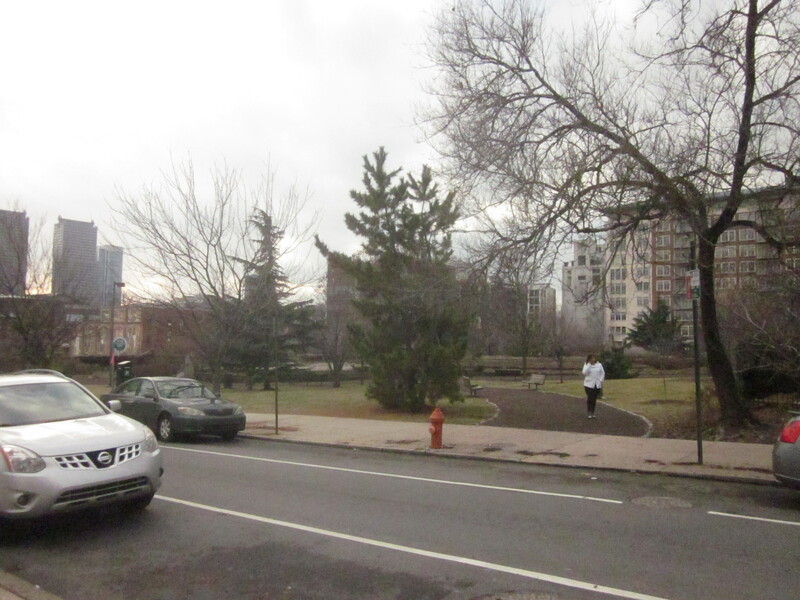 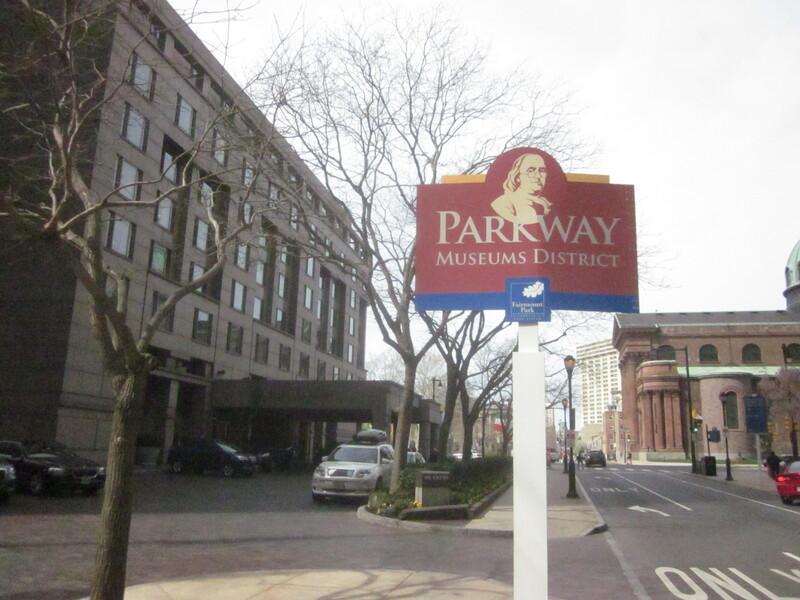 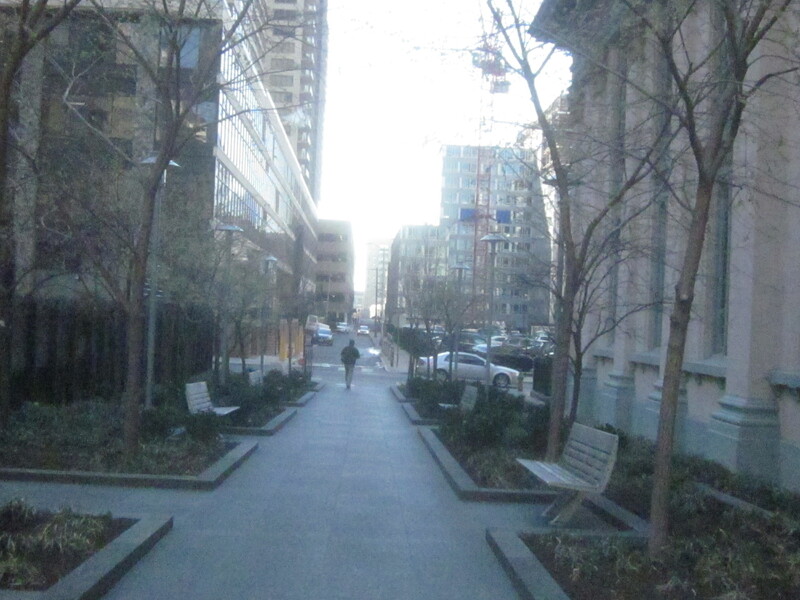 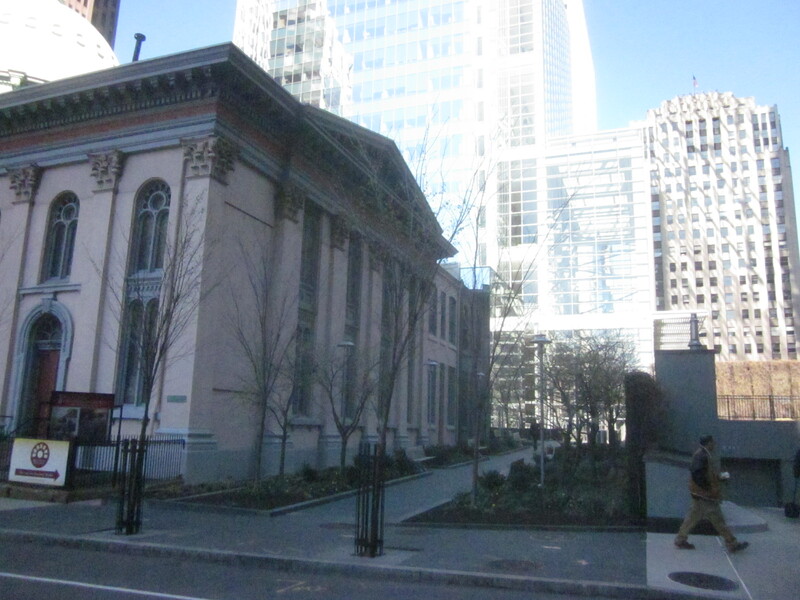 The Parkway, itself, is slowing being improved to be more fun and pedestrian-friendly, including the complete renovation of Sister Cities Park, which is just down the street from Museum Towers II on 18th Street. 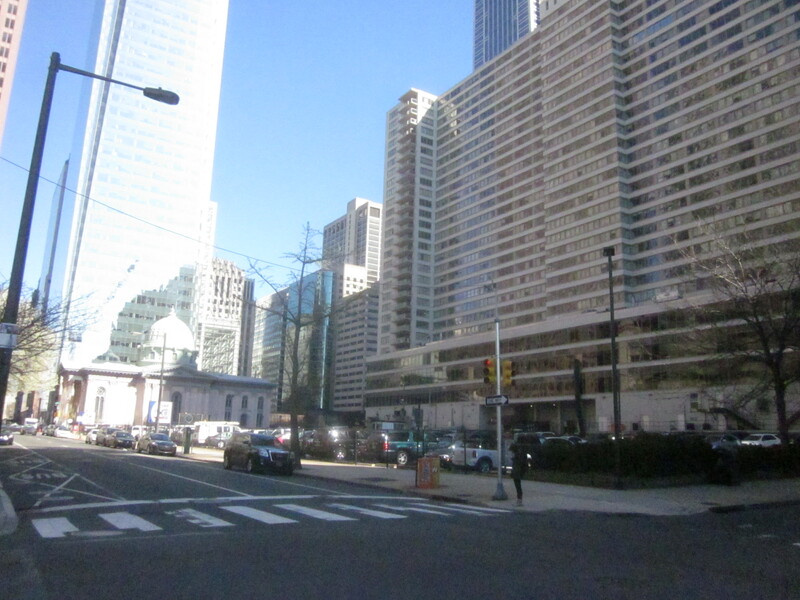 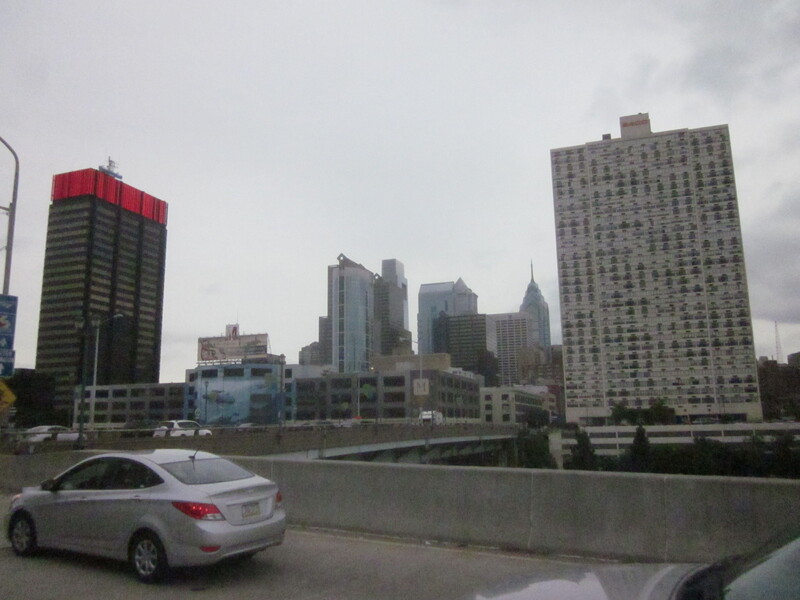 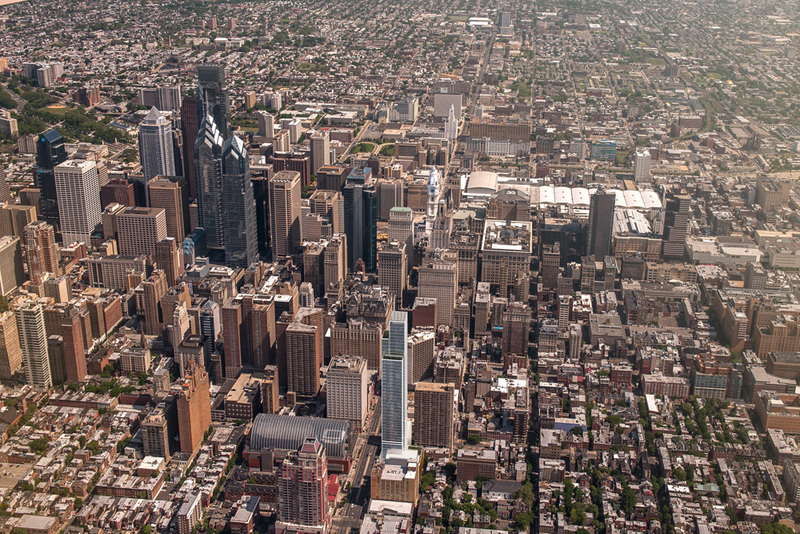 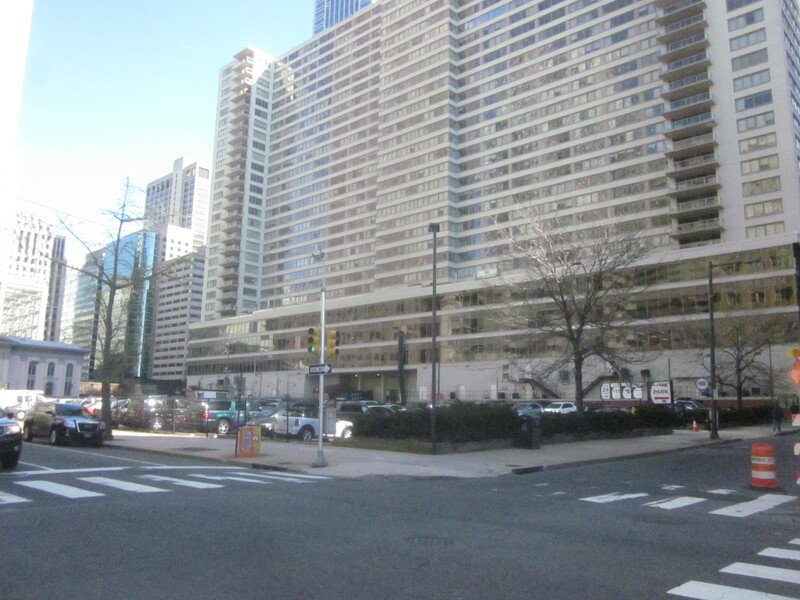 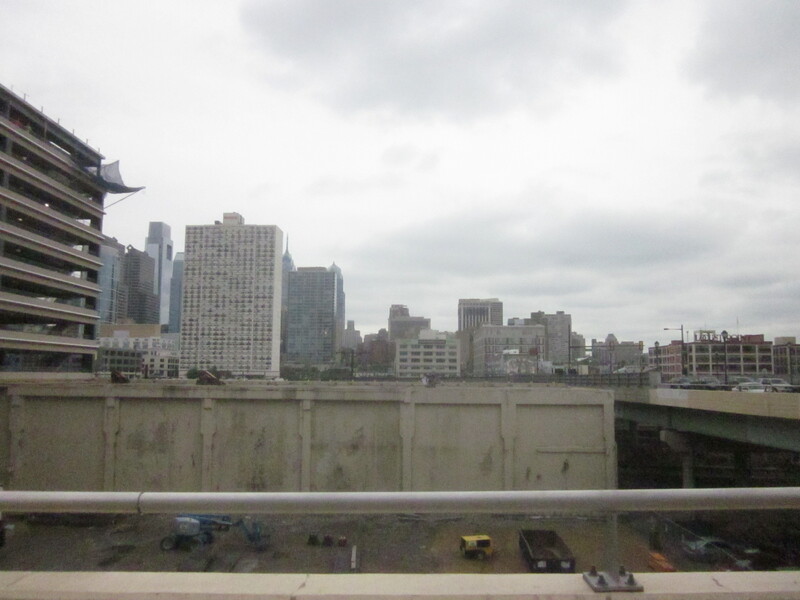 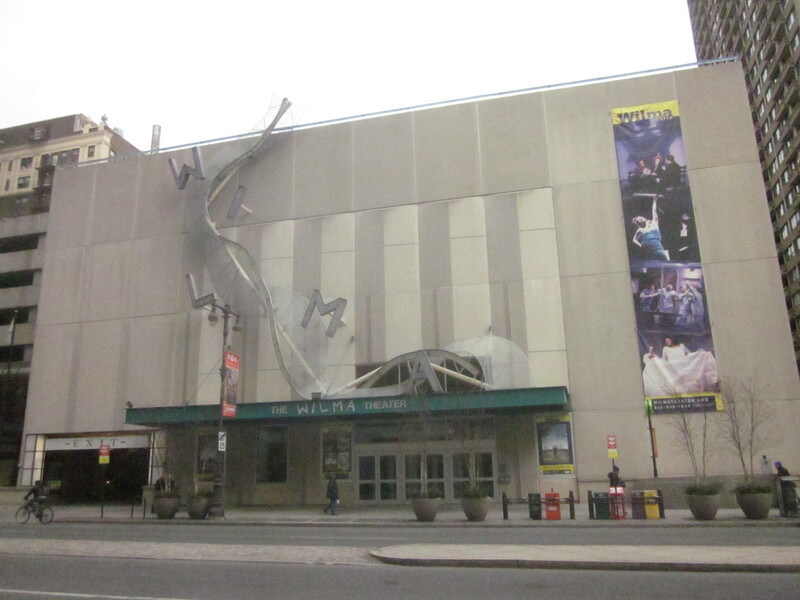 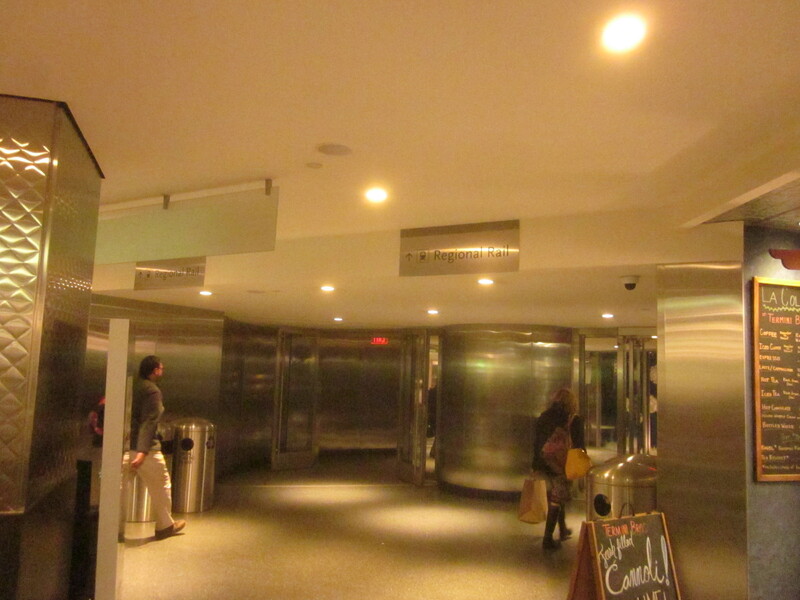 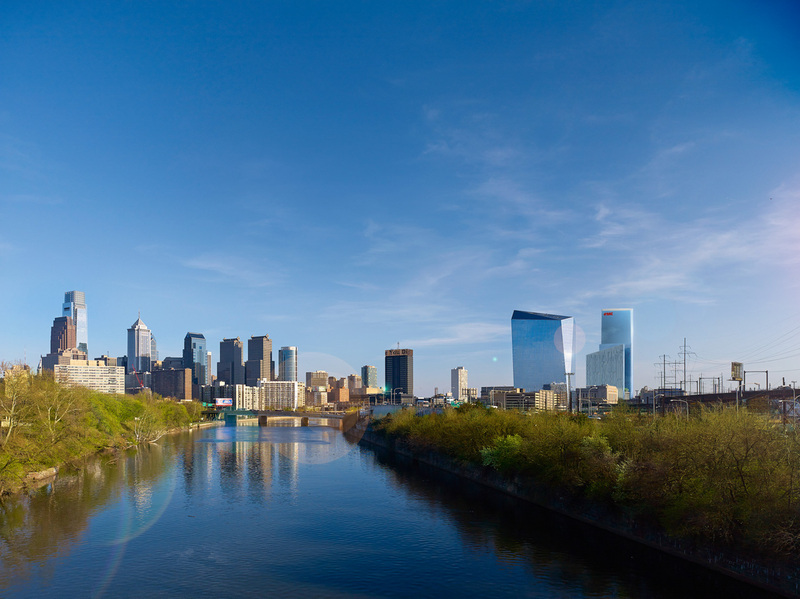 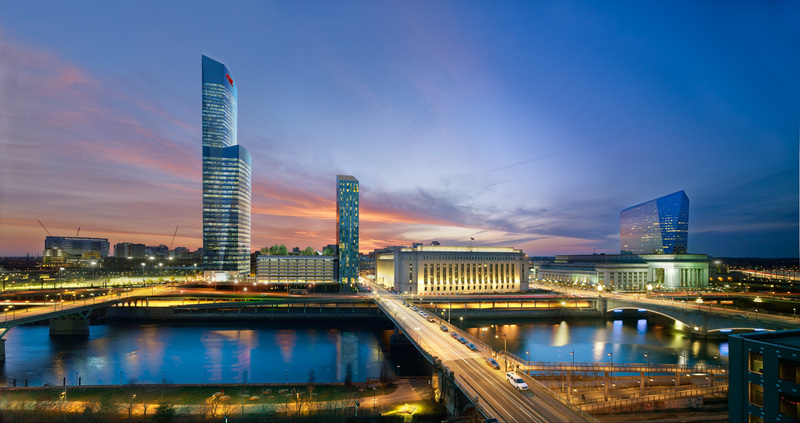 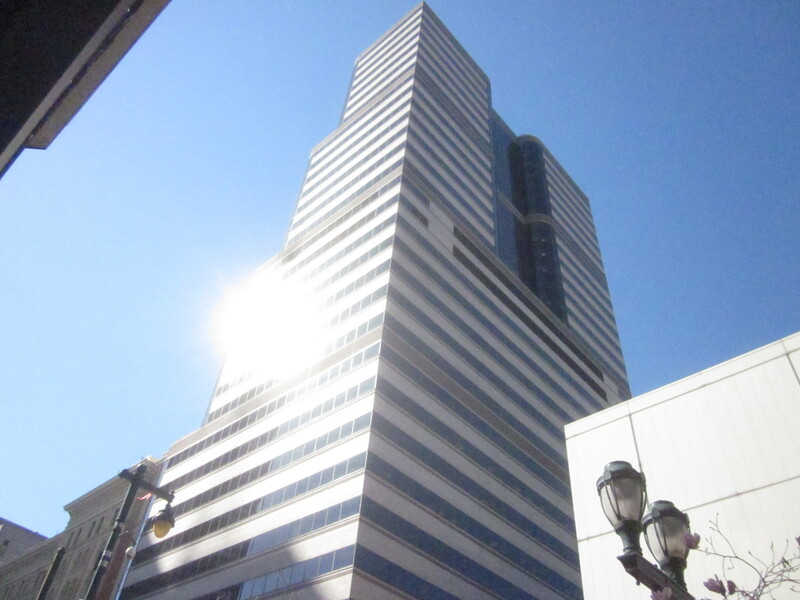 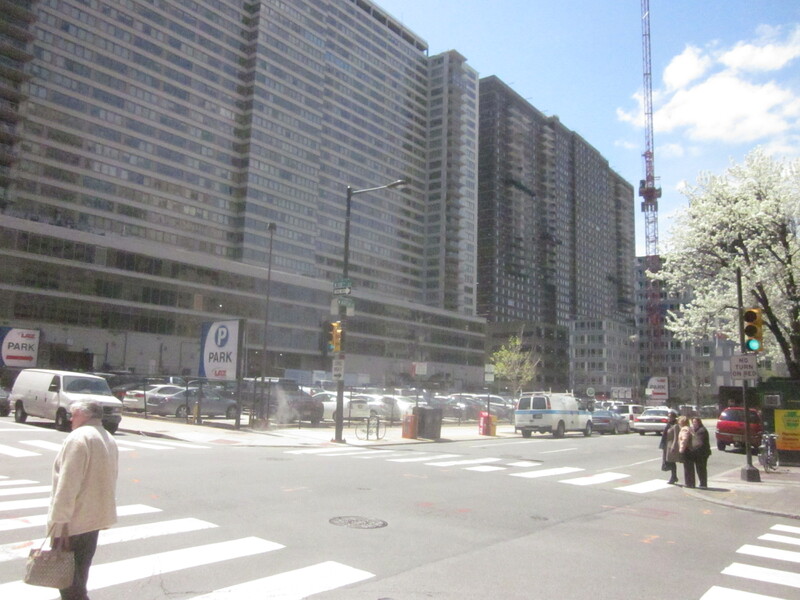 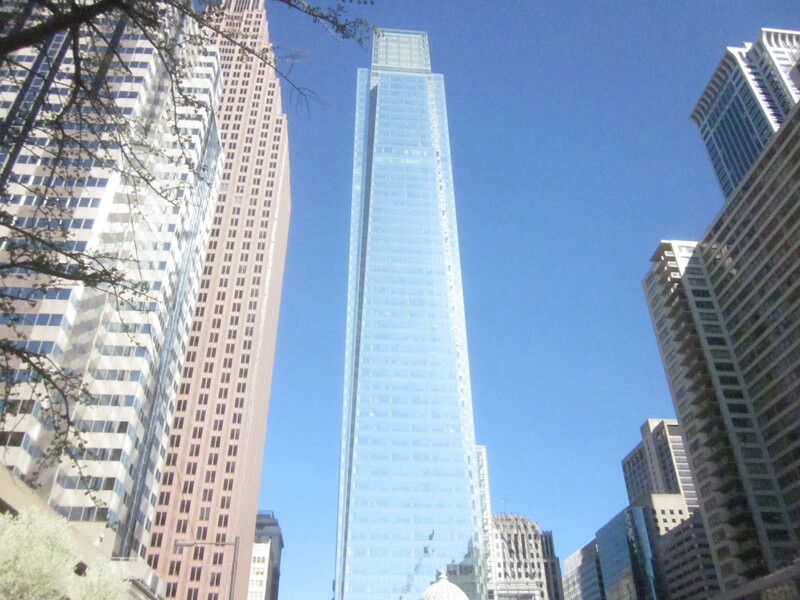 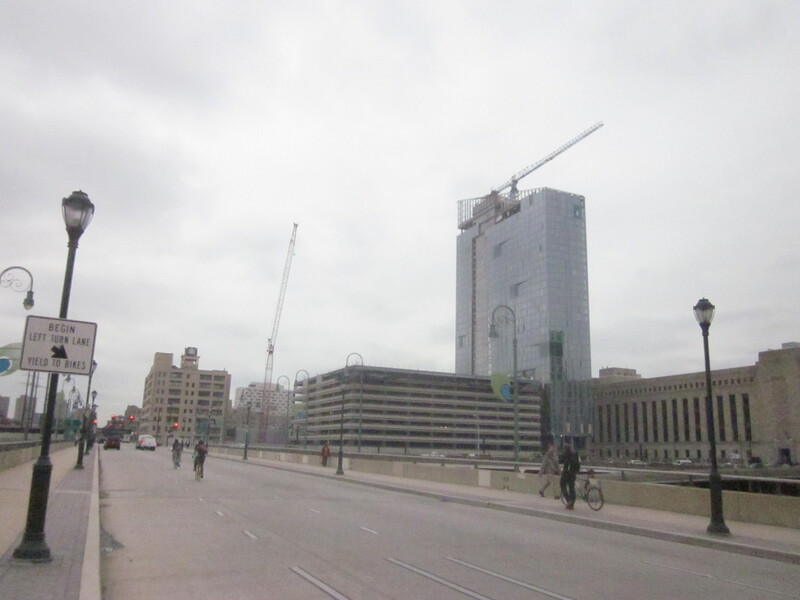 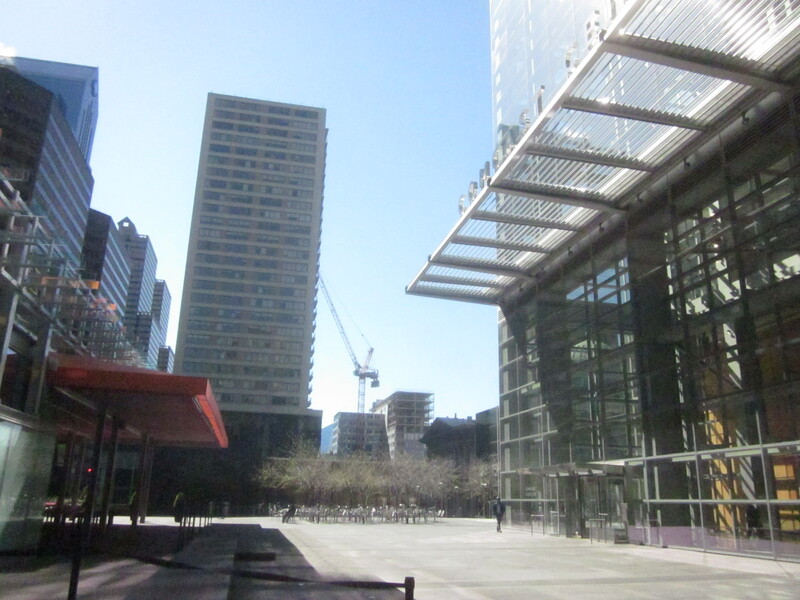 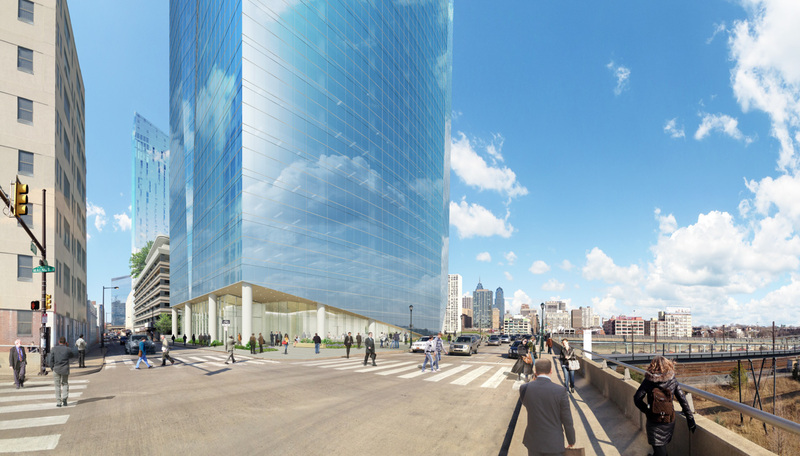 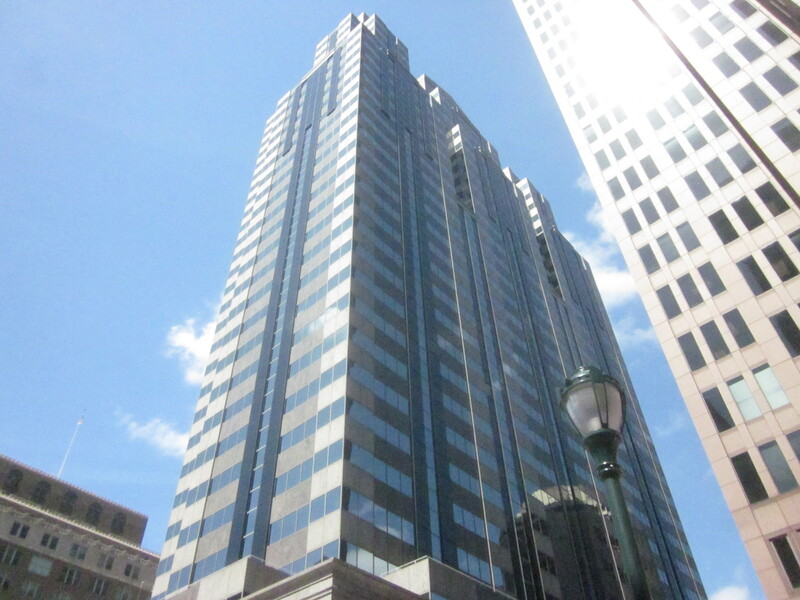 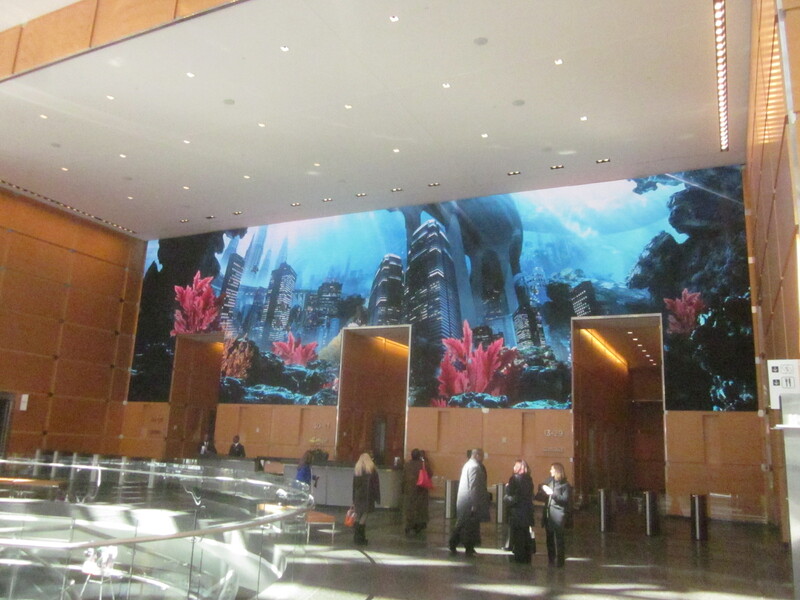 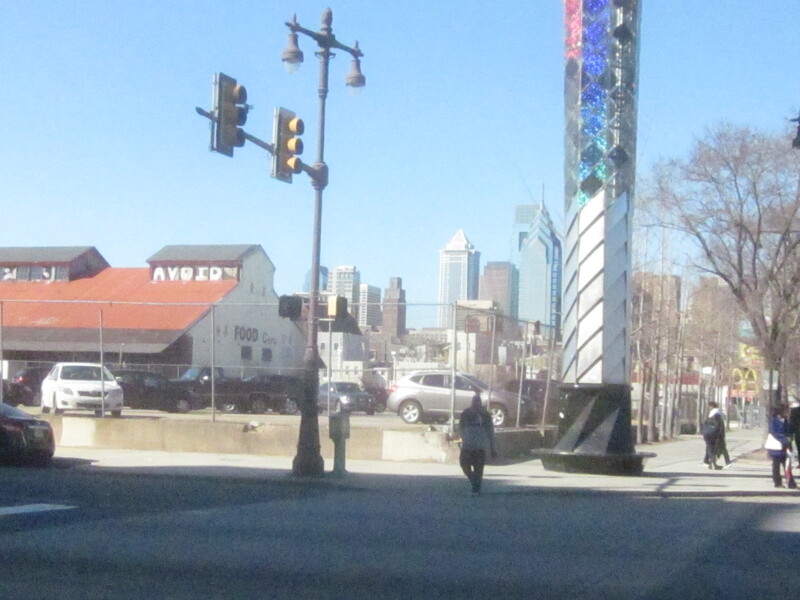 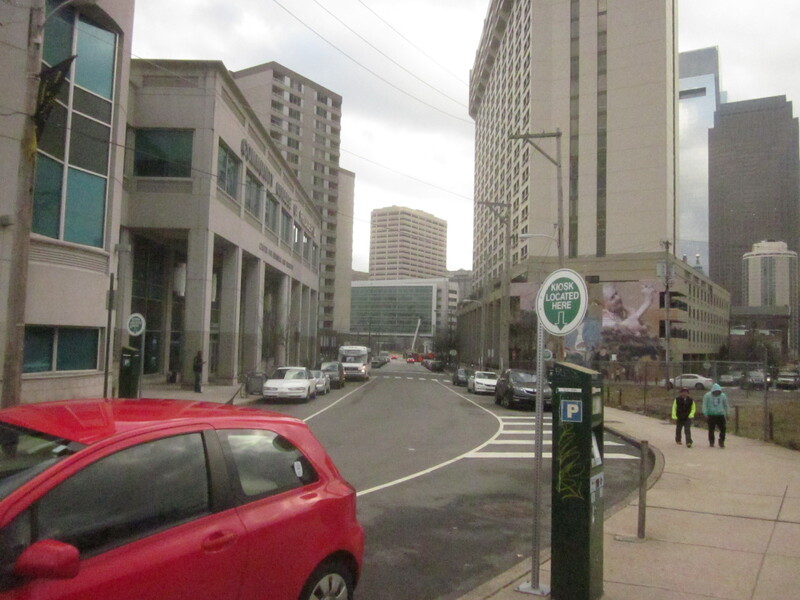 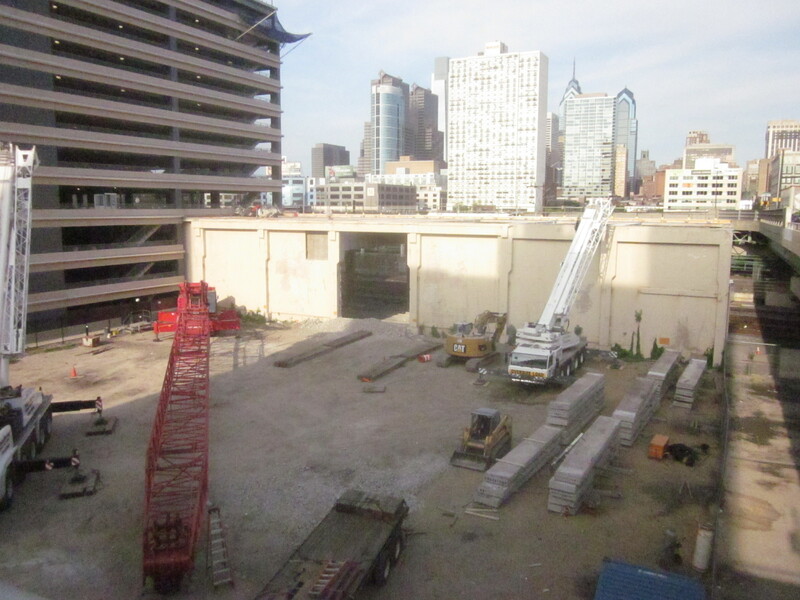 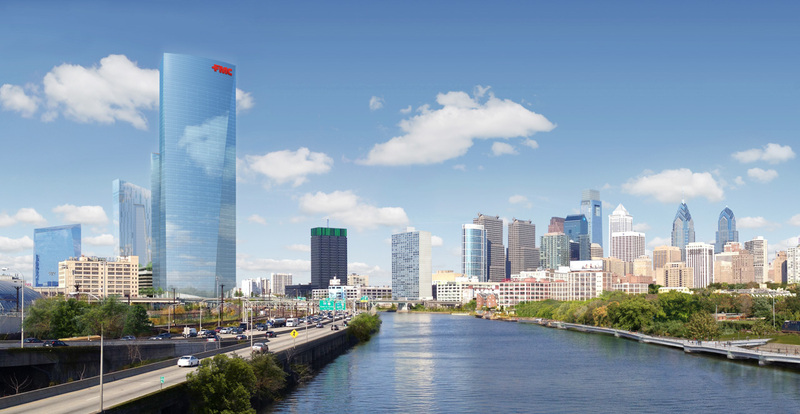 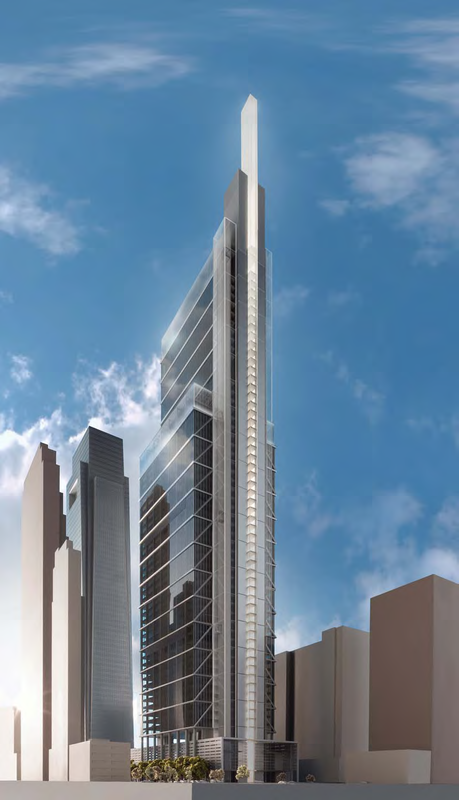 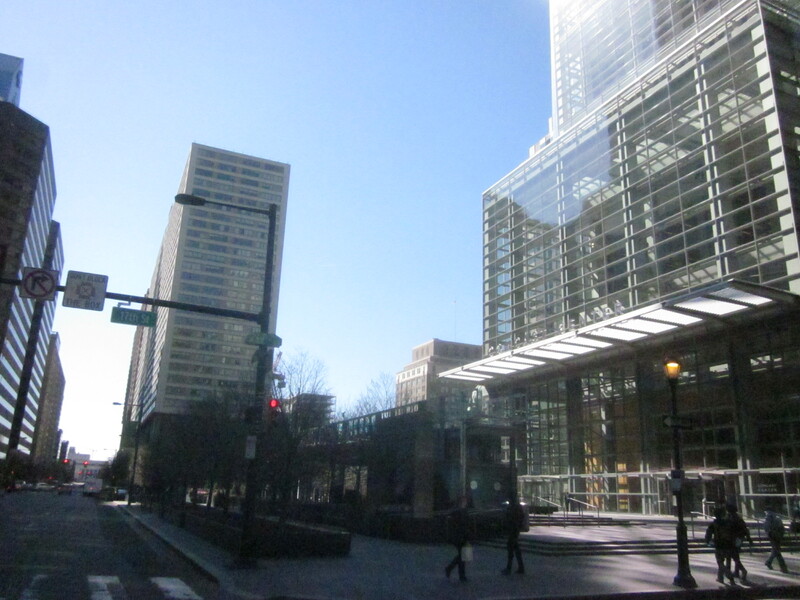 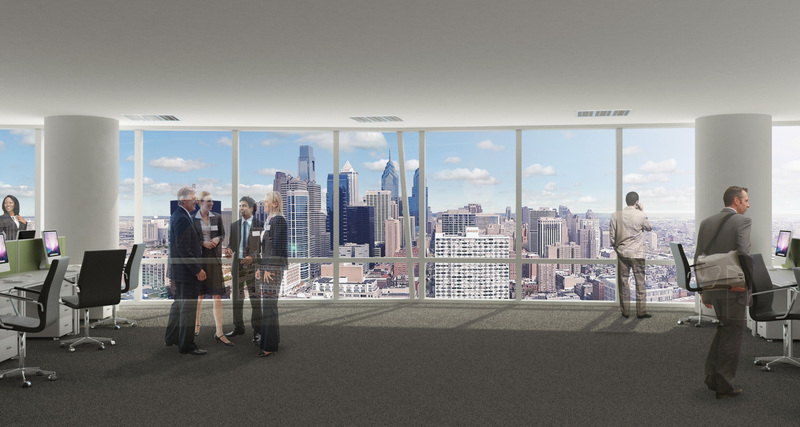 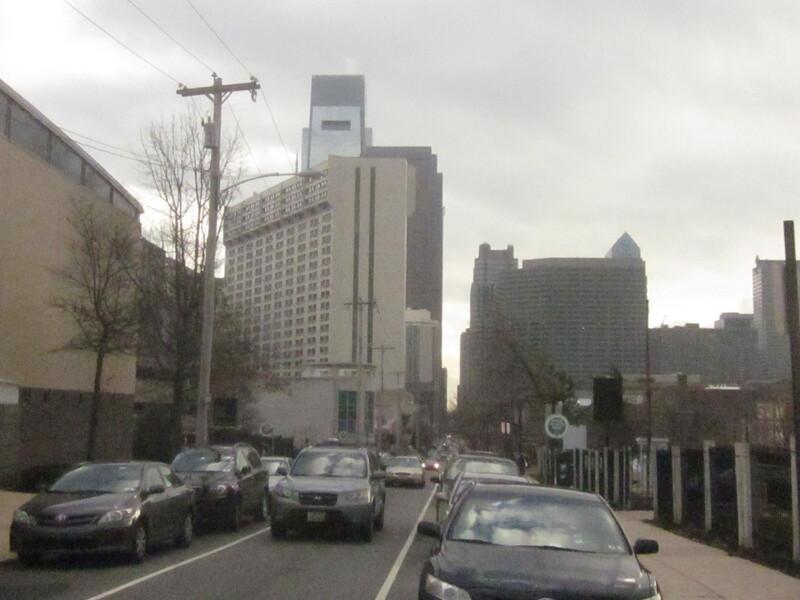 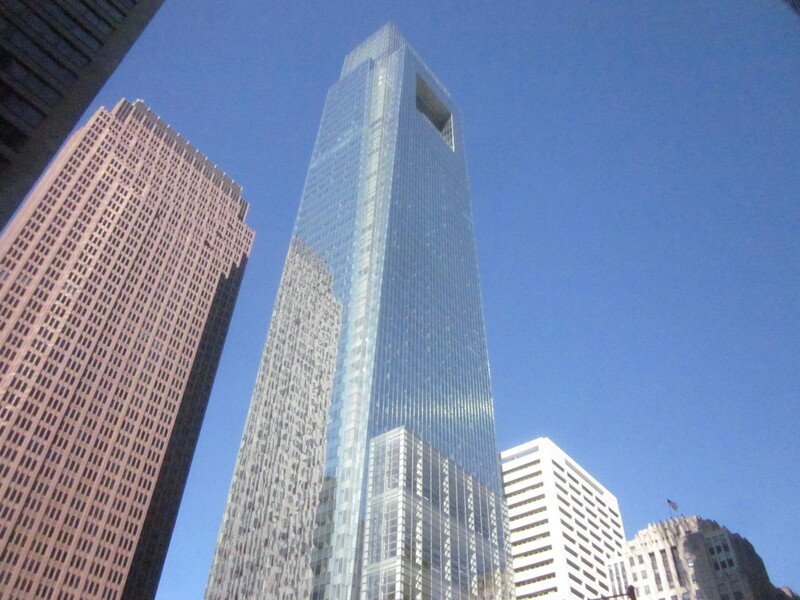 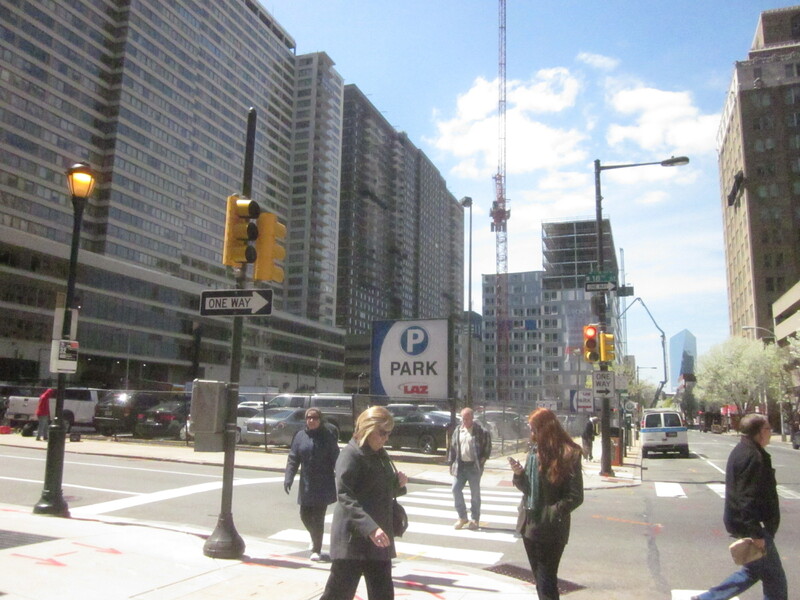 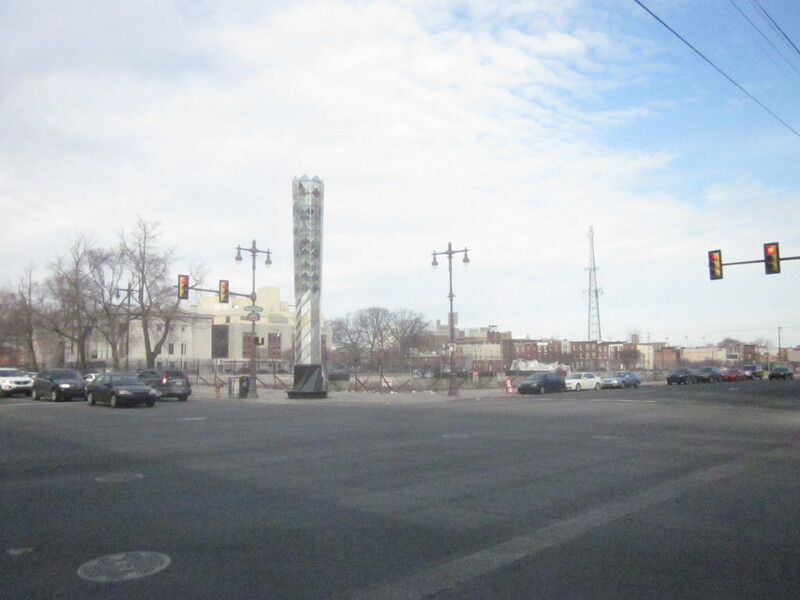 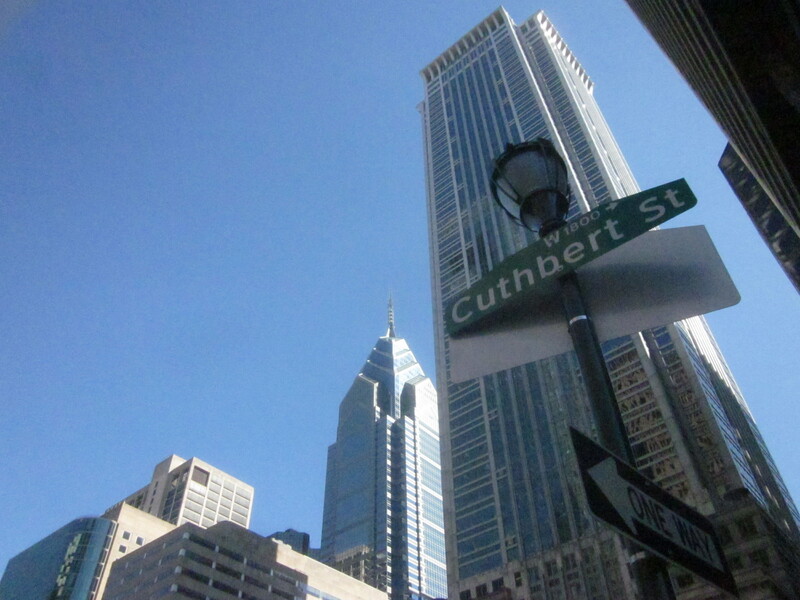 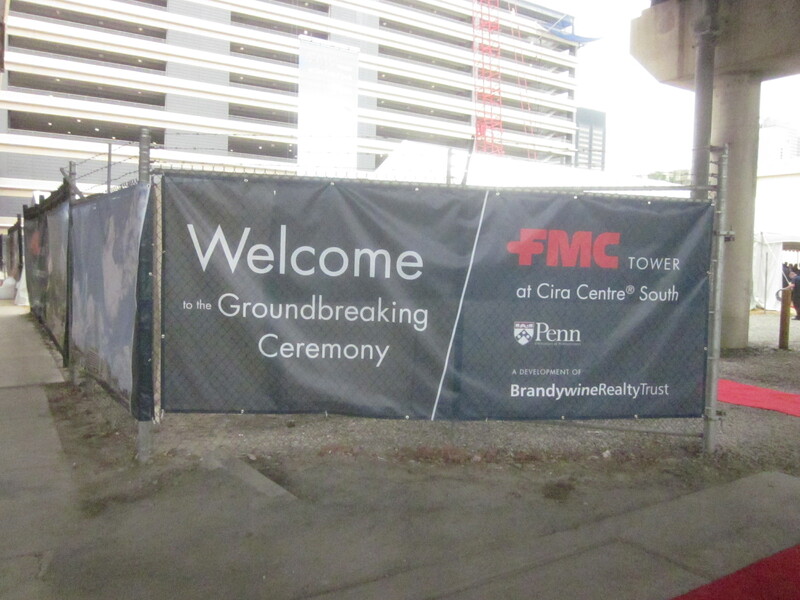 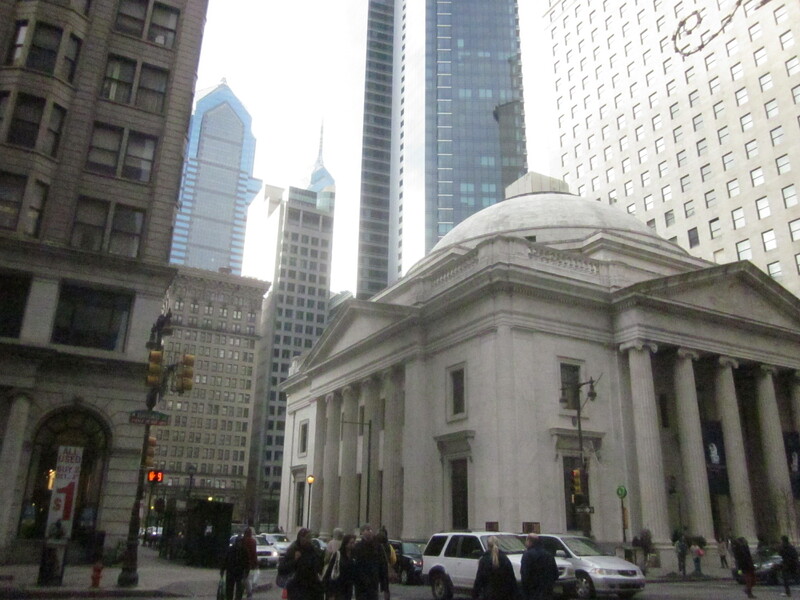 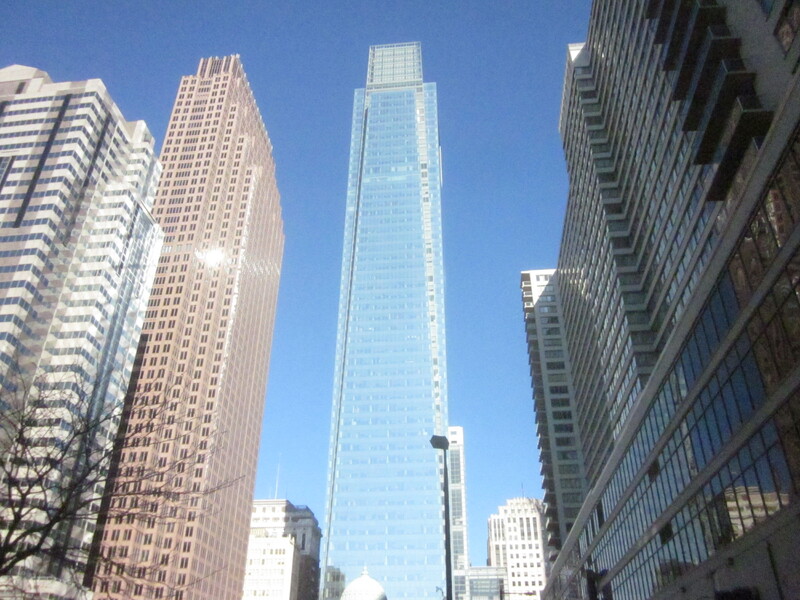 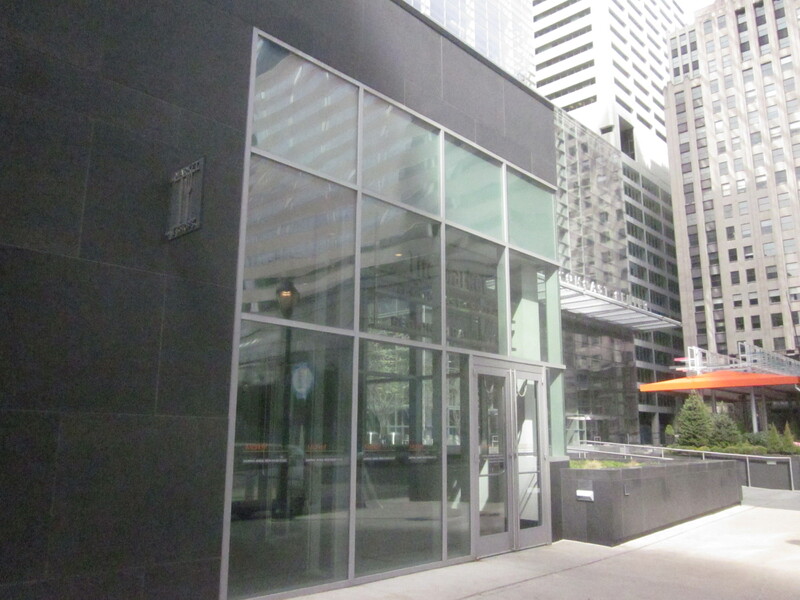 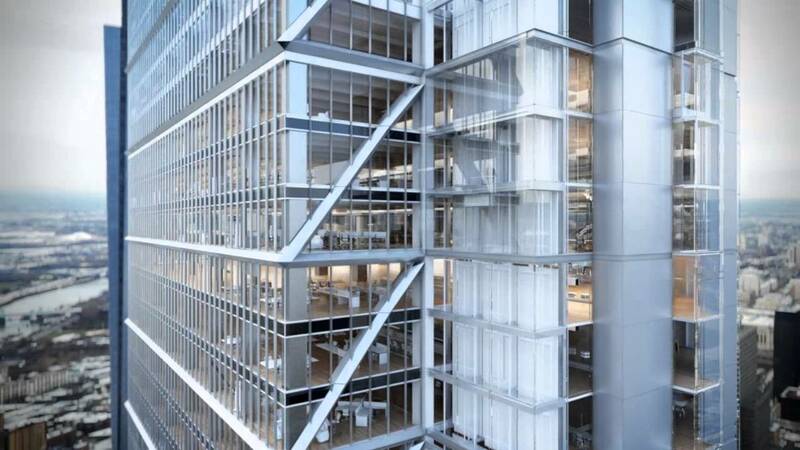 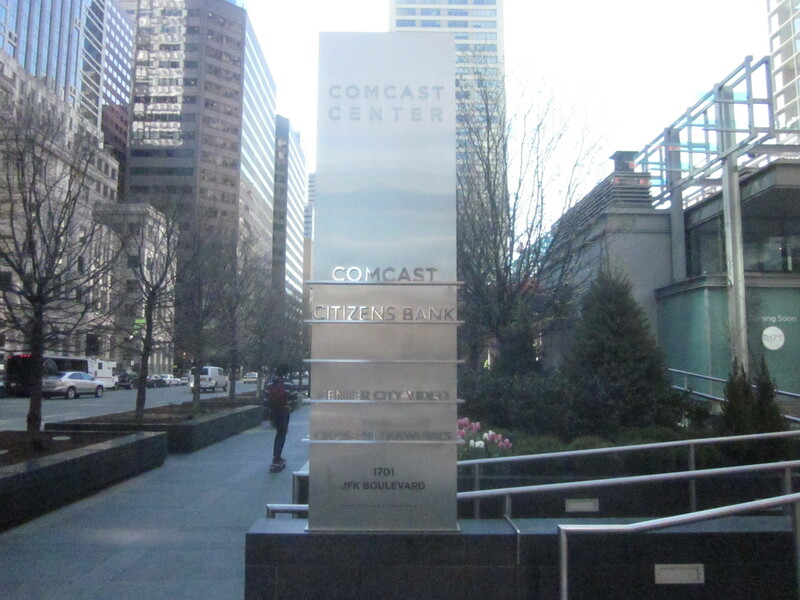 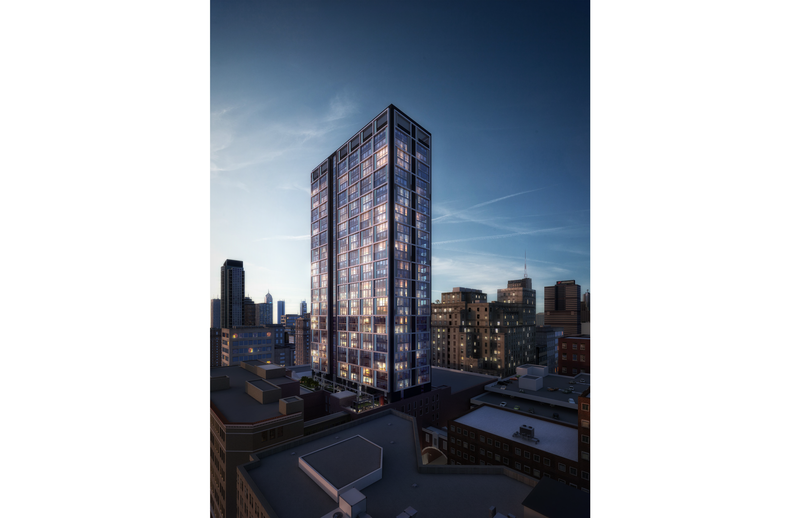 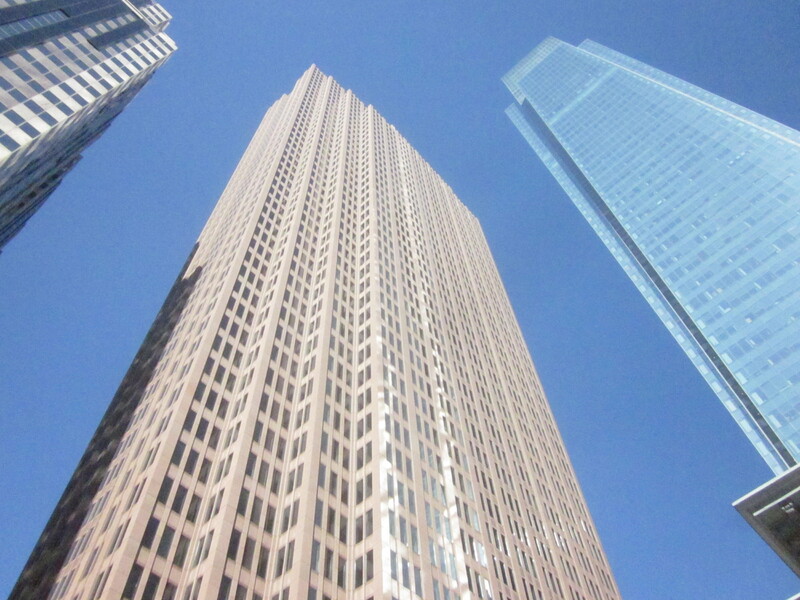 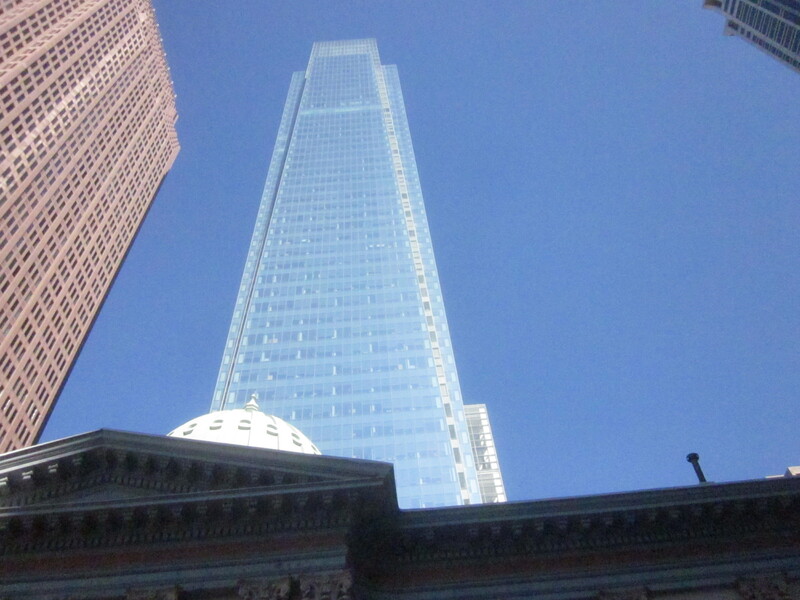 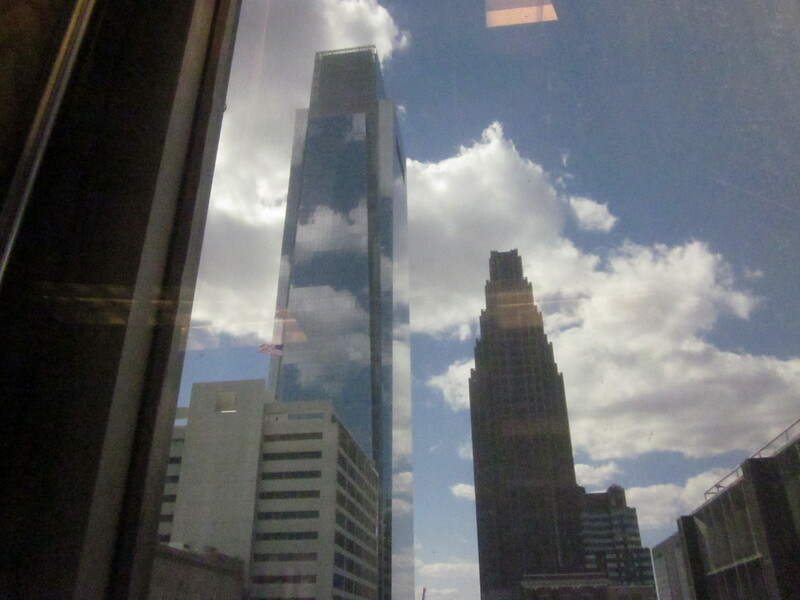 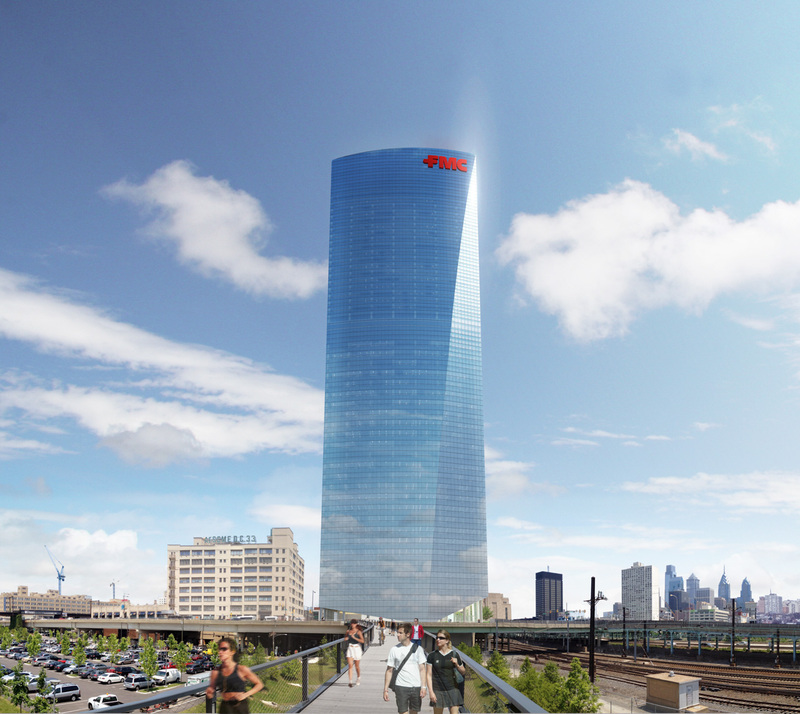 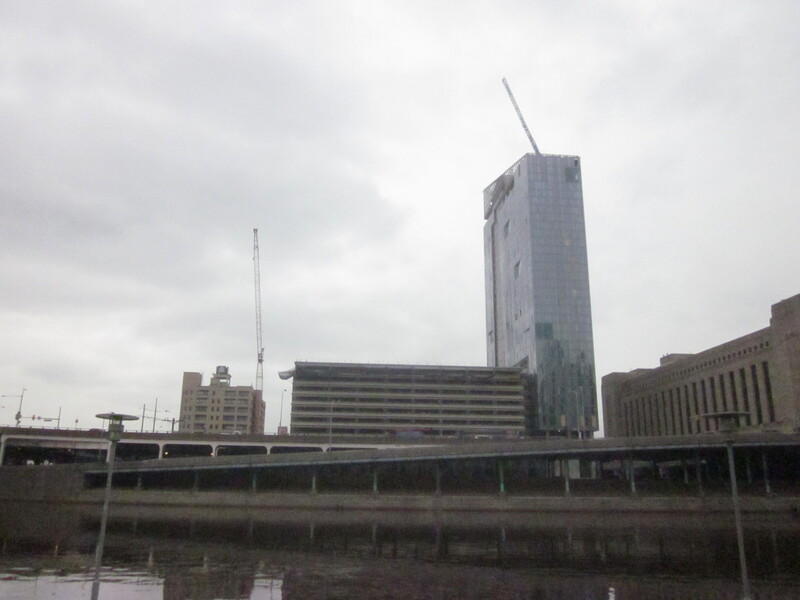 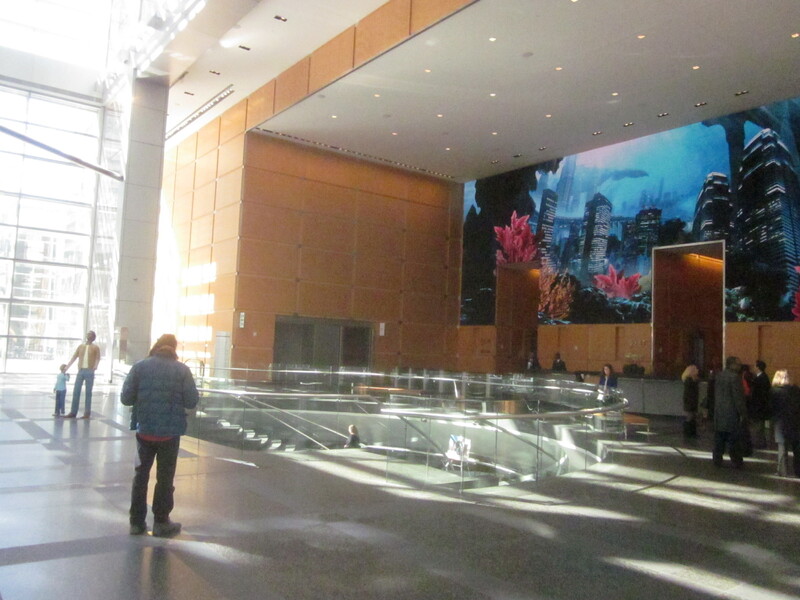 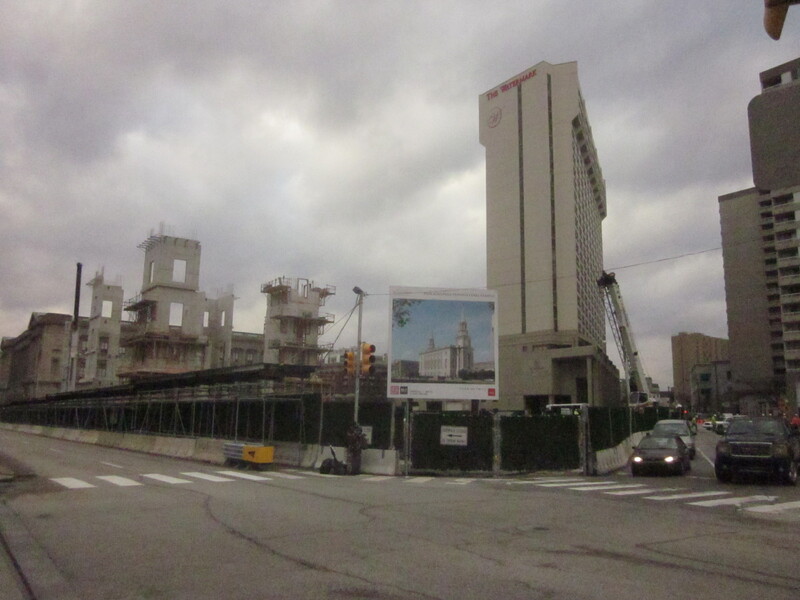 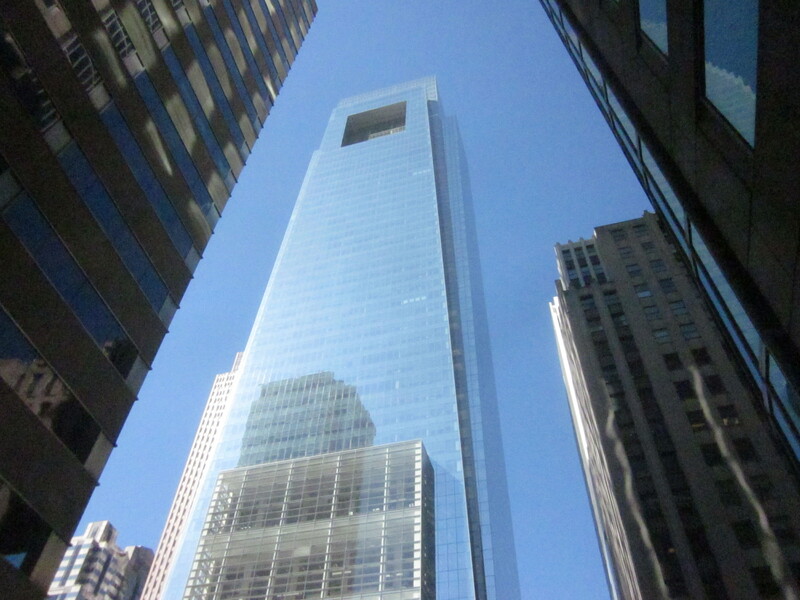 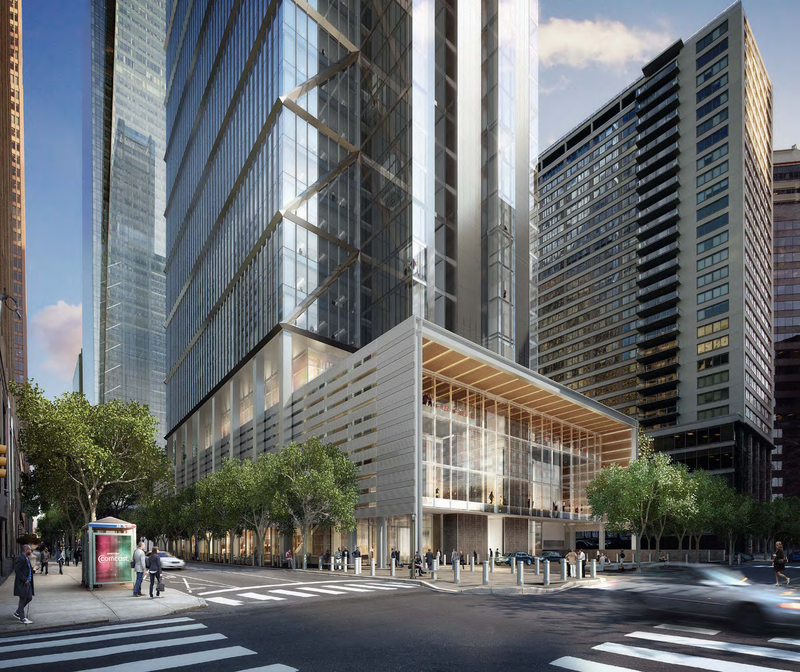 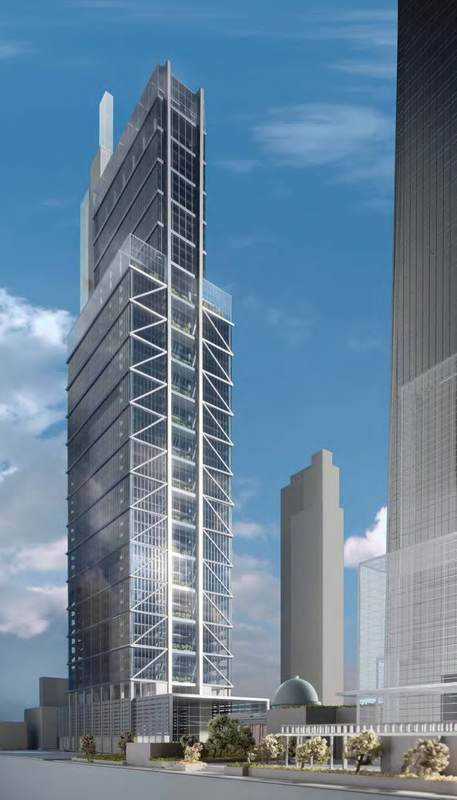 And, as is well-known now, Comcast and Liberty Property Trust are about to build the second, taller Comcast tower, and new apartment developments are being built at 1900 Arch Street, 17th and Arch Streets, and 23rd and Summer Streets. 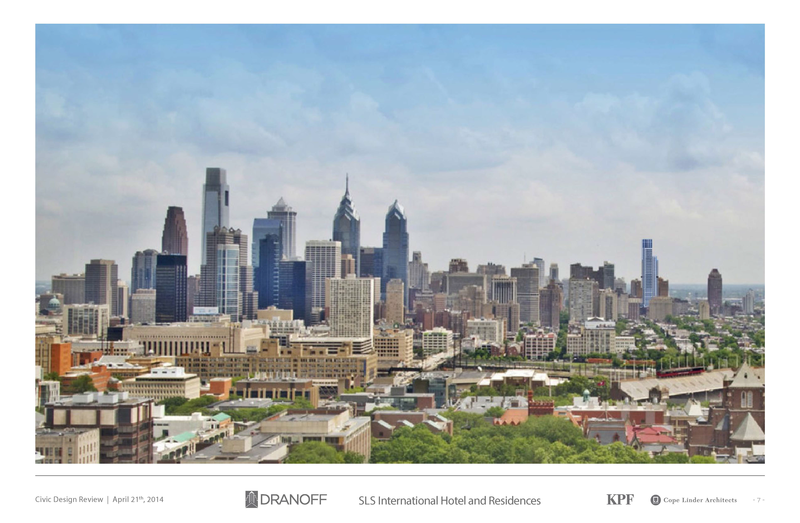 If you’re interested in buying or selling a home or investment property in Fairmount, or any other neighborhood in the city, please contact me at Gabriel.gottlieb@lnf.com or check out my Long & Foster agent portal, here, and you can learn more about our Long & Foster Center City office, here. 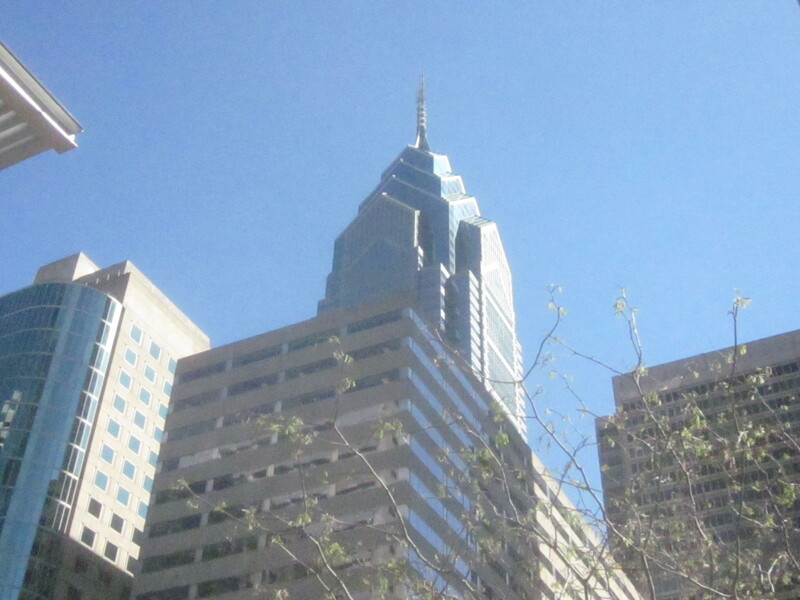 And, you can check out my Facebook realtor page, Gabriel G. Philly Realtor, and my twitter page, @GabrielGPhilaRE. 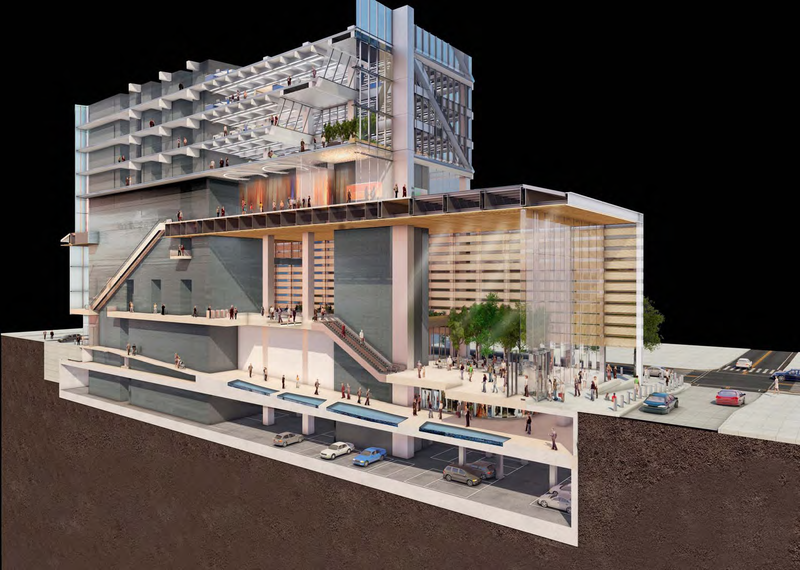 Also, you can view this summary of the Civic Design Review meeting’s discussions and recommendations, here, and look at renderings and my pictures of the site and neighborhood, below.